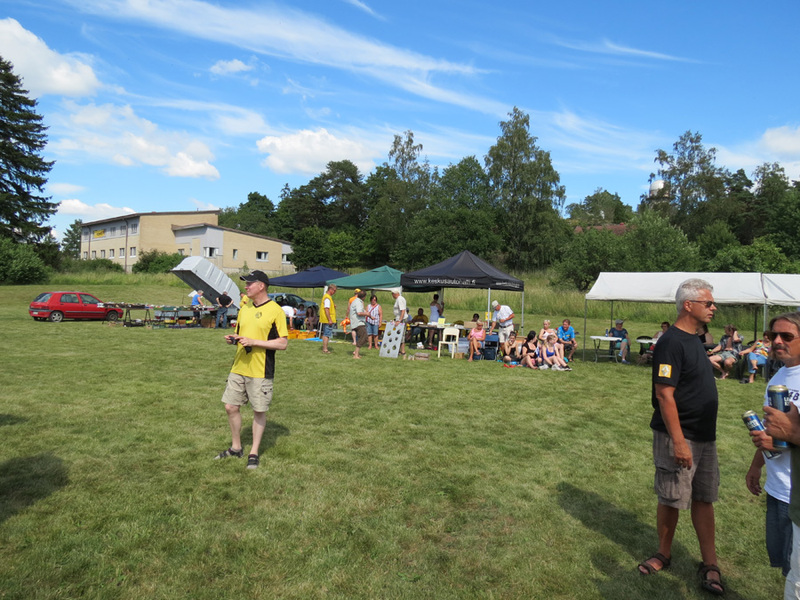 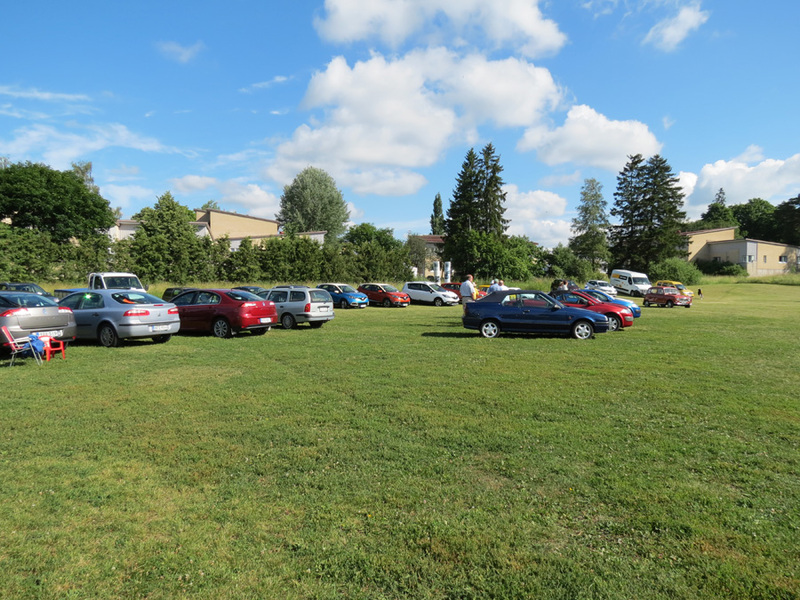 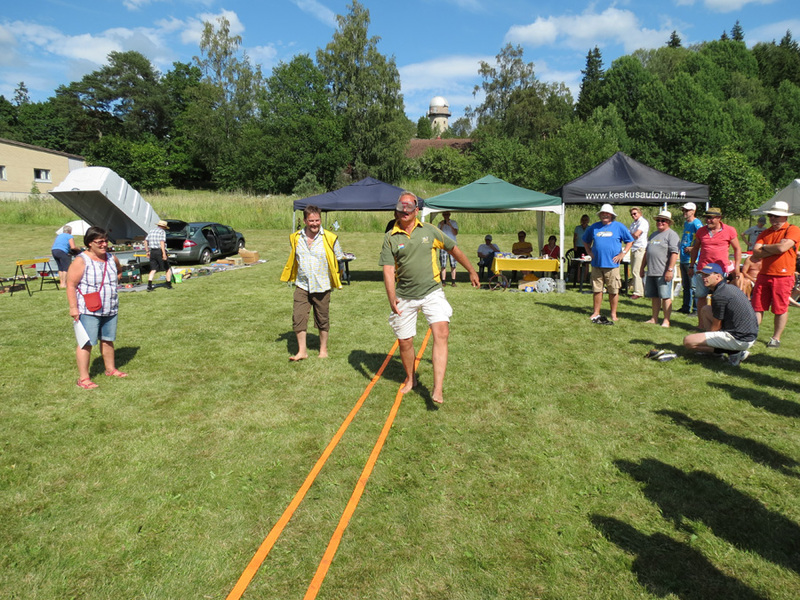 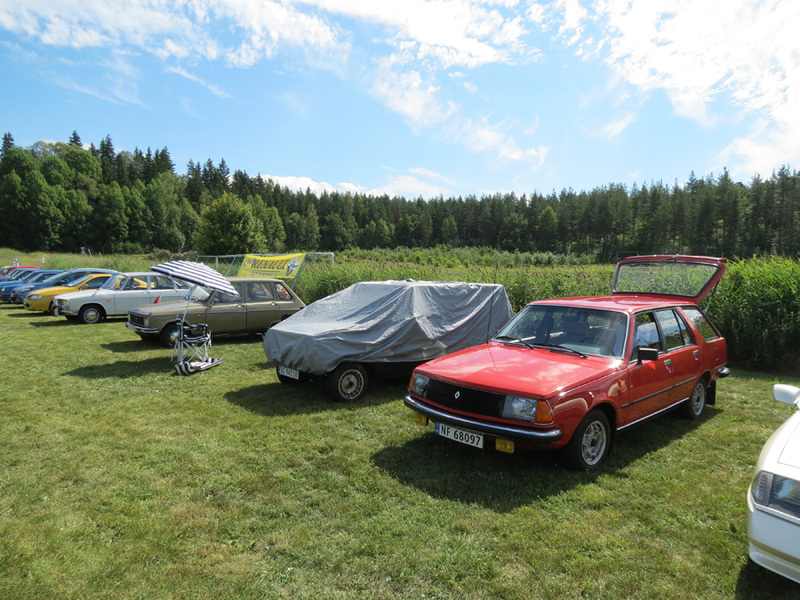 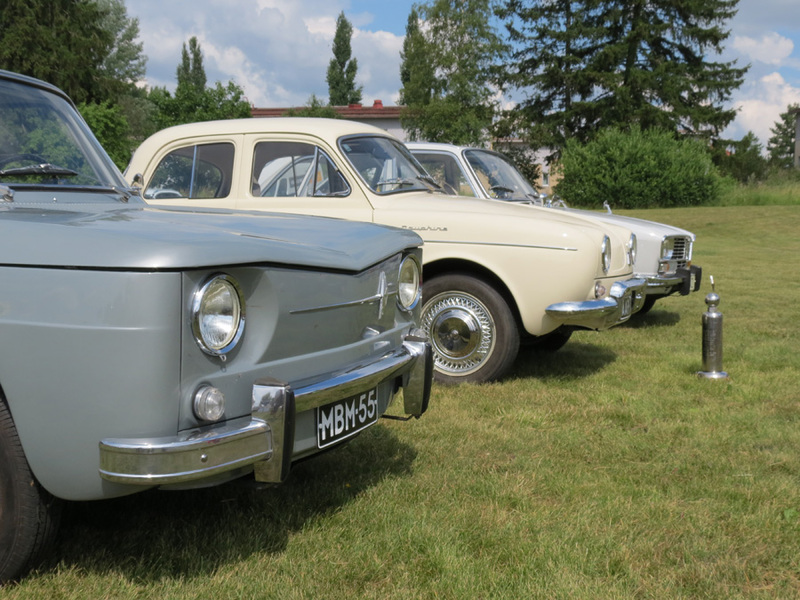 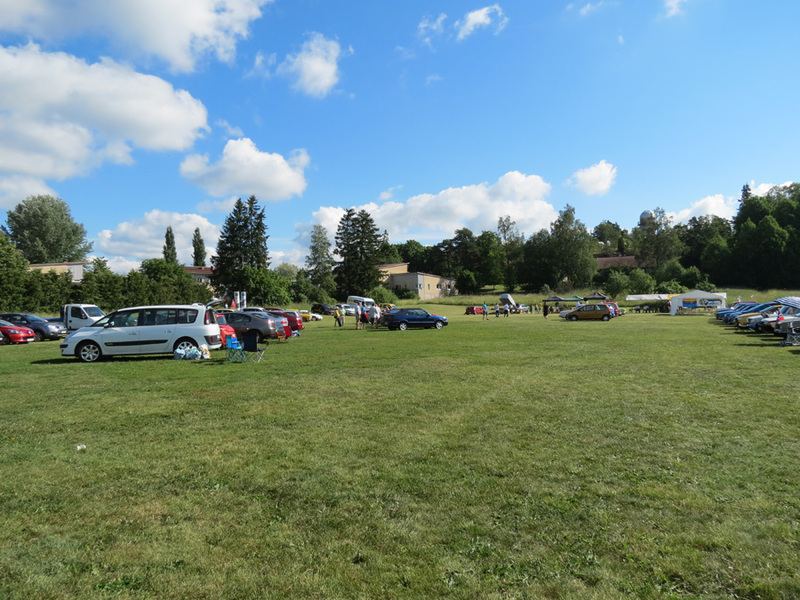 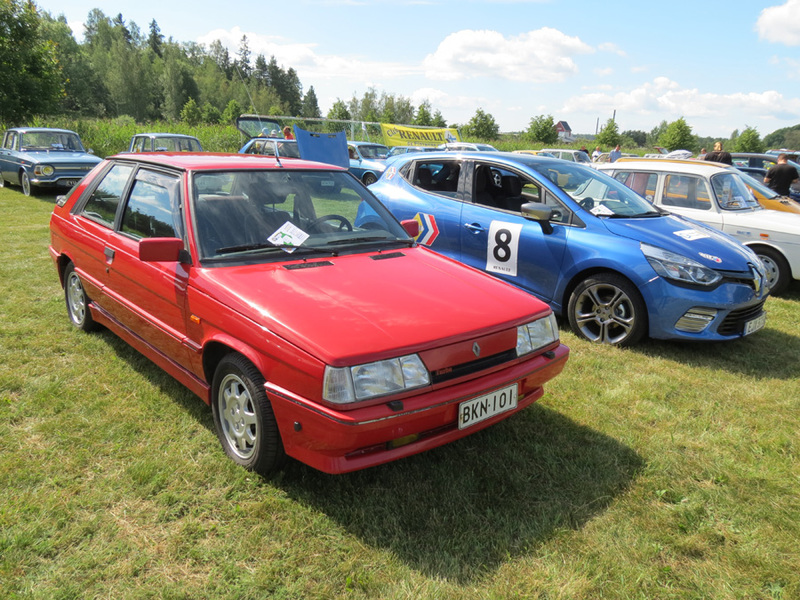 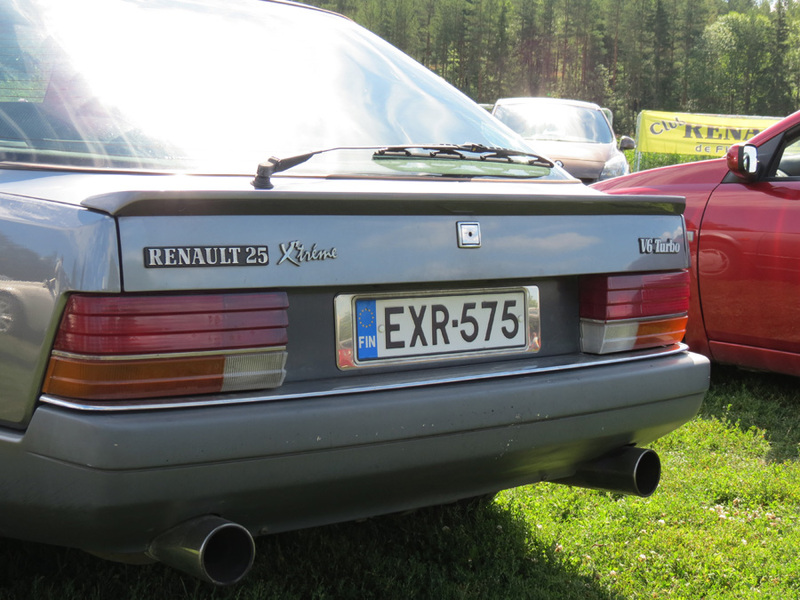 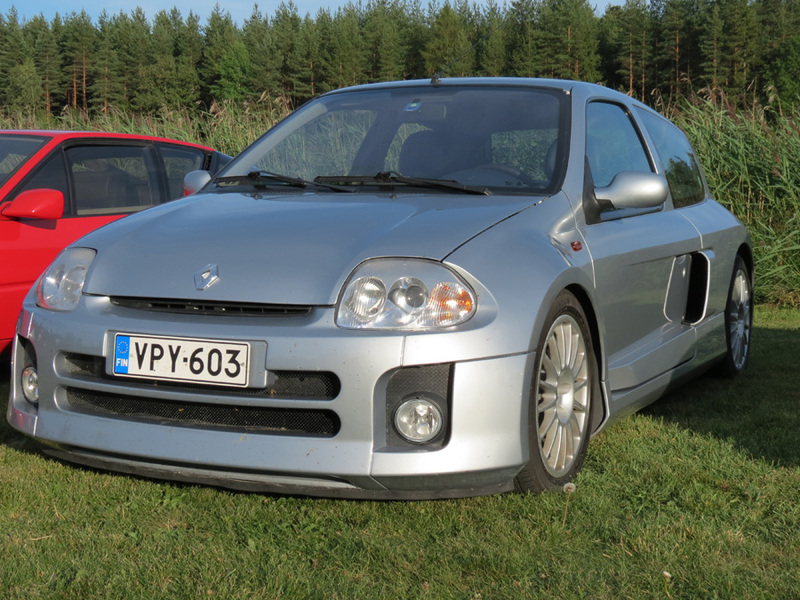 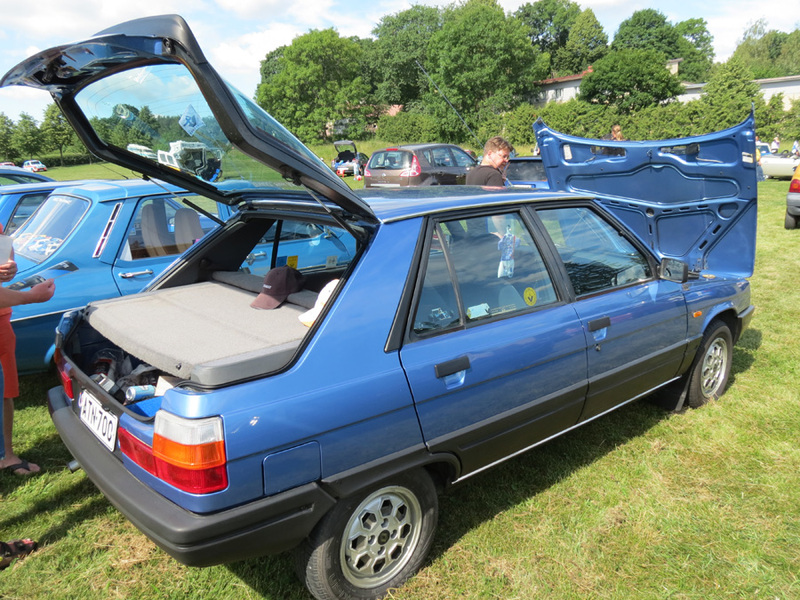 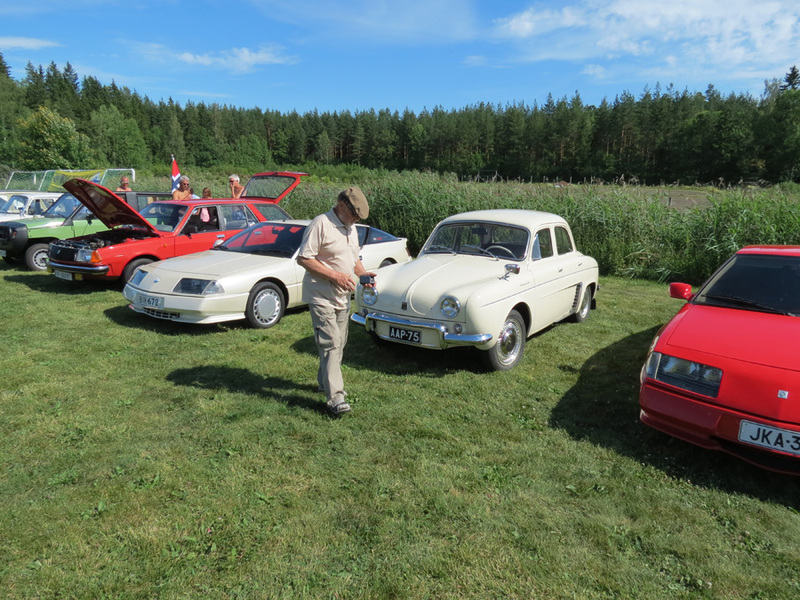 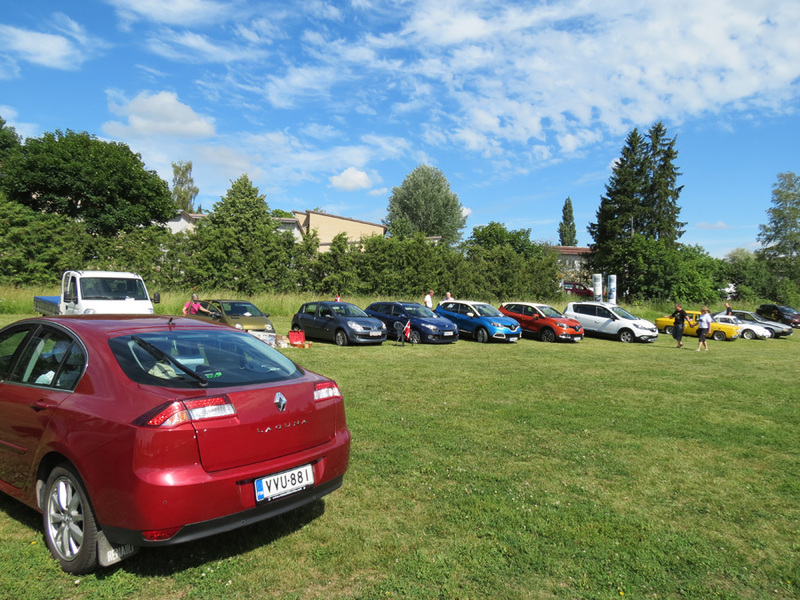 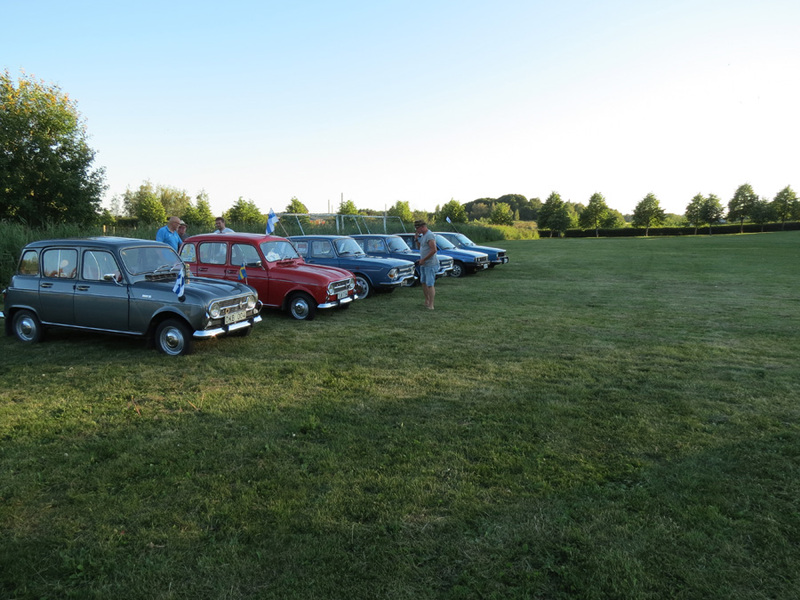 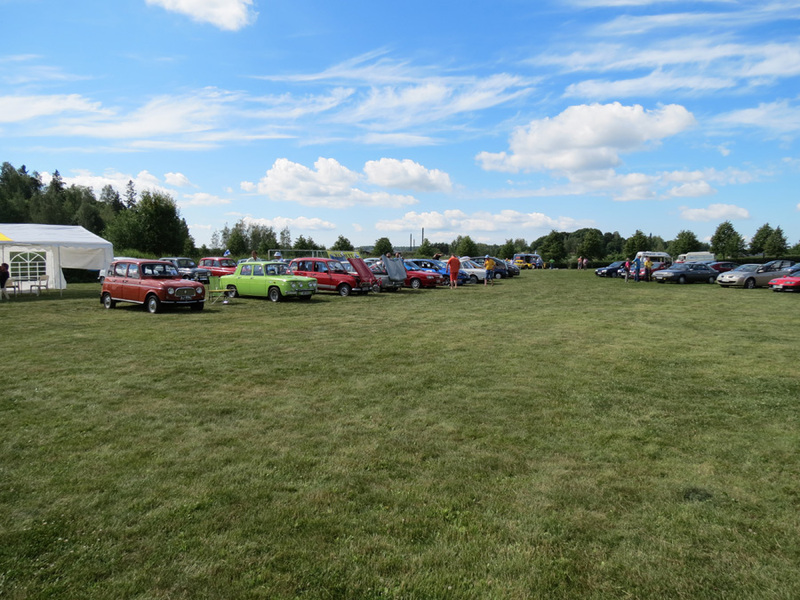 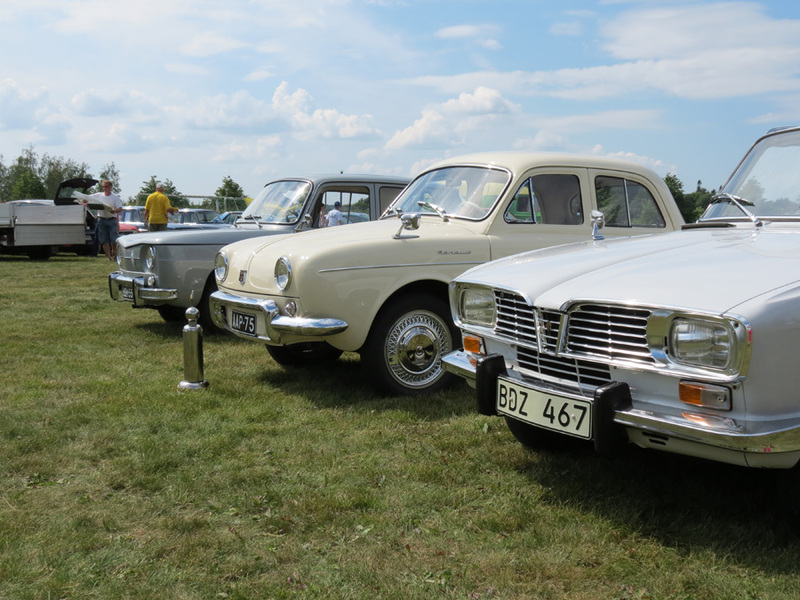 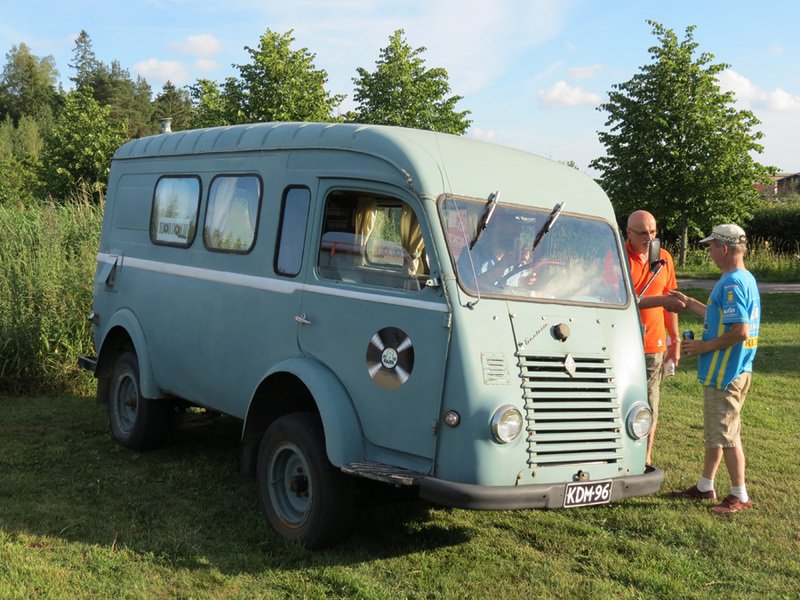 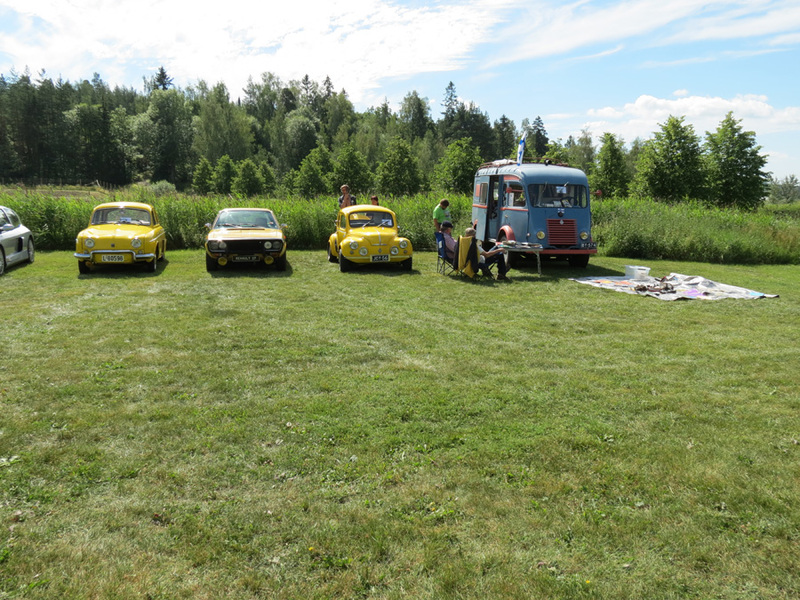 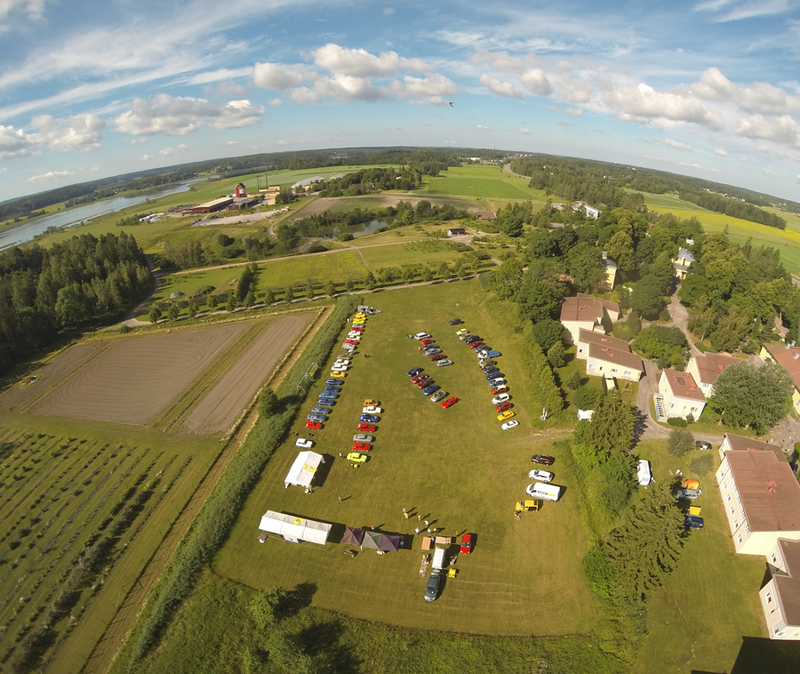 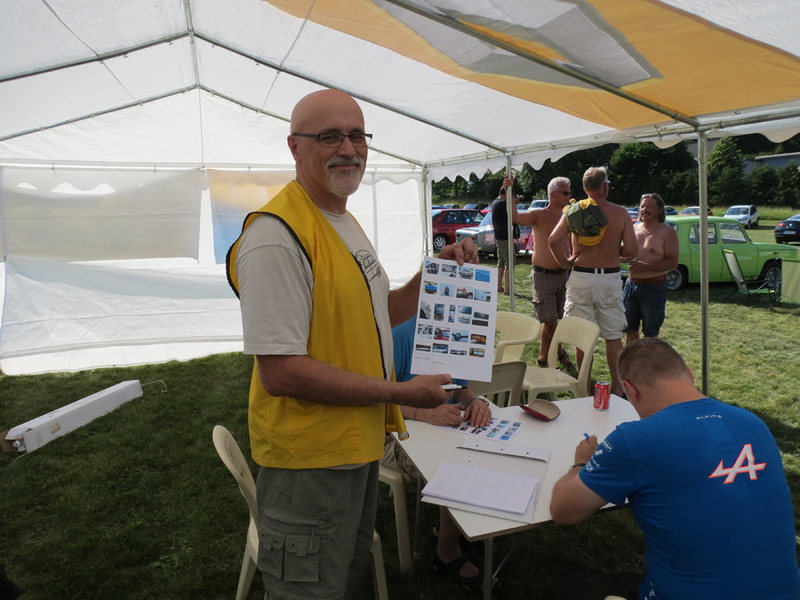 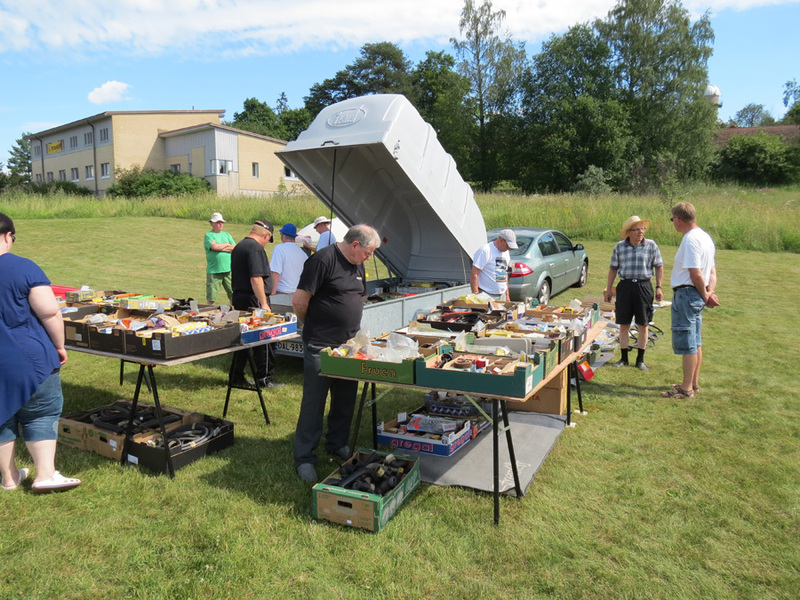 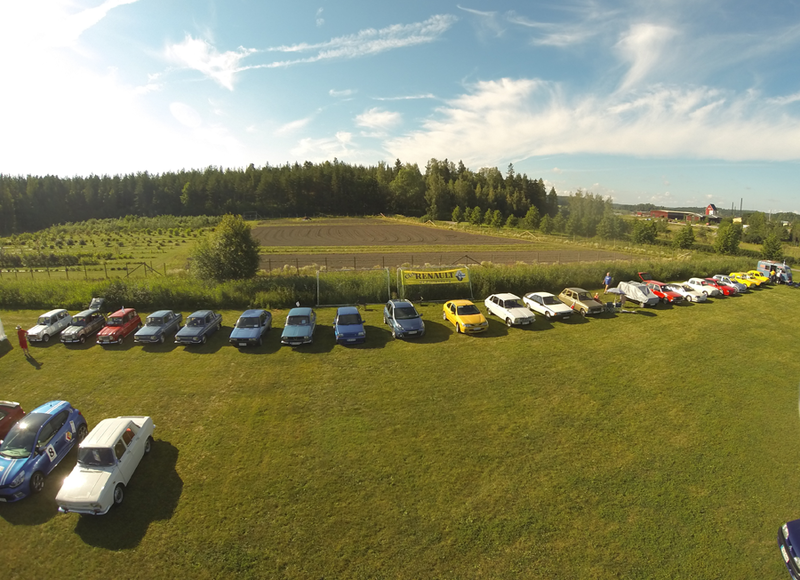 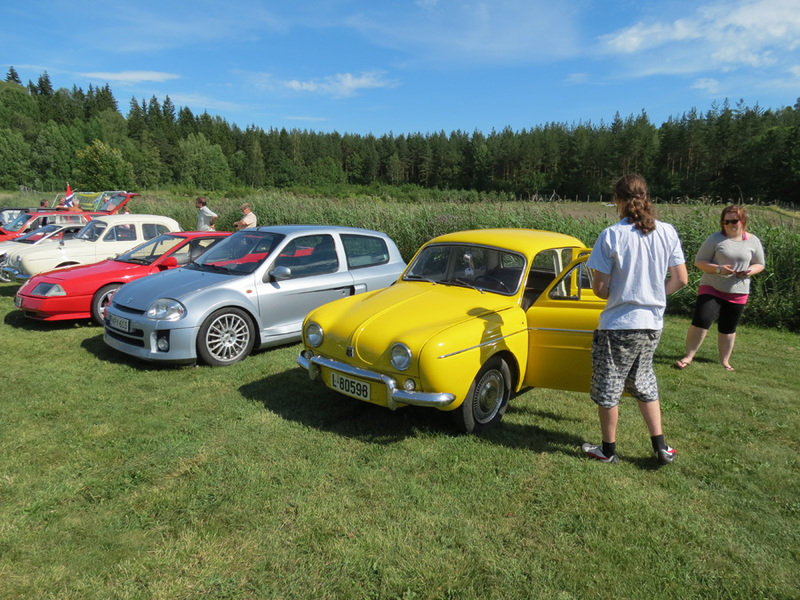 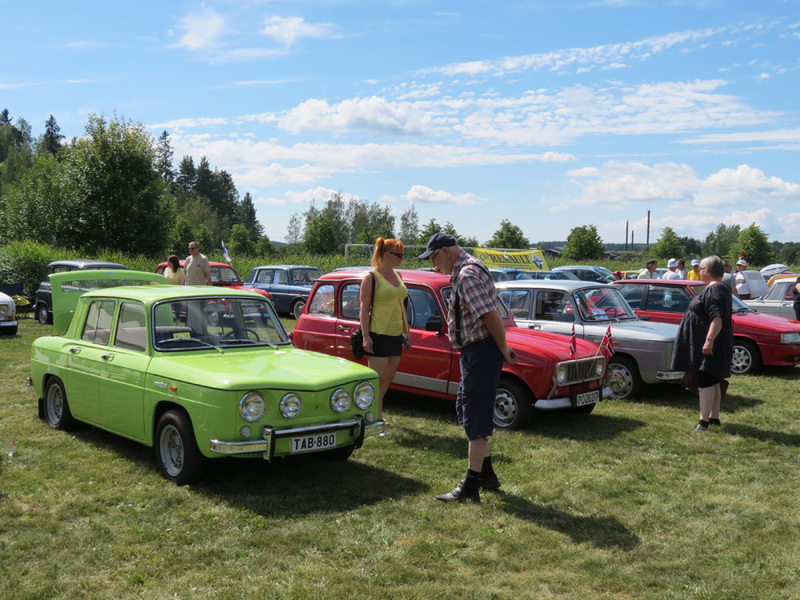 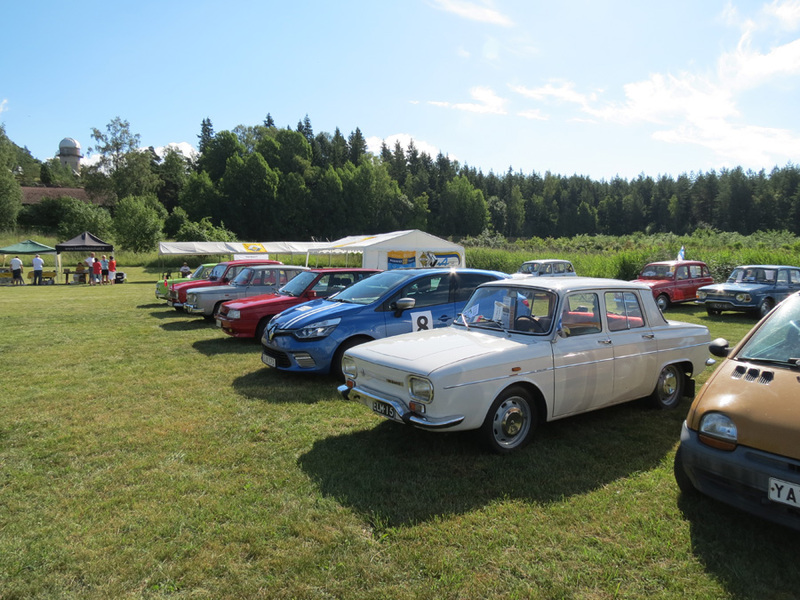 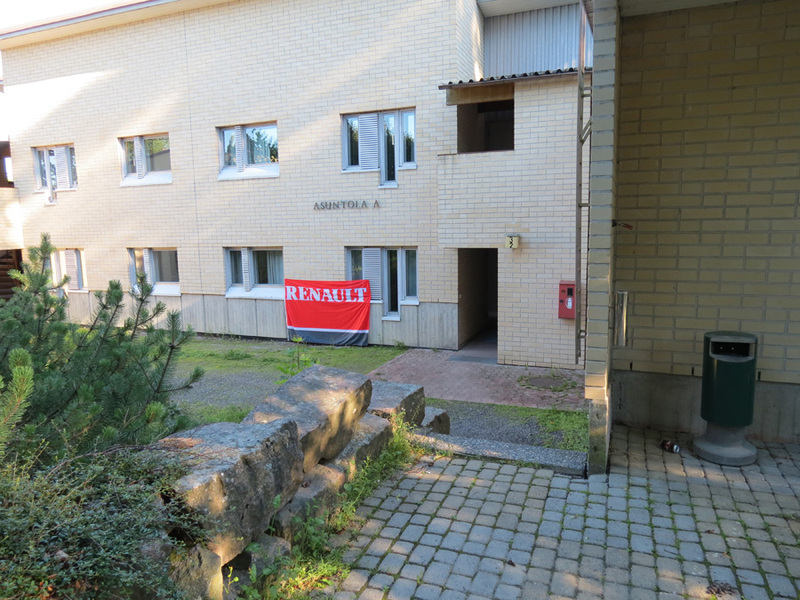 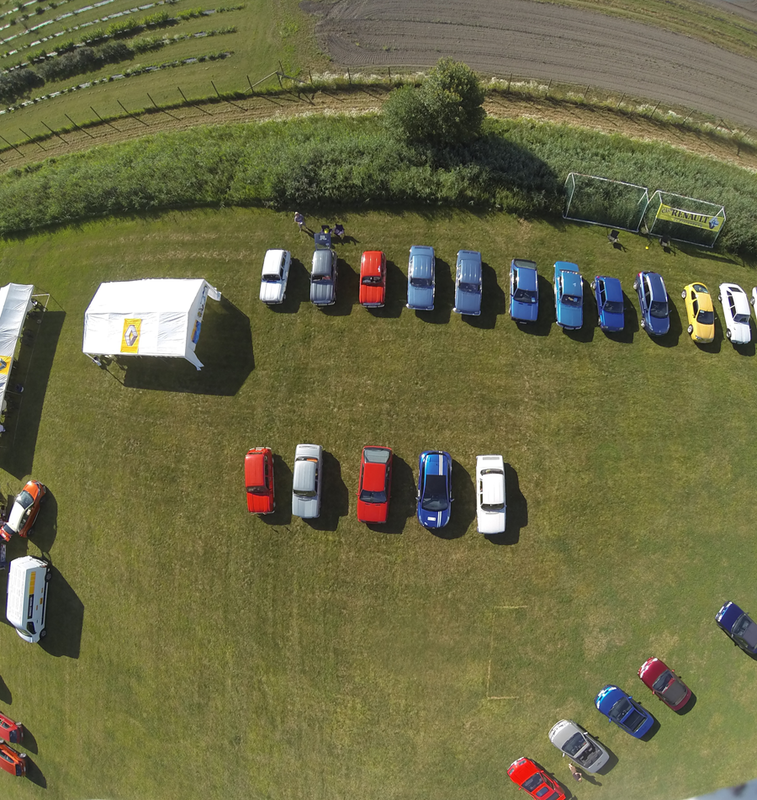 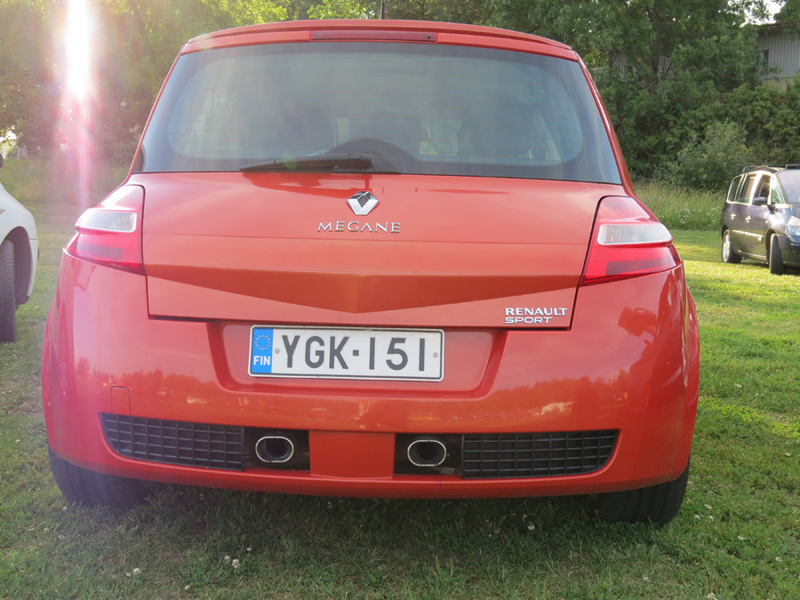 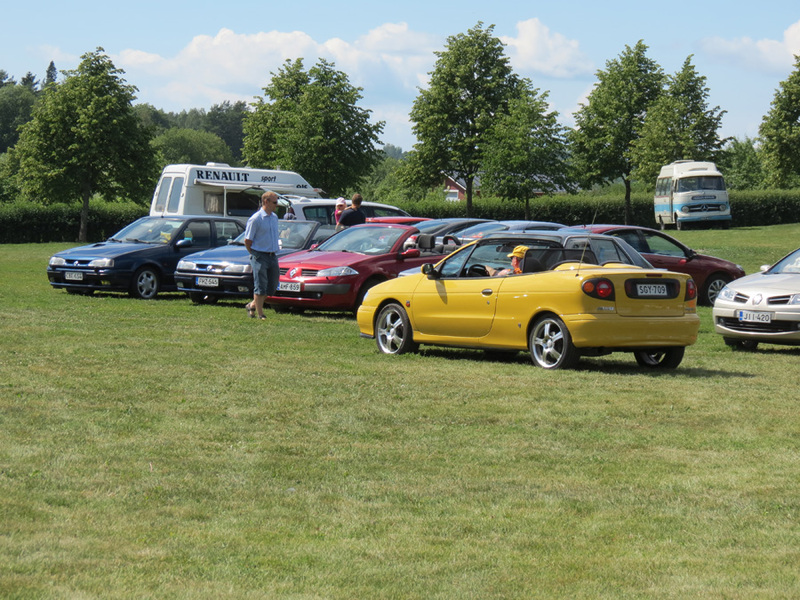 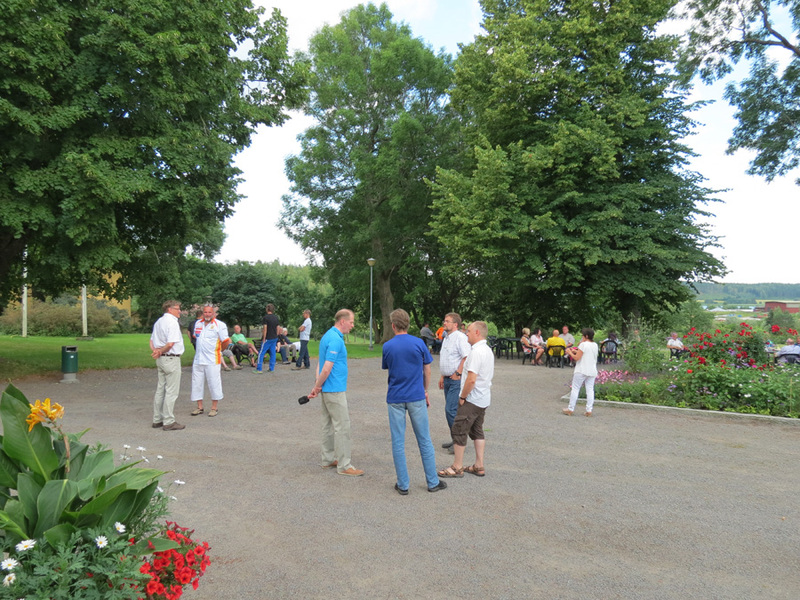 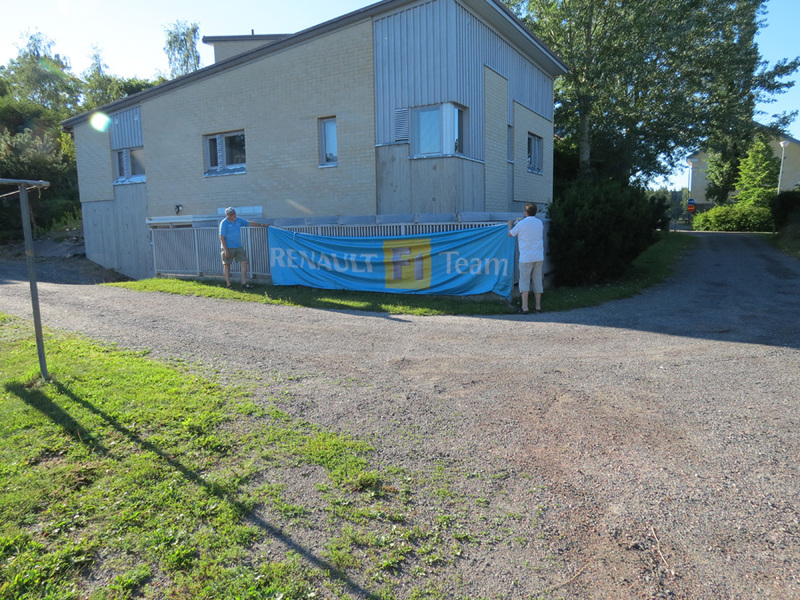 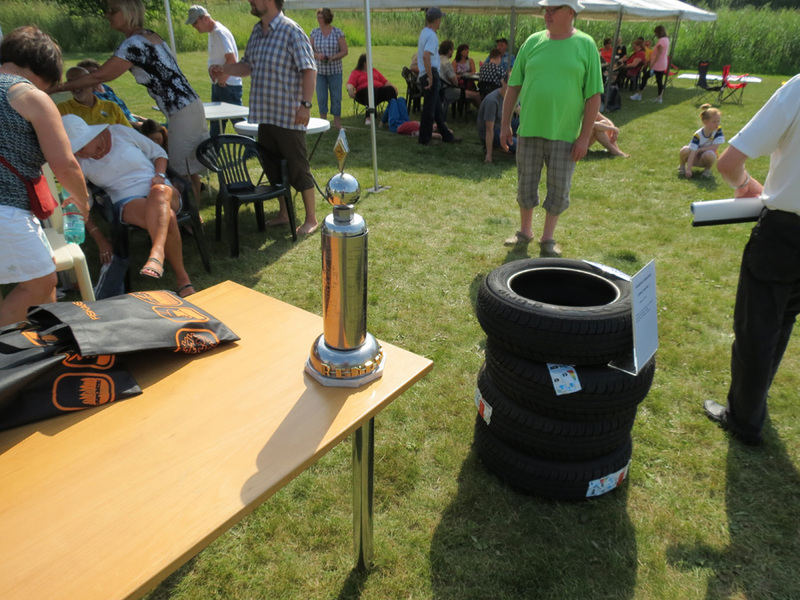 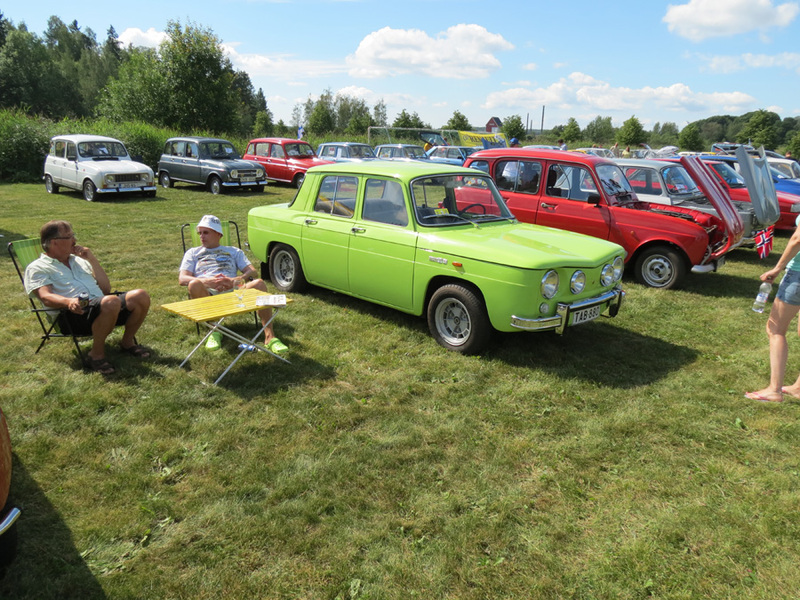 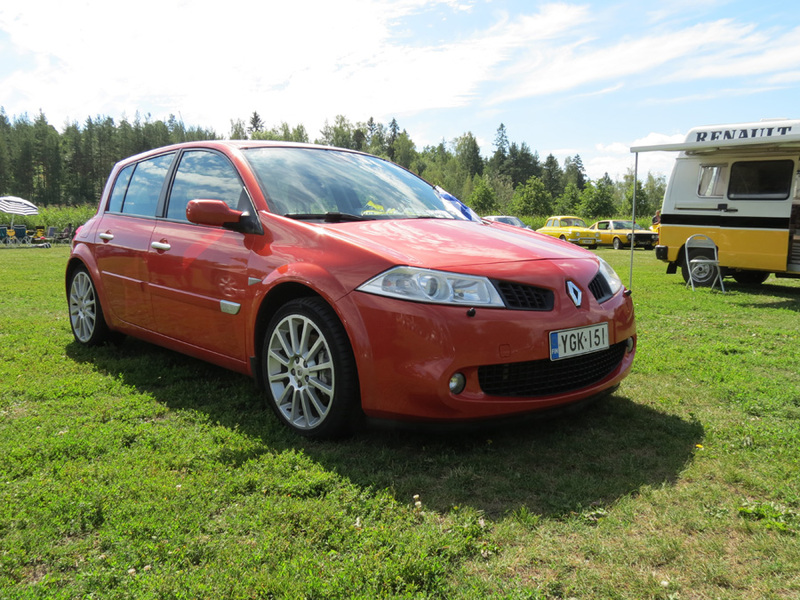 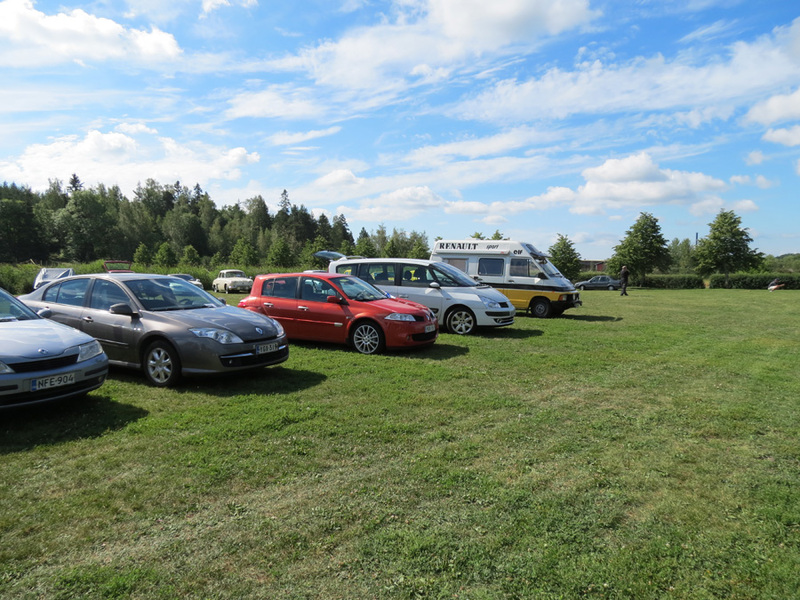 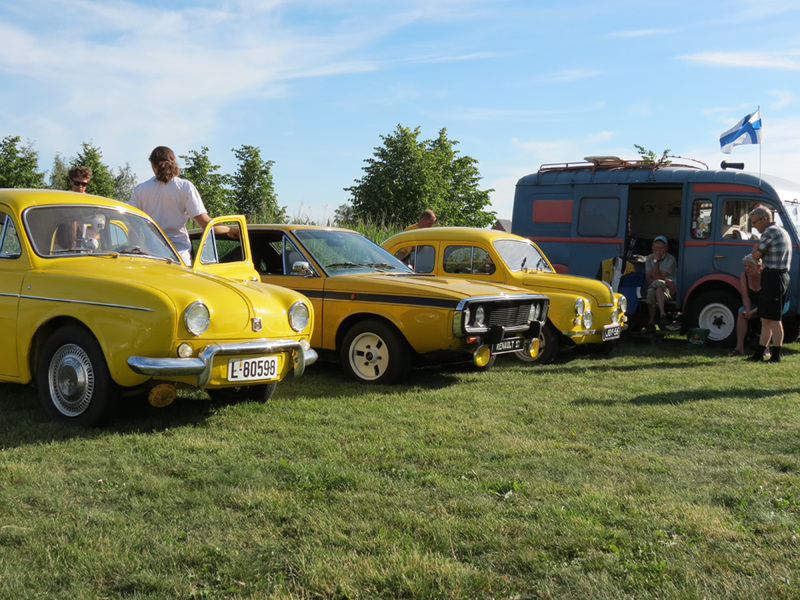 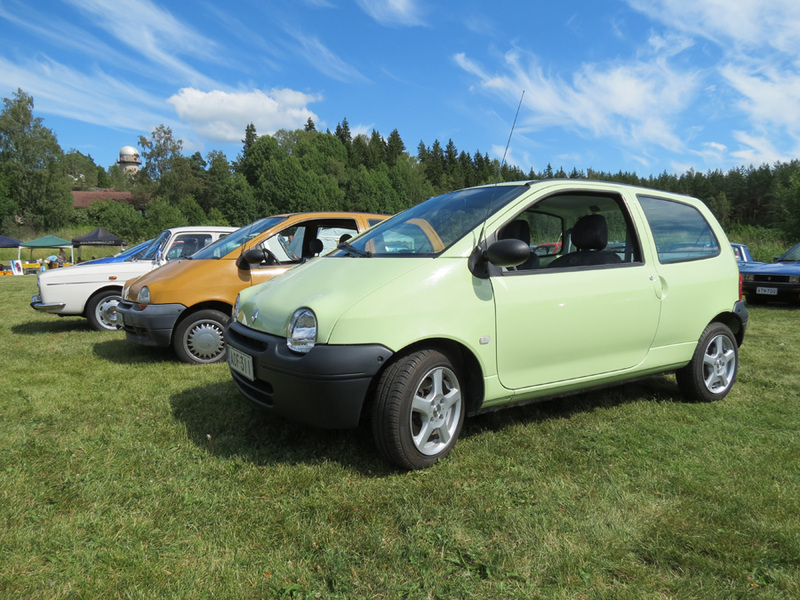 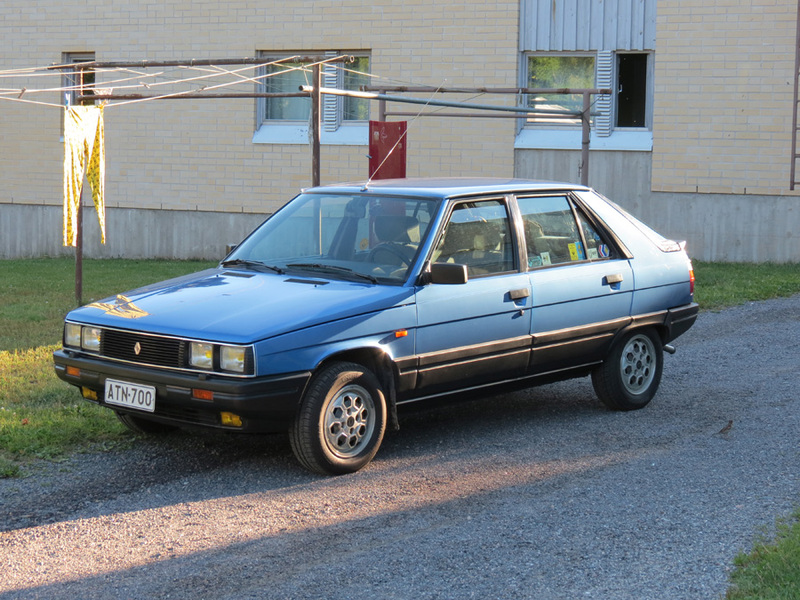 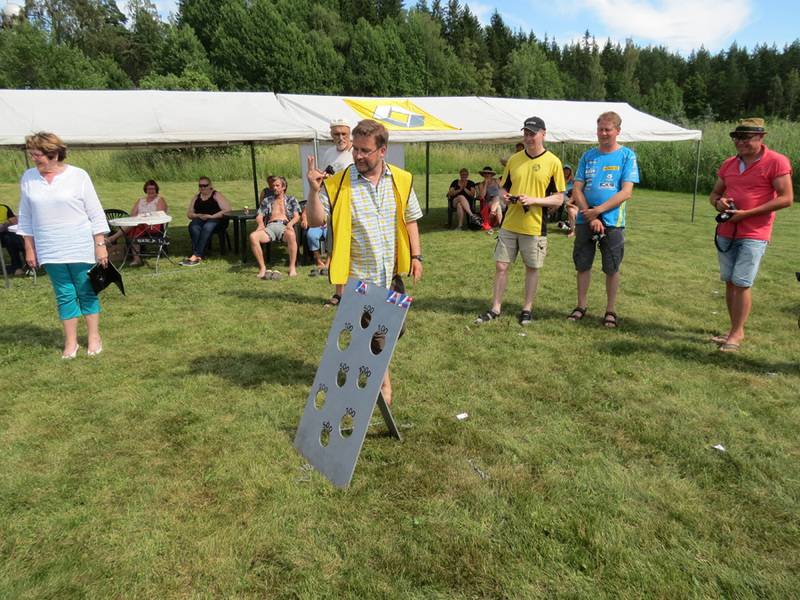 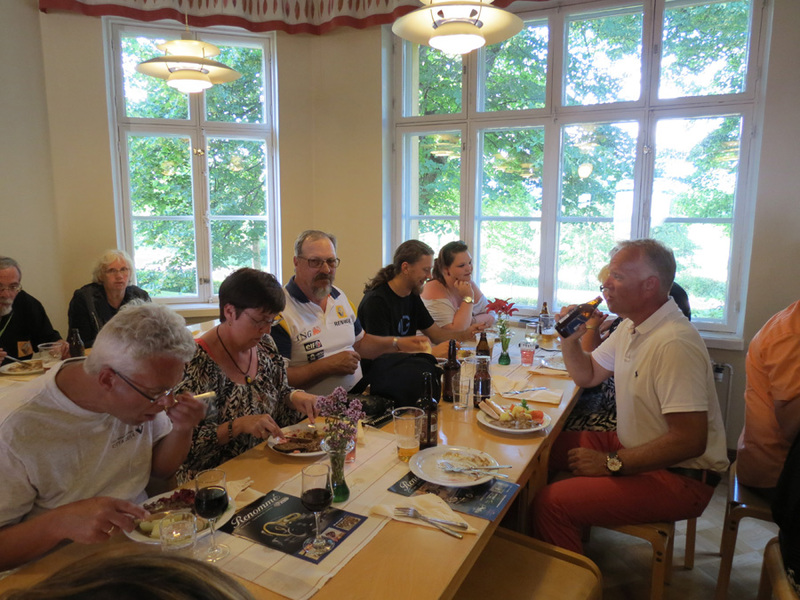 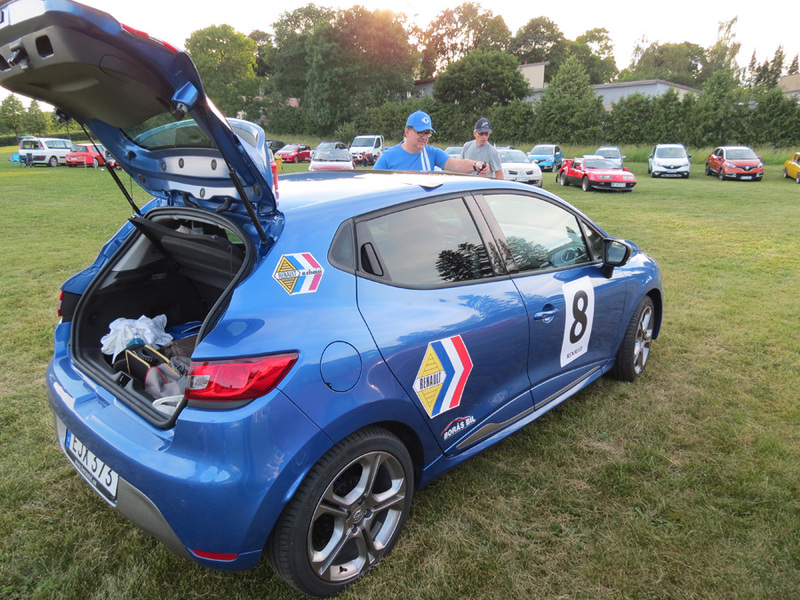 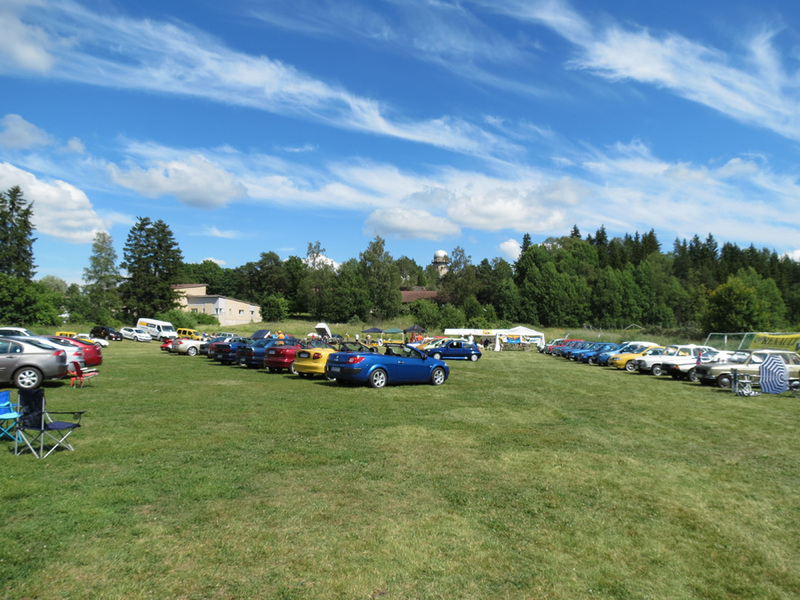 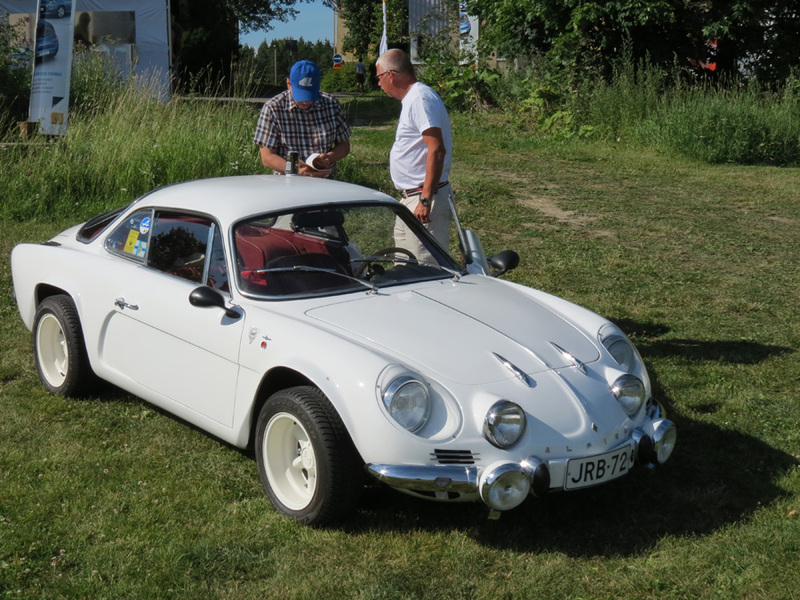 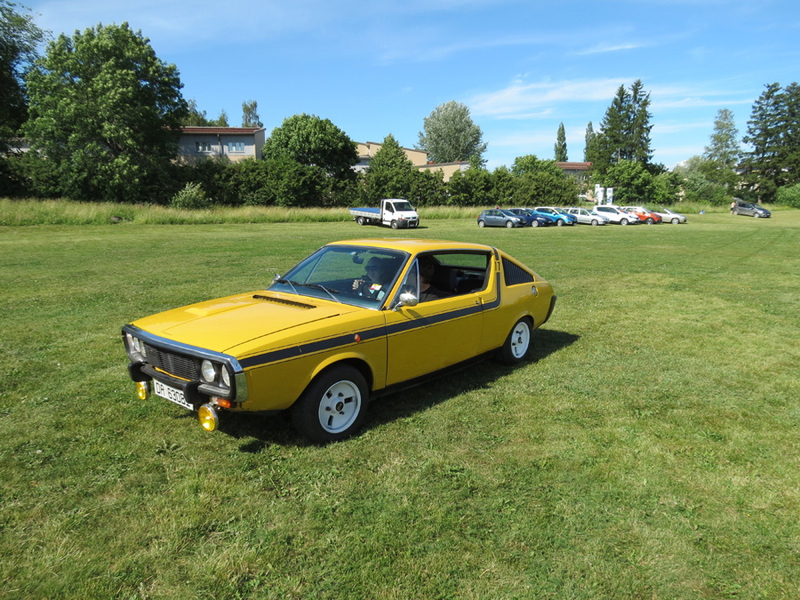 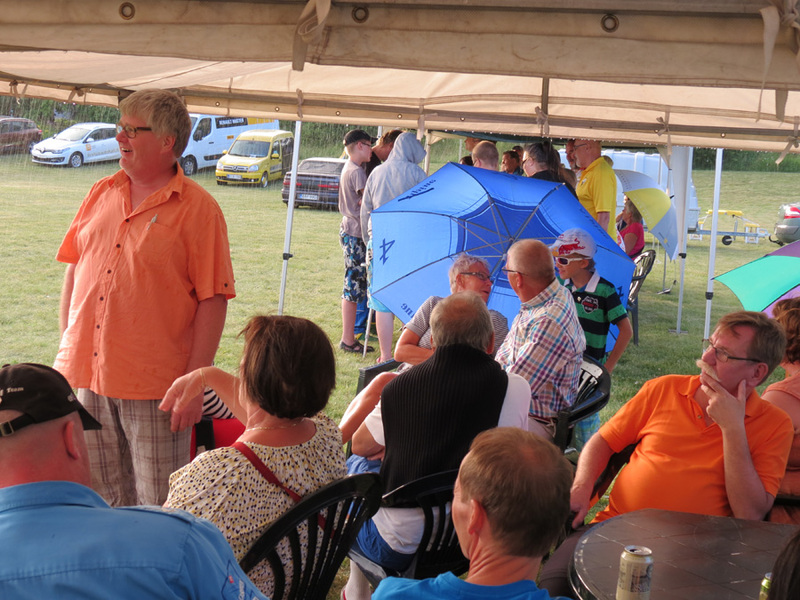 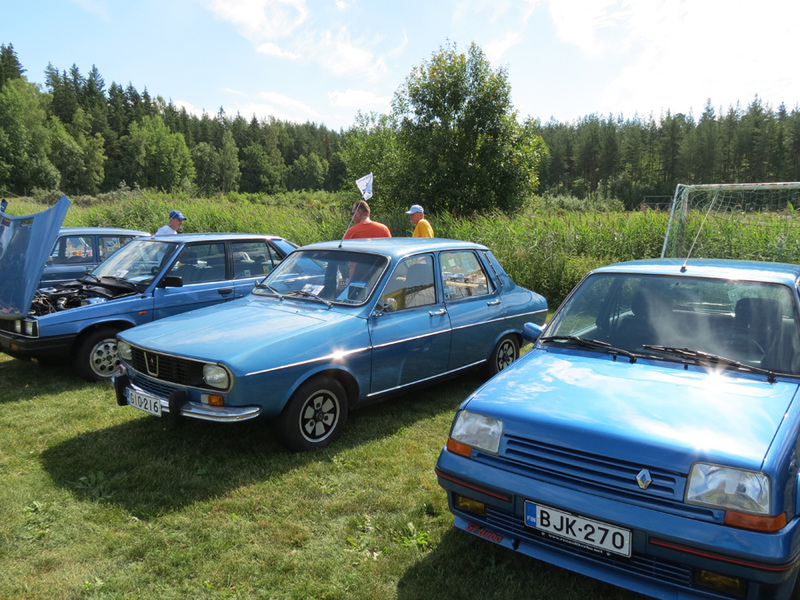 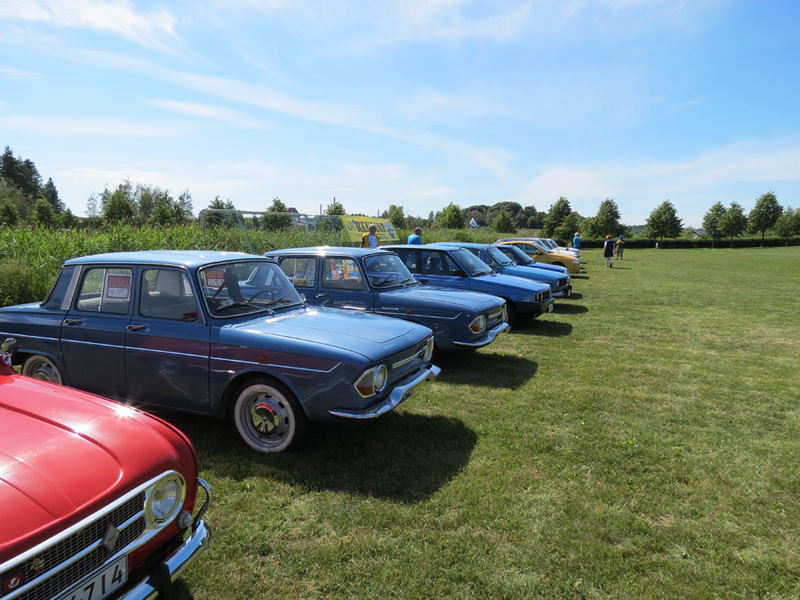 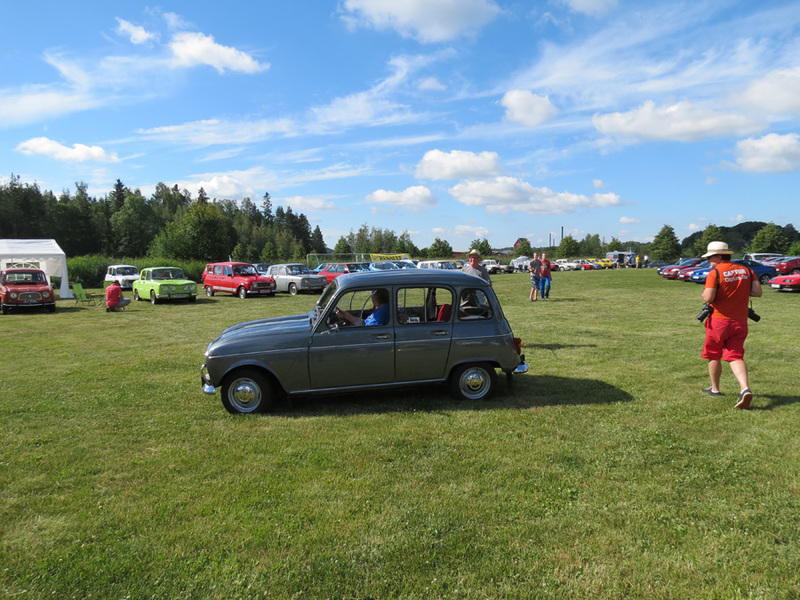 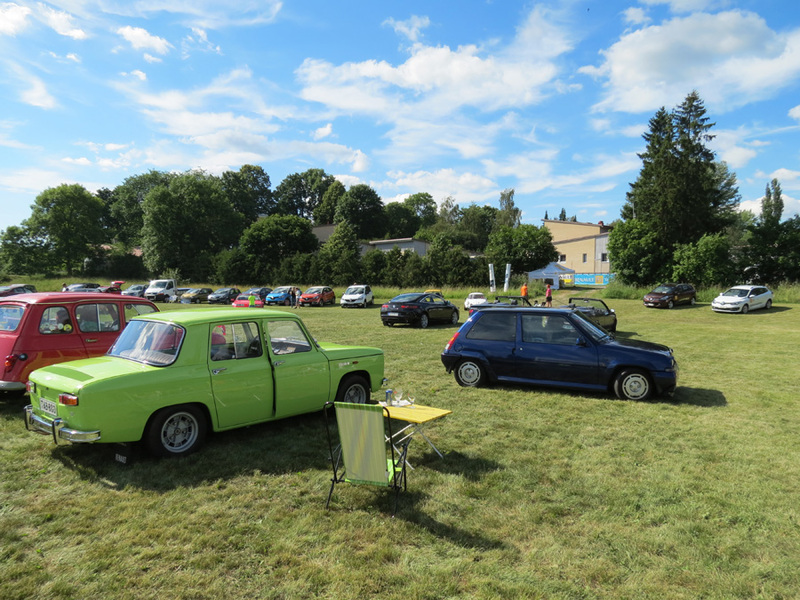 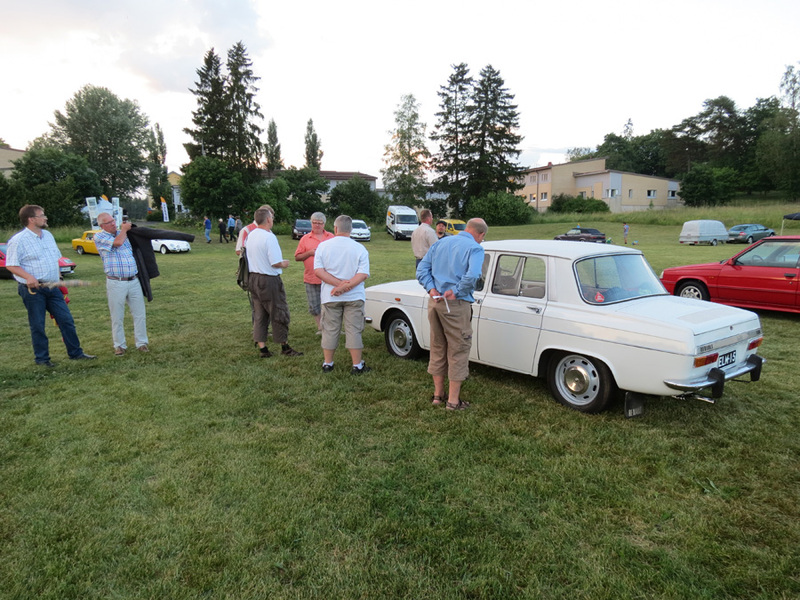 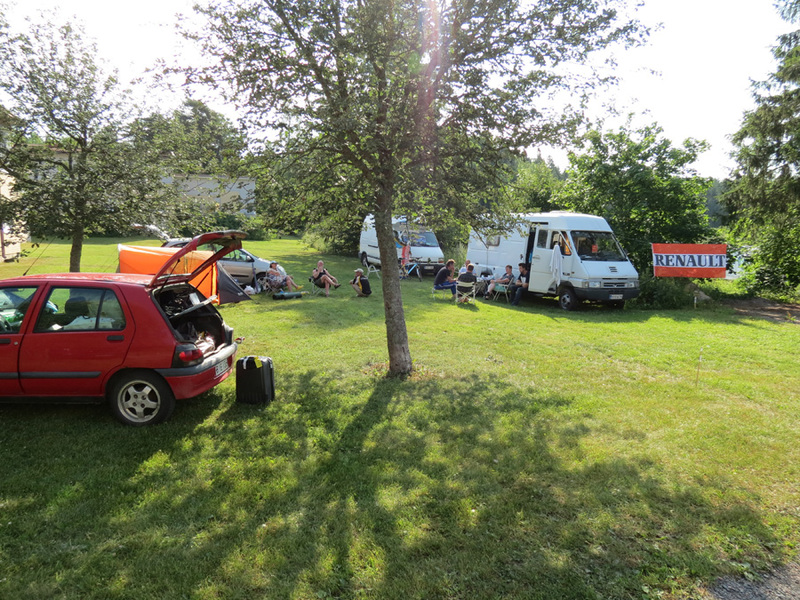 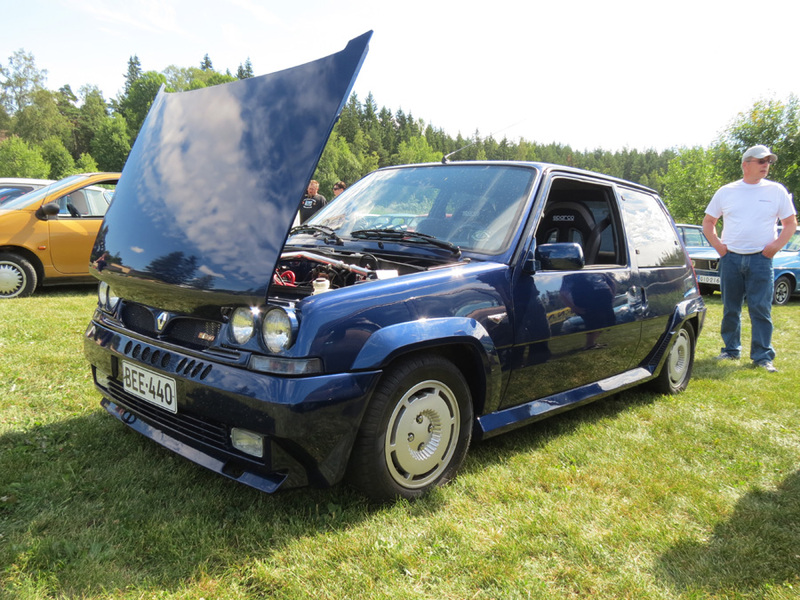 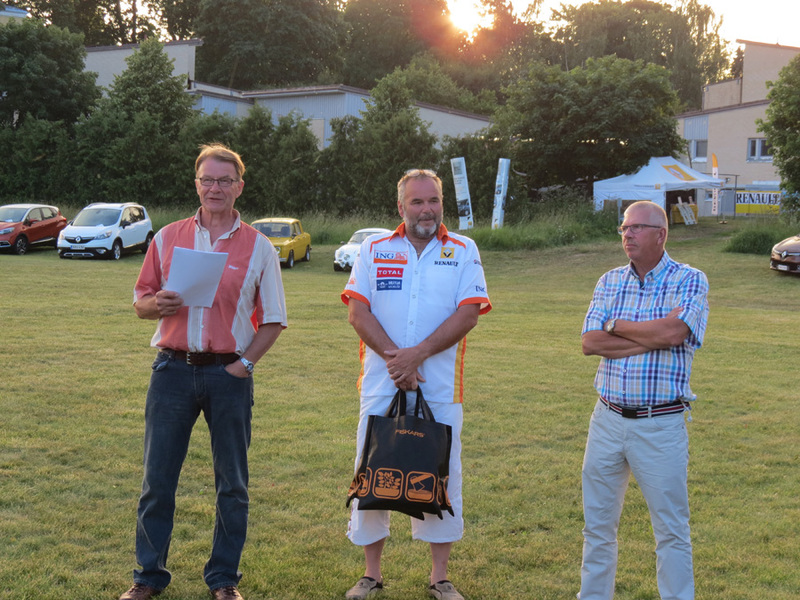 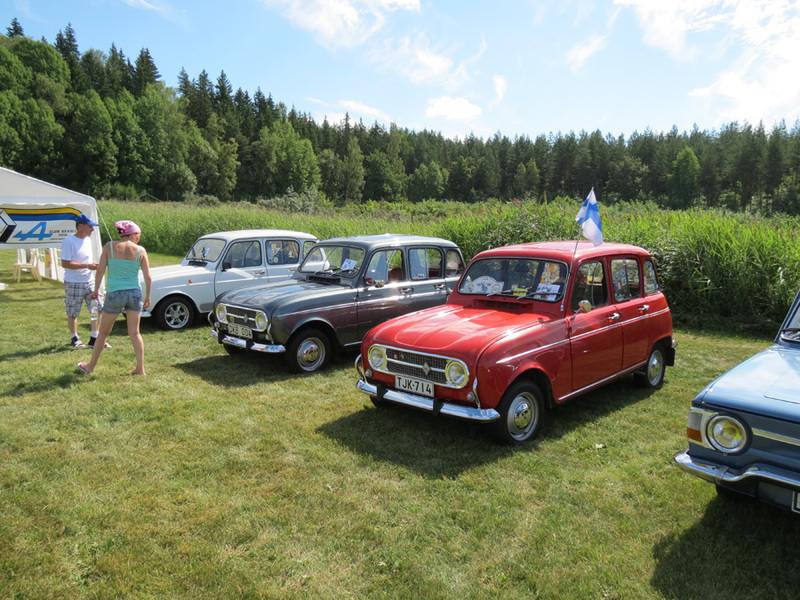 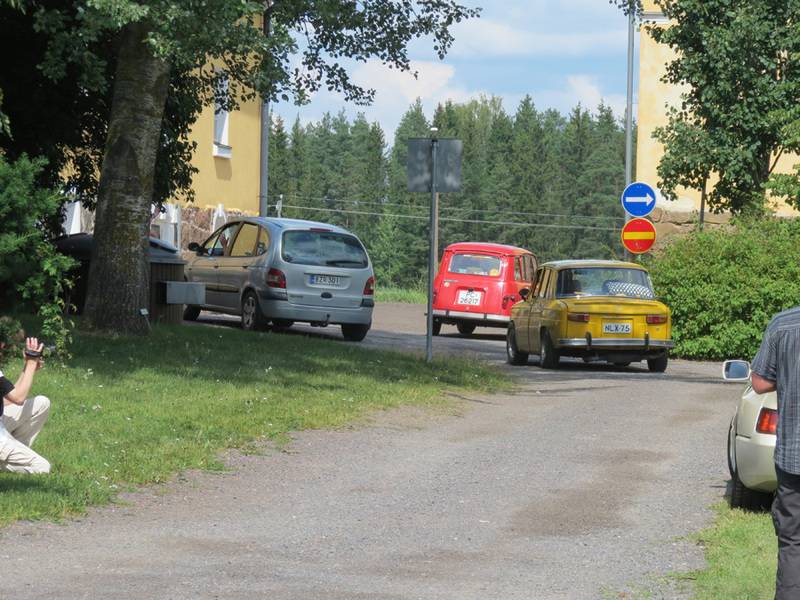 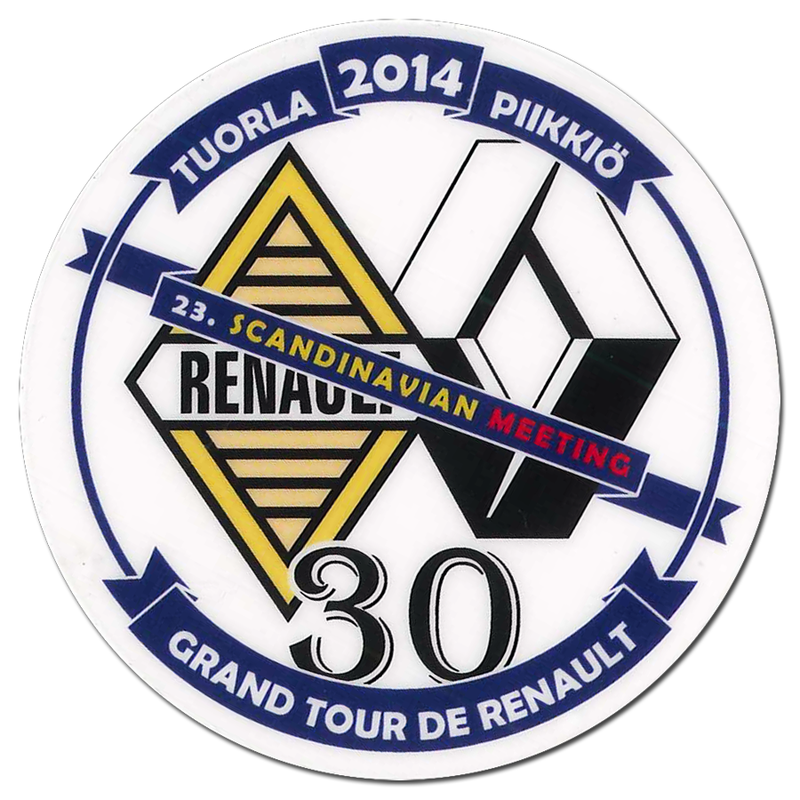 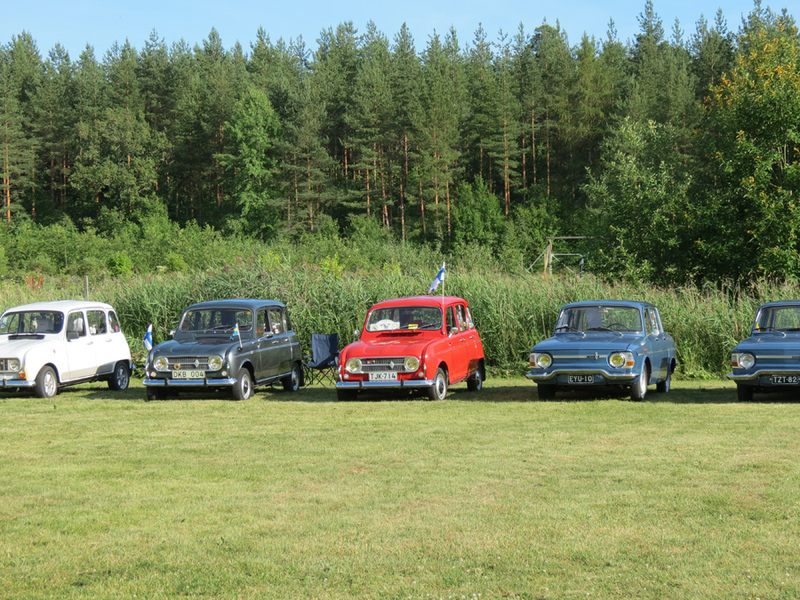 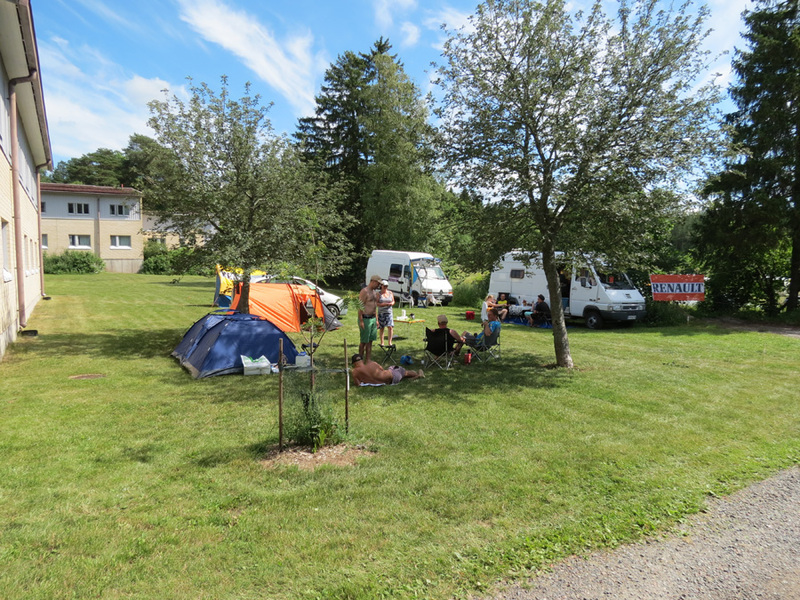 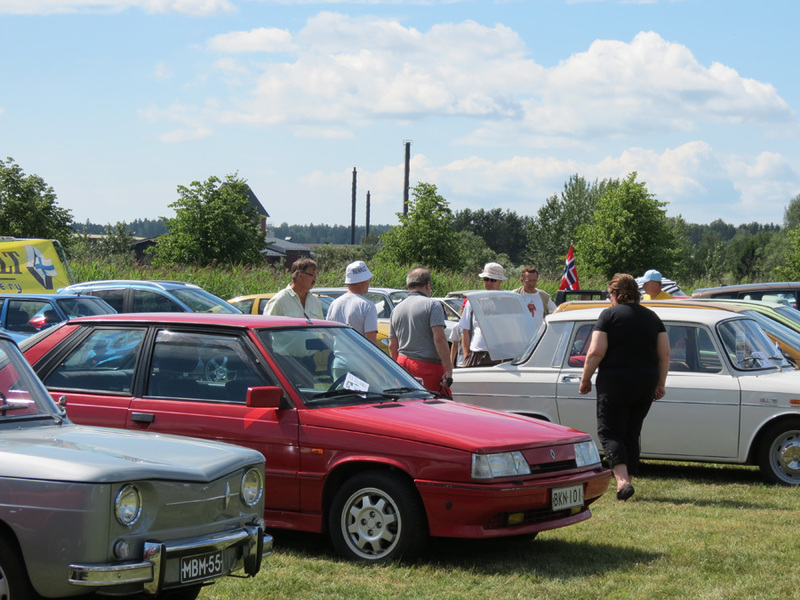 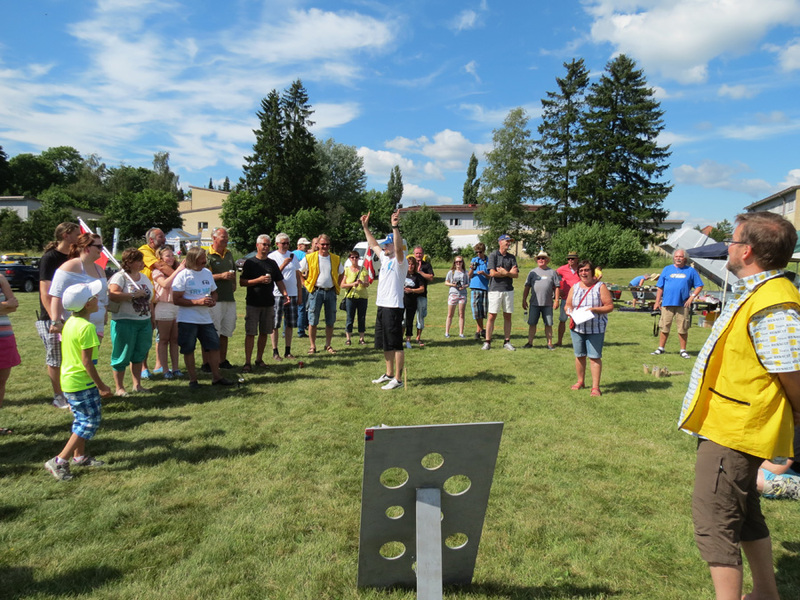 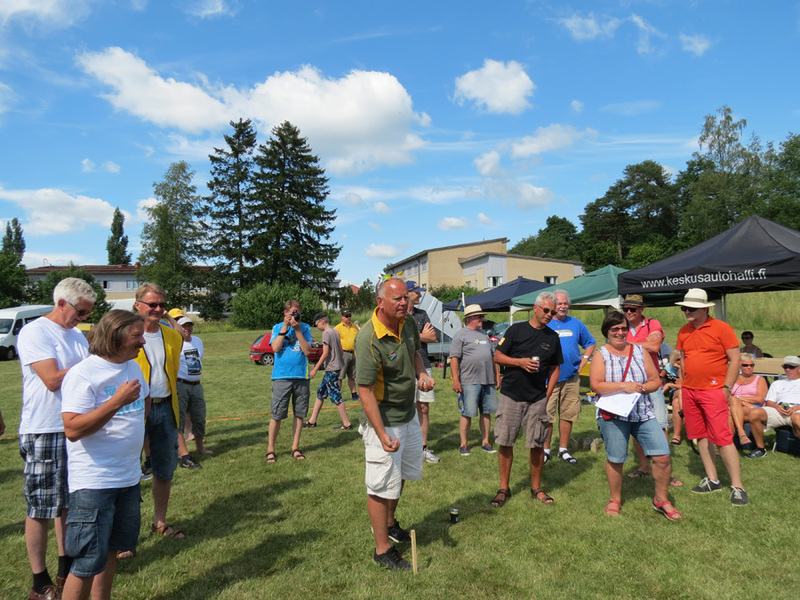 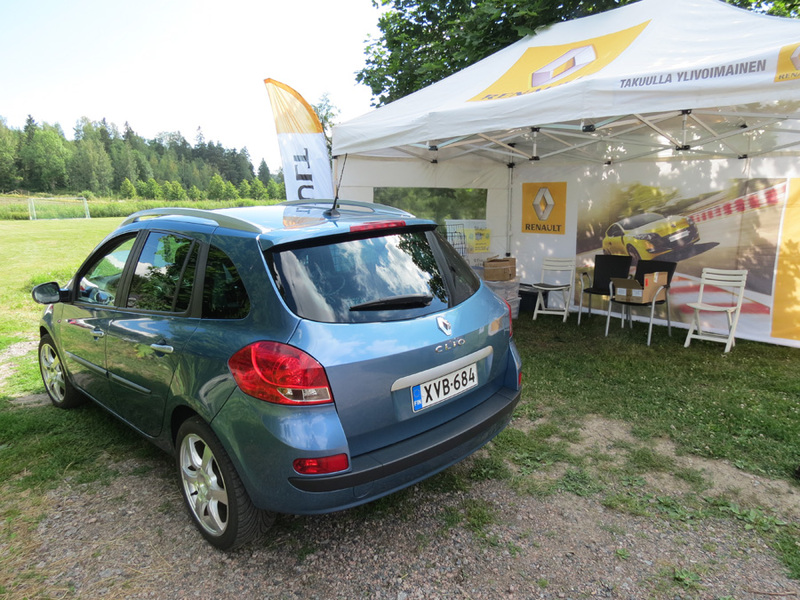 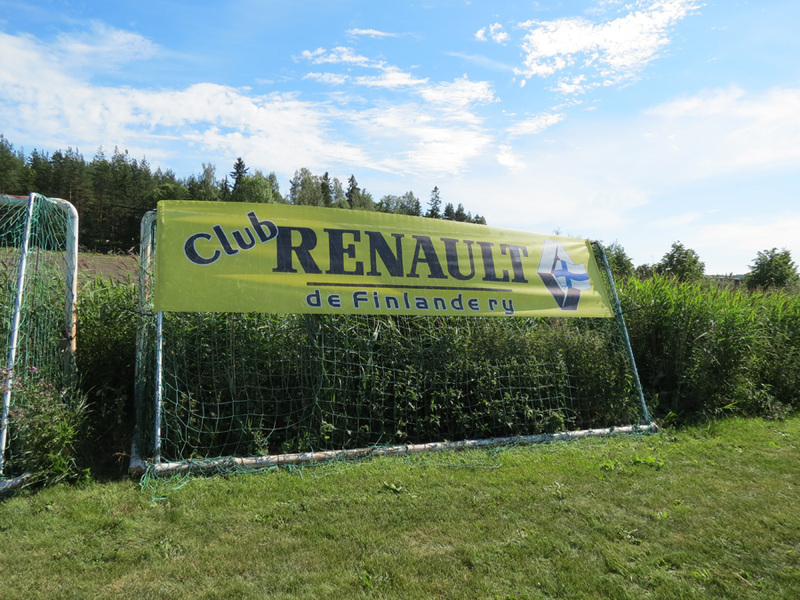 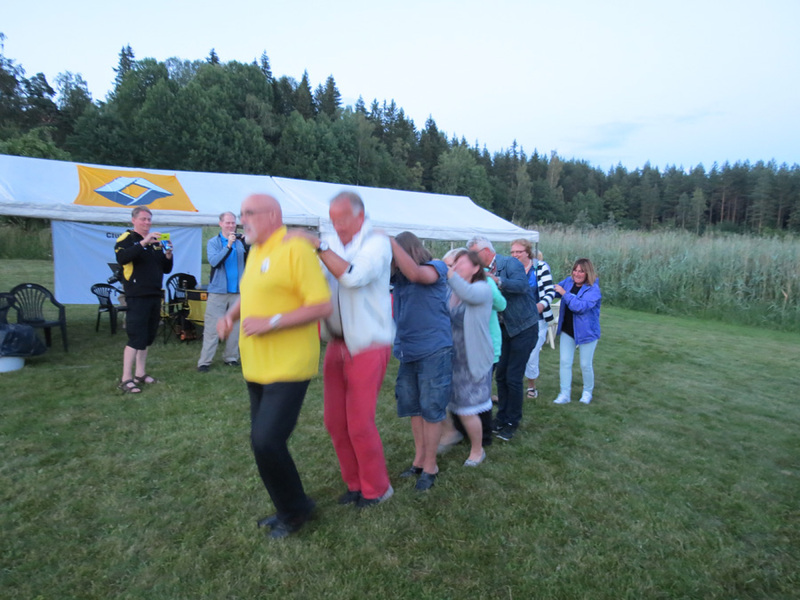 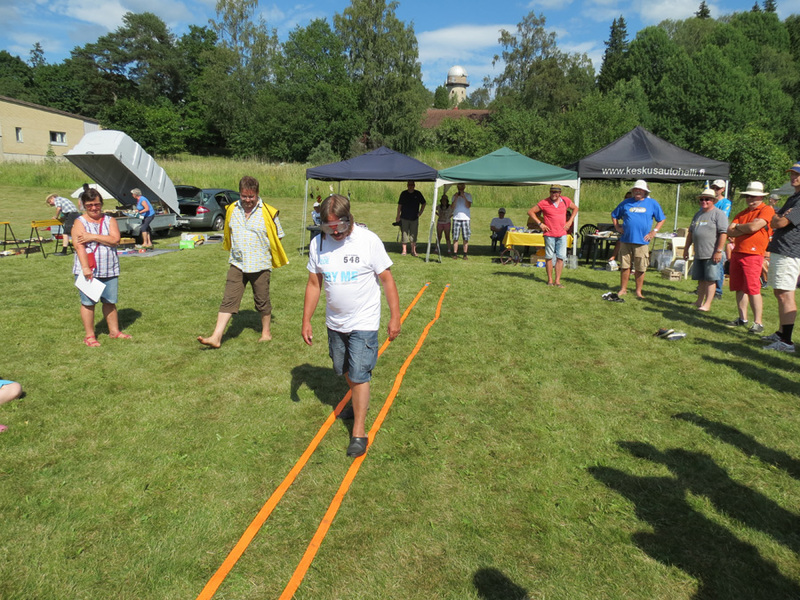 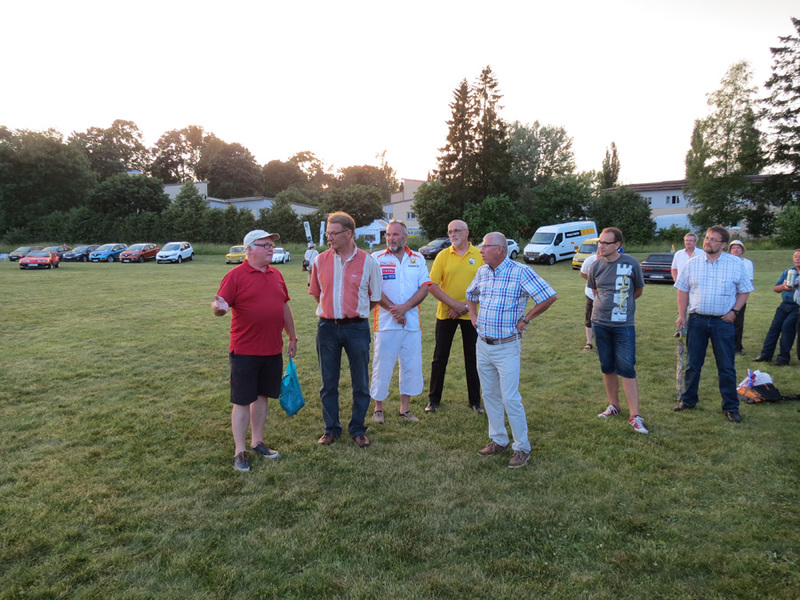 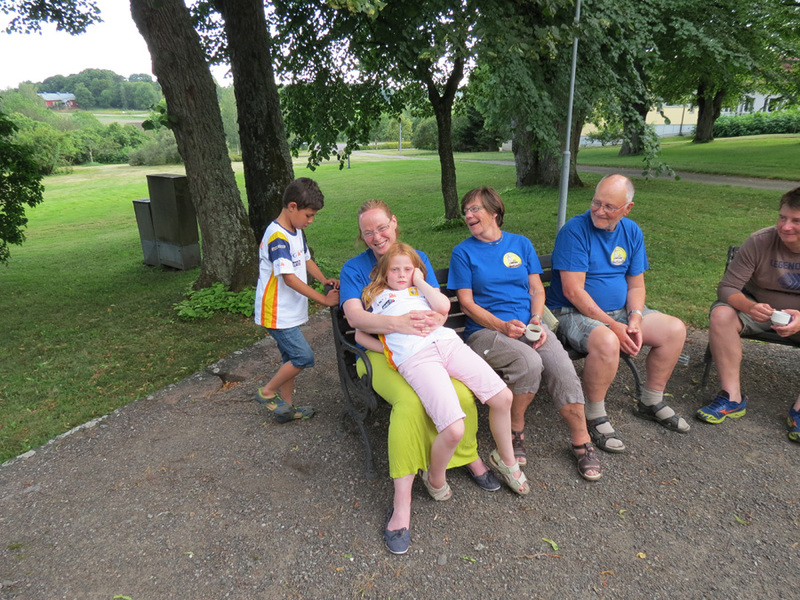 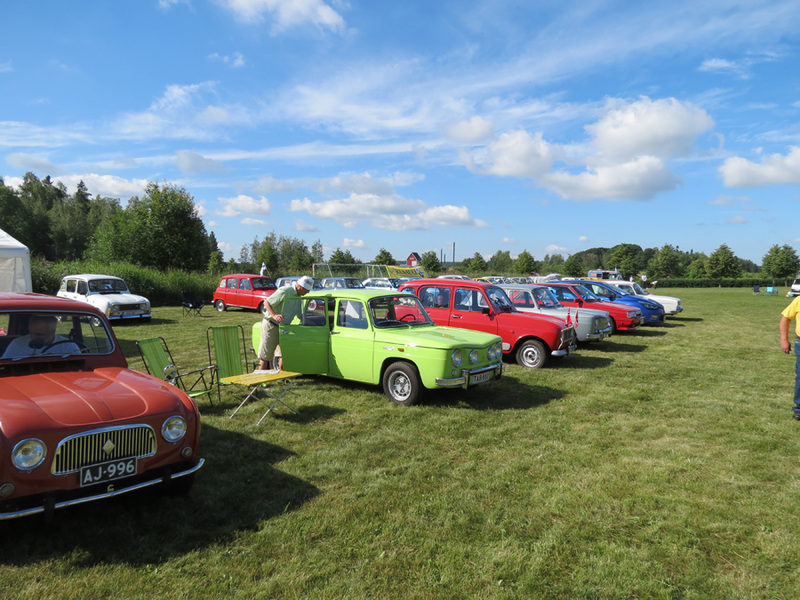 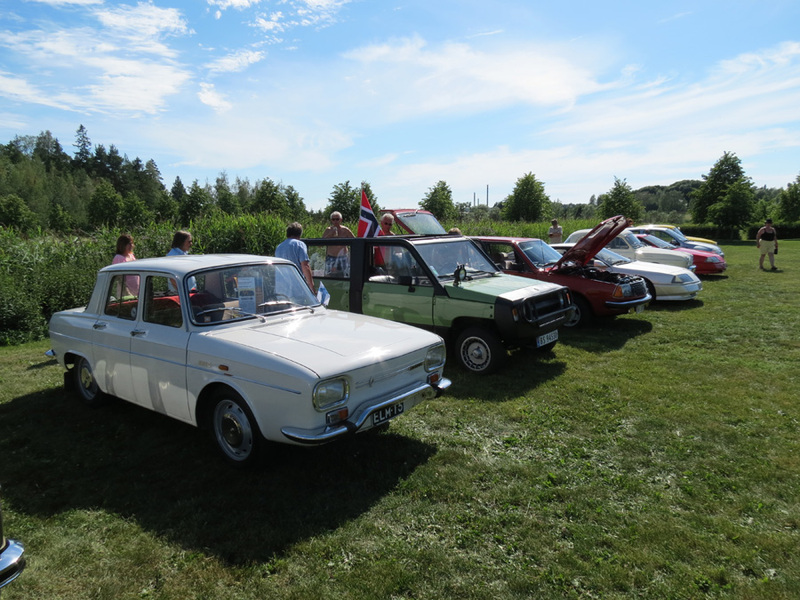 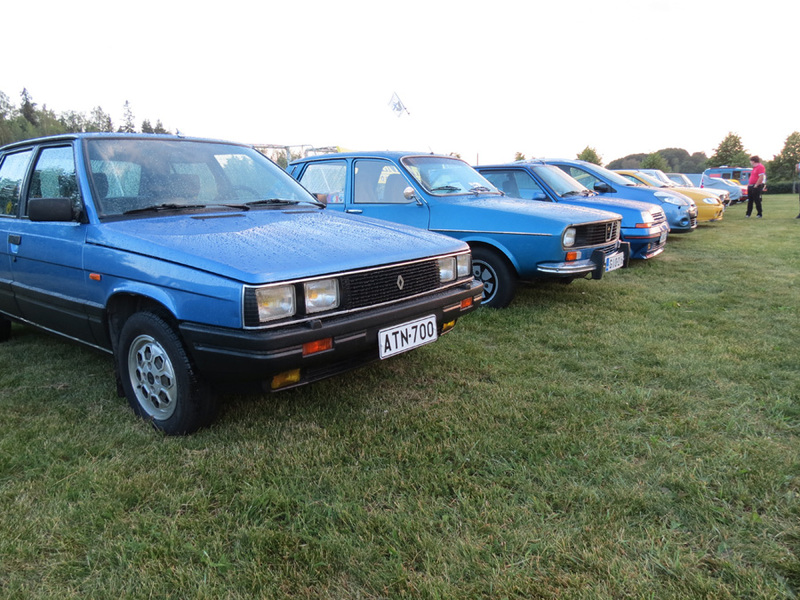 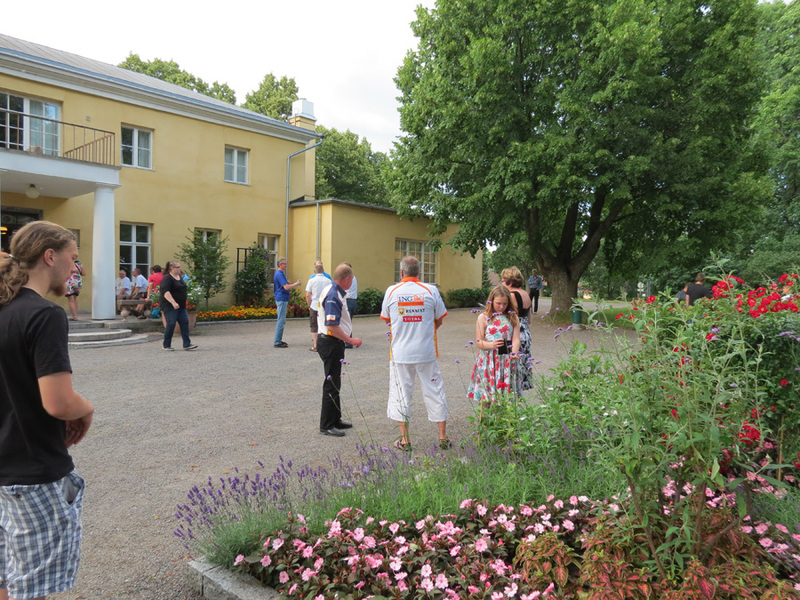 Tuorla was the place where Finnish Renault club held the 23rd Scandinavian Renault meeting and the the club’s 30th anniversary. 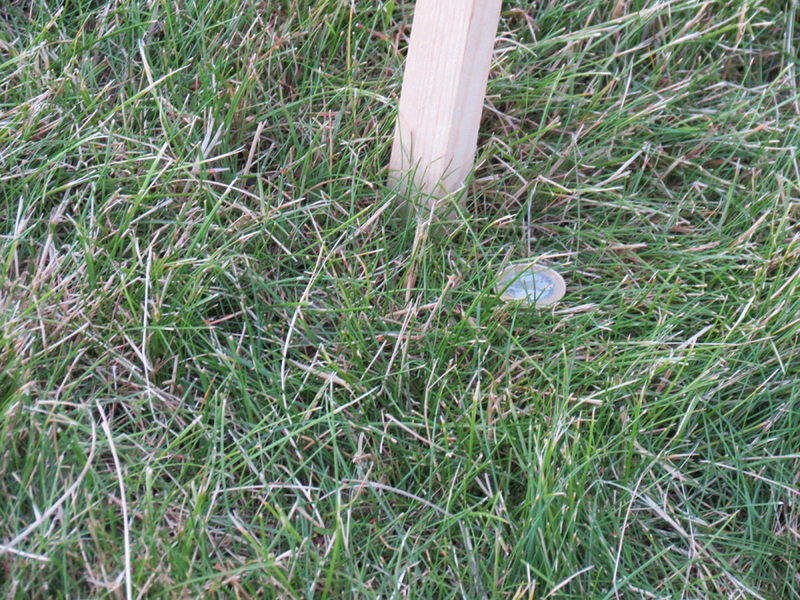 There was approx. 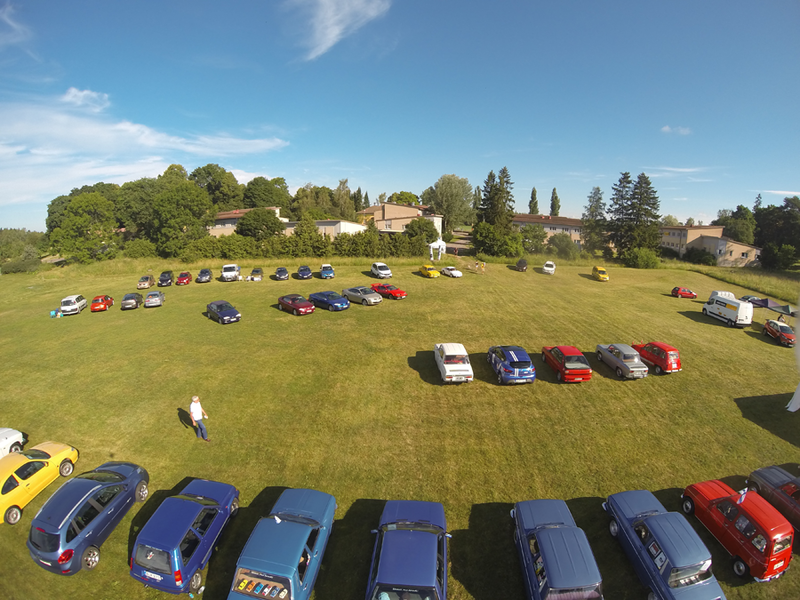 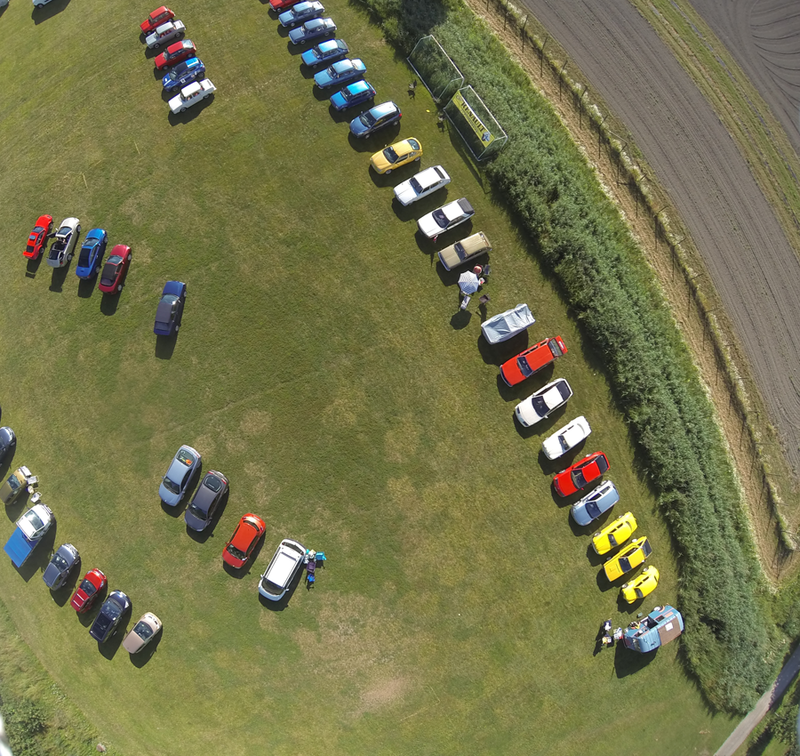 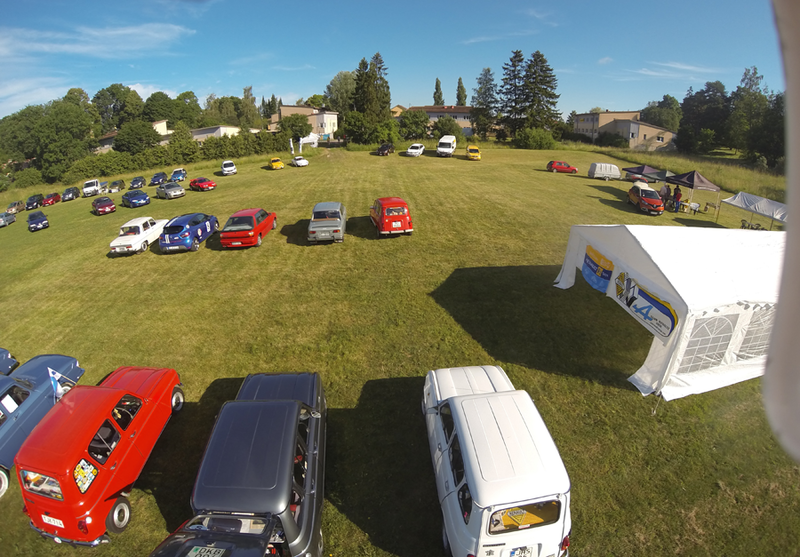 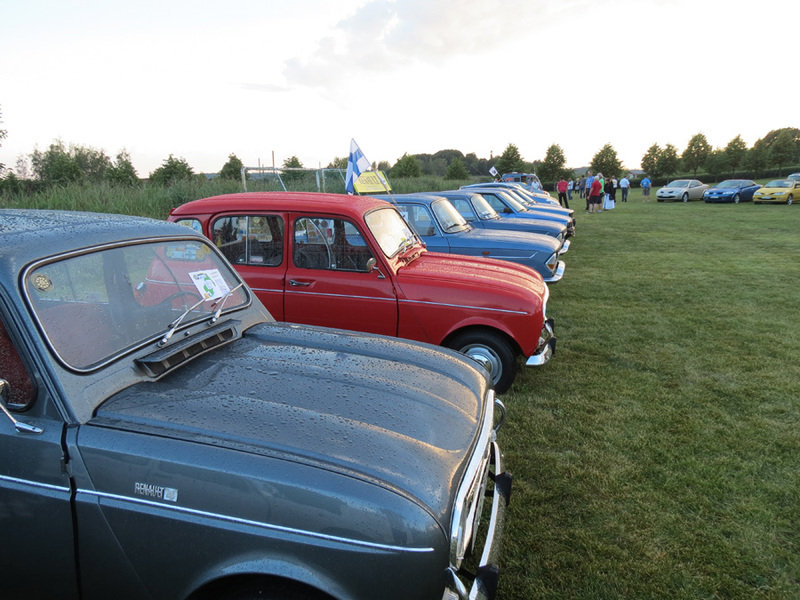 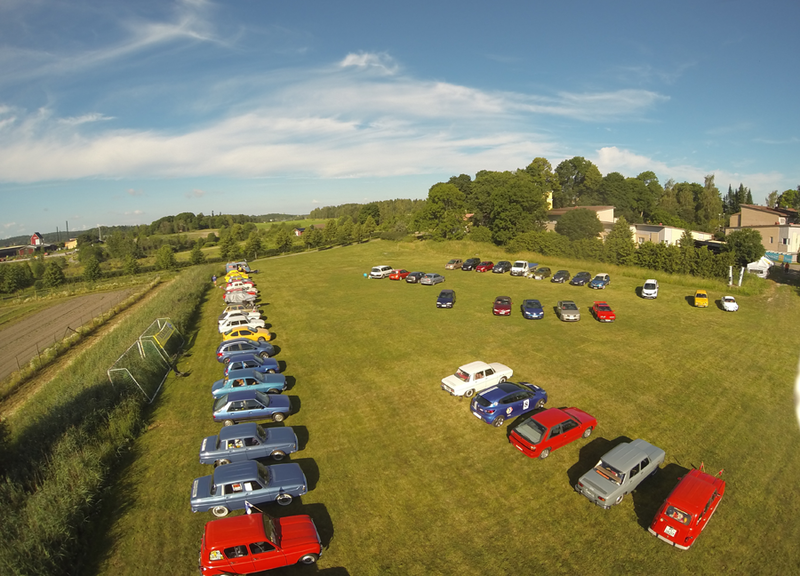 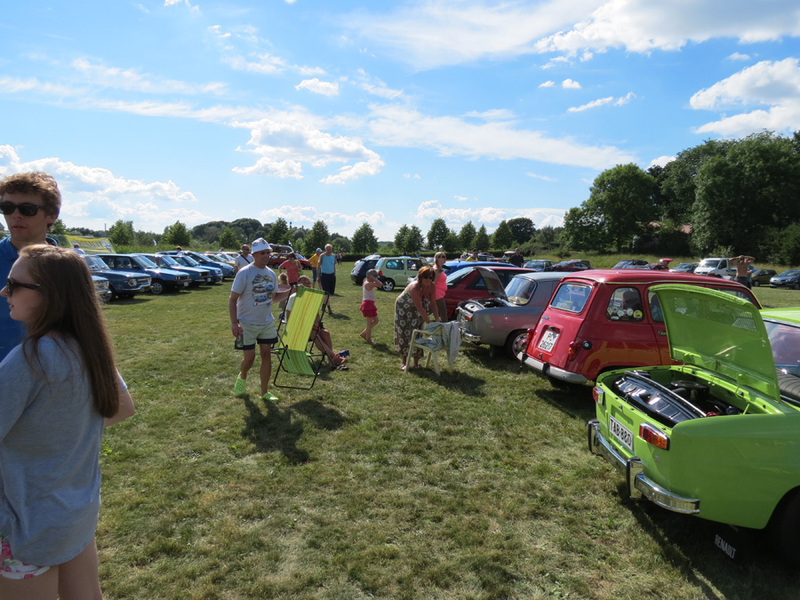 80 cars that participated and 130 people. 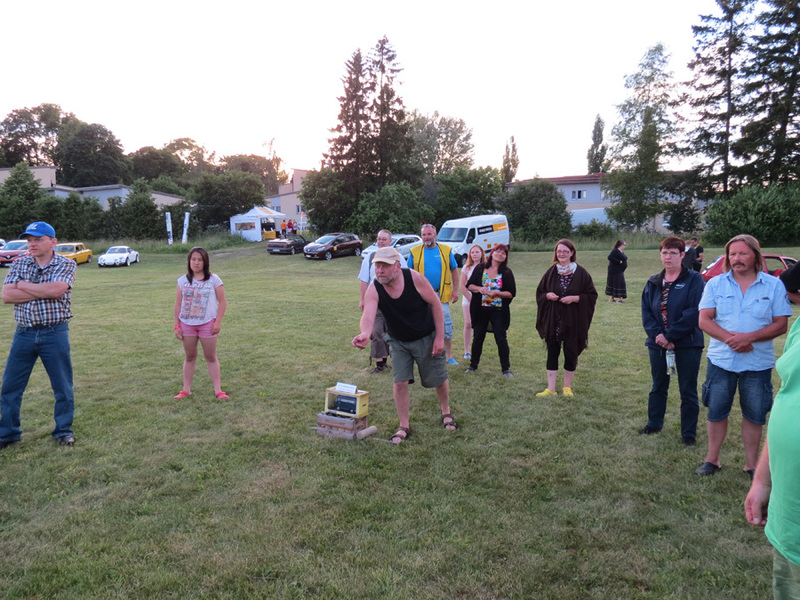 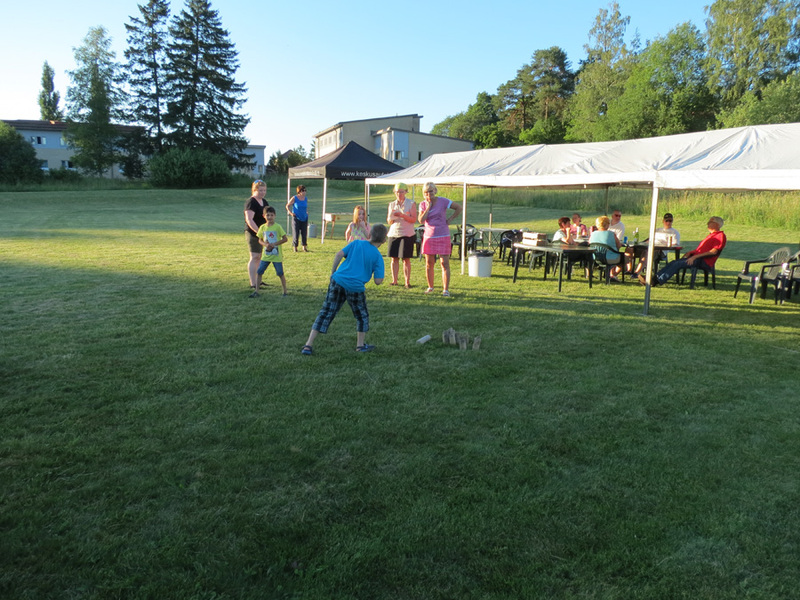 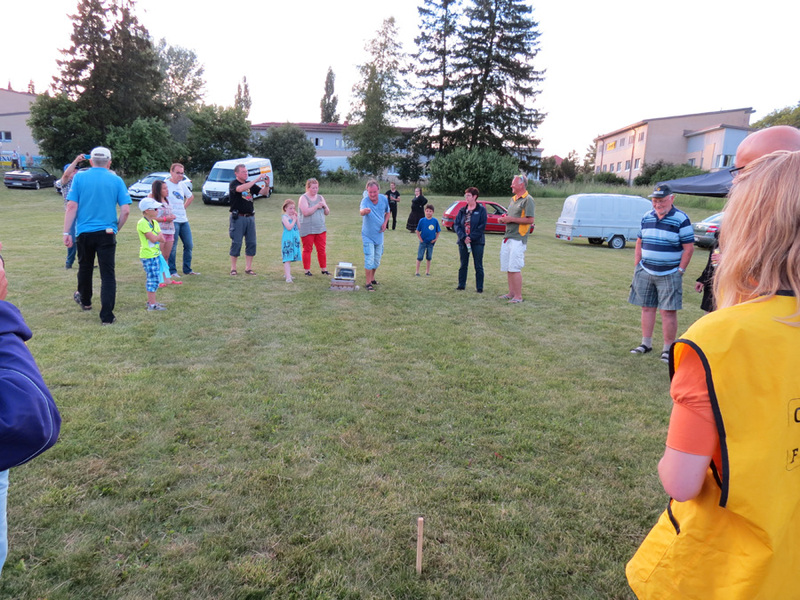 Friday night we got a grilled sausage and a beer or soda, afterwards there were coin-throwing ie you should throw 1 Euro closest to a stick – prize was a Renault model car. 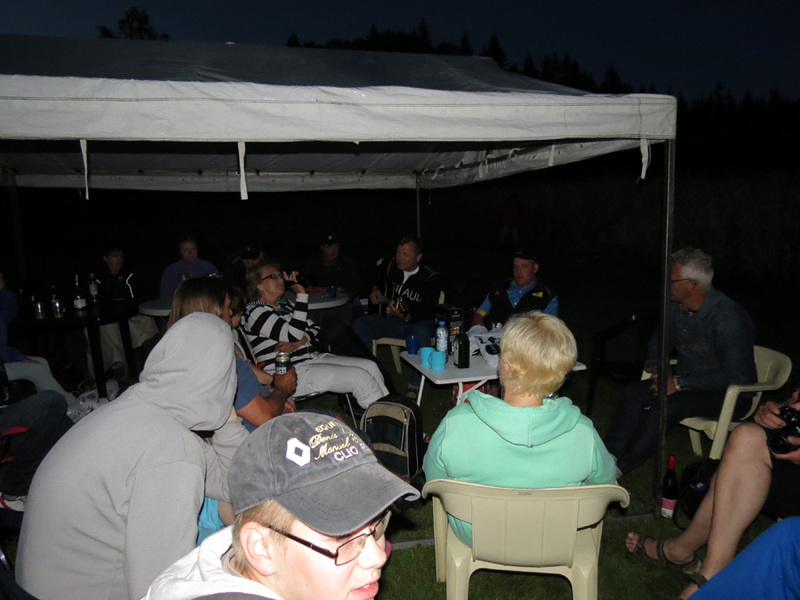 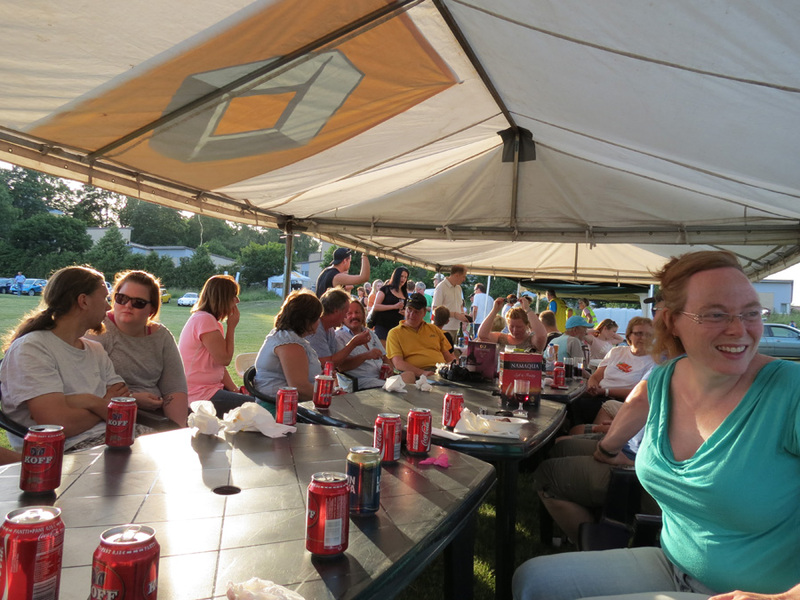 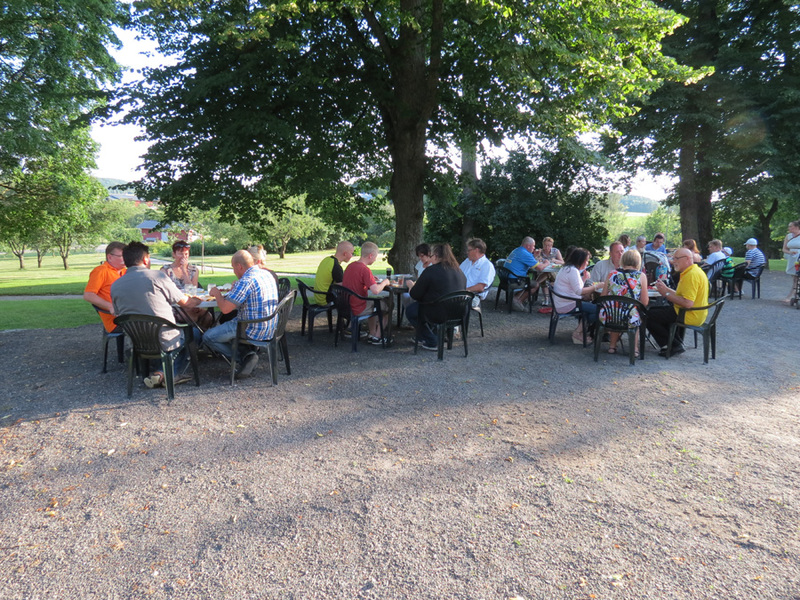 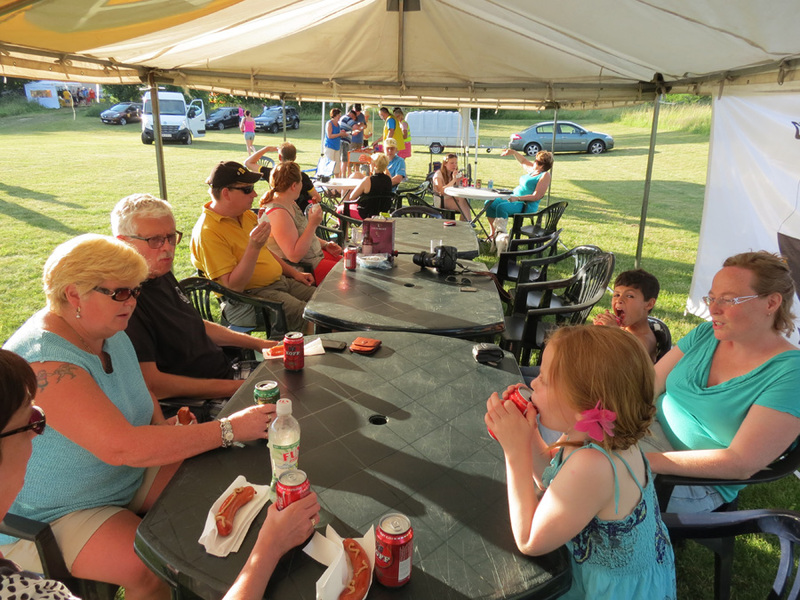 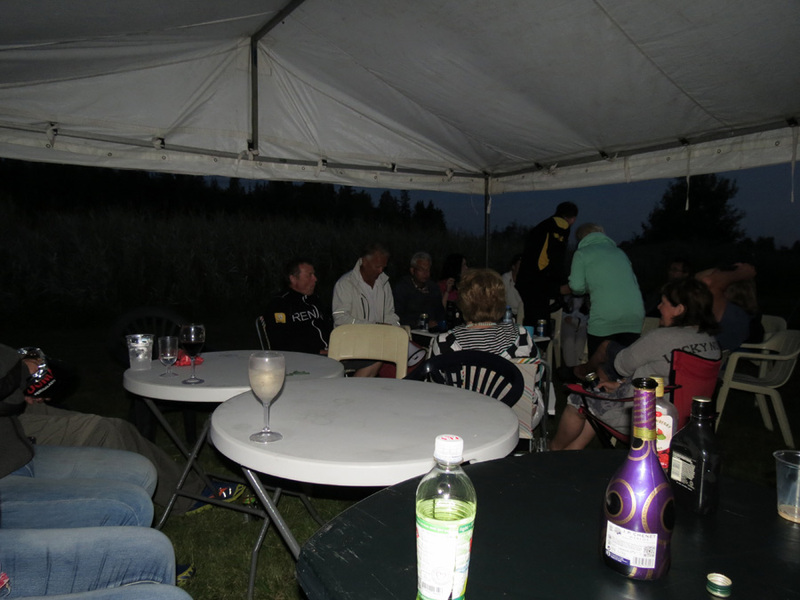 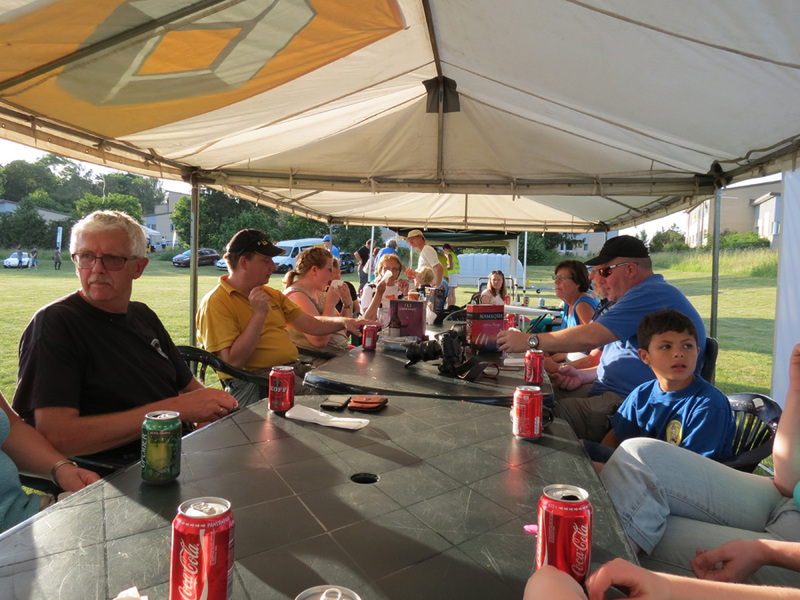 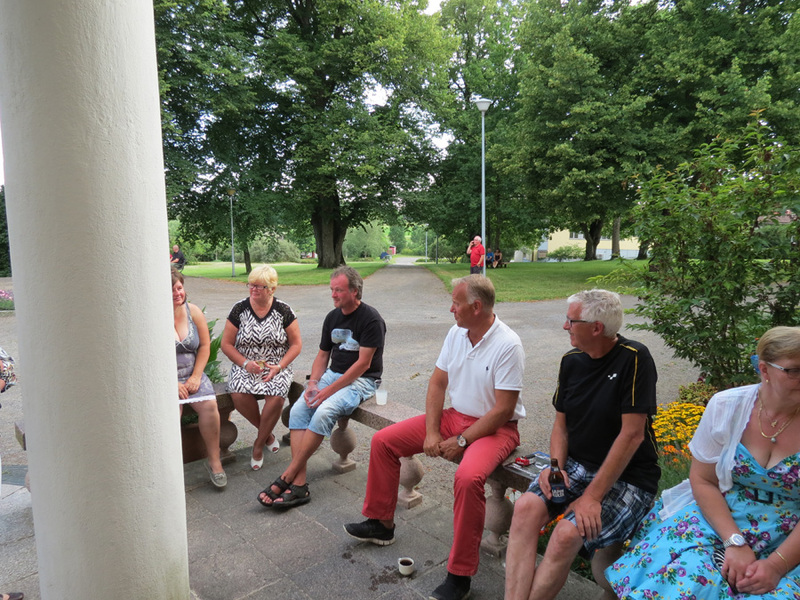 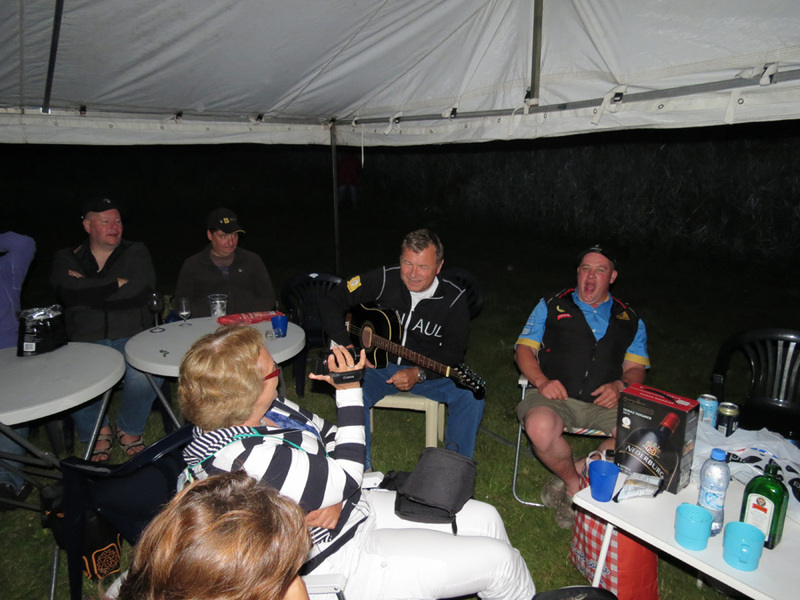 Everybody enjoyed the rest of the evening. 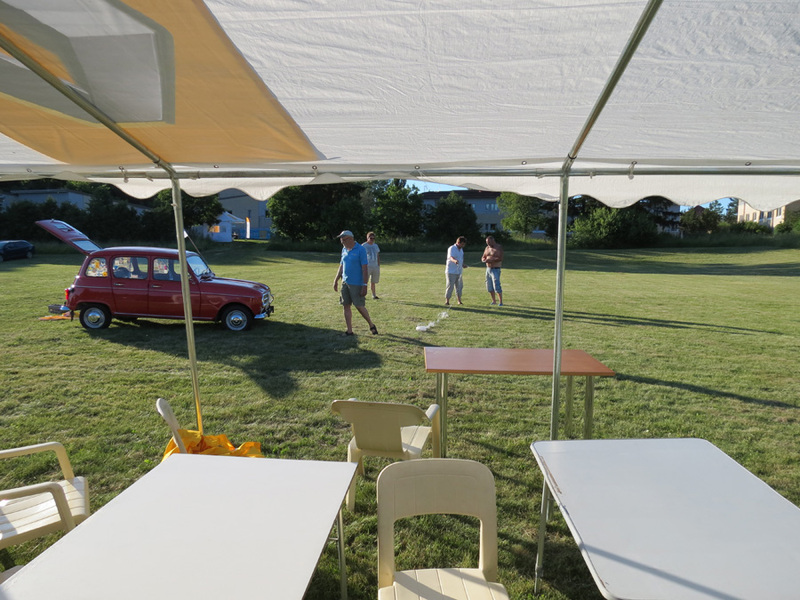 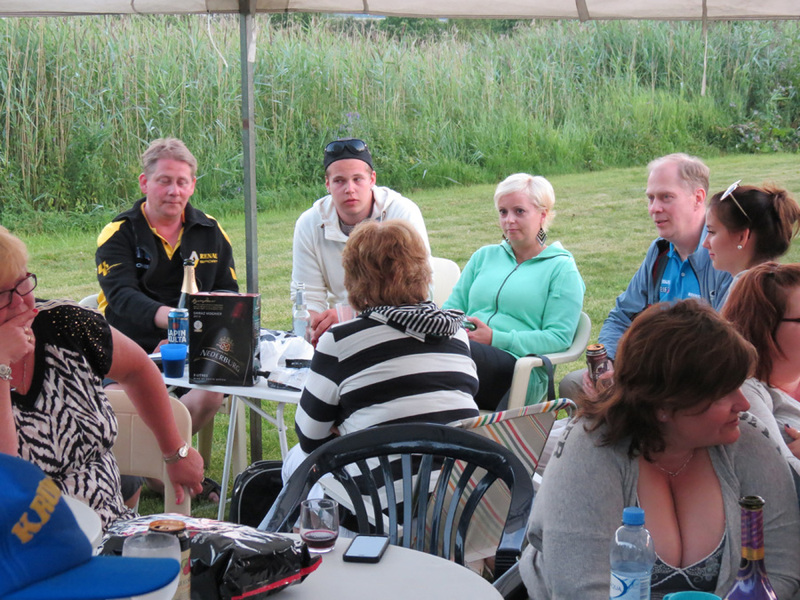 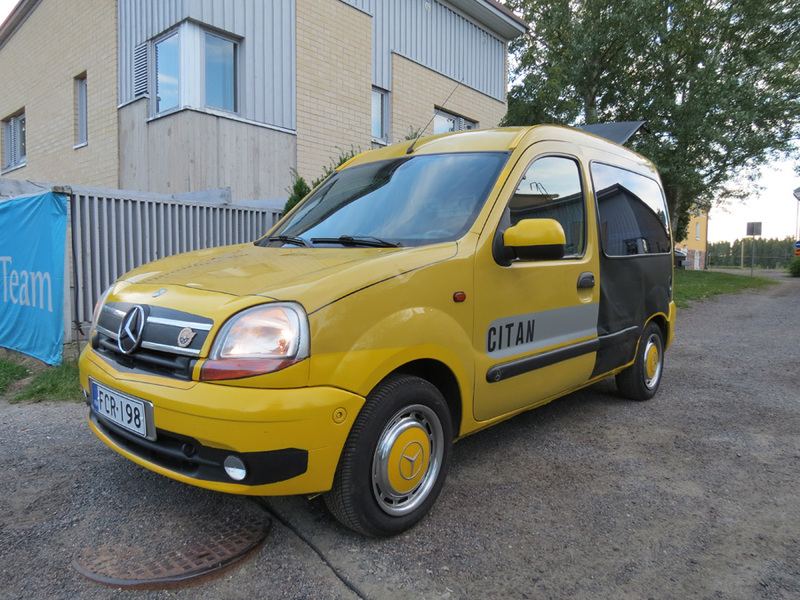 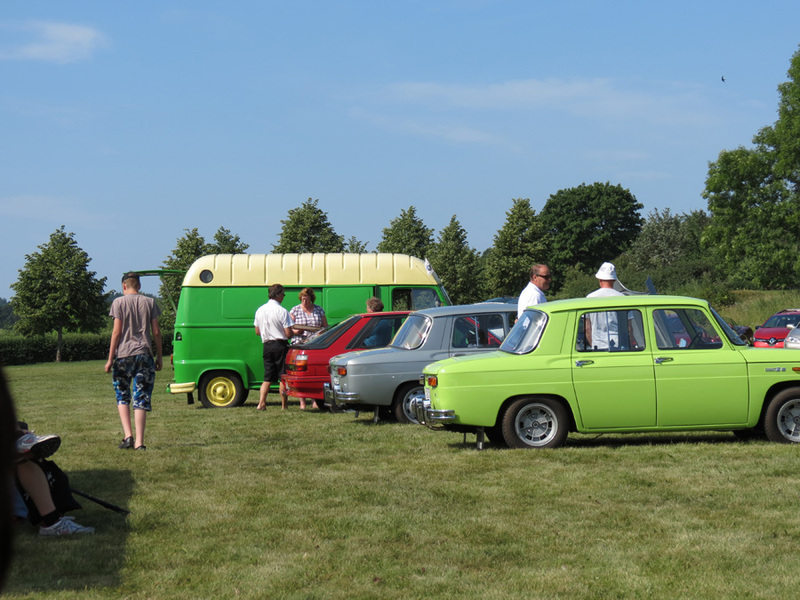 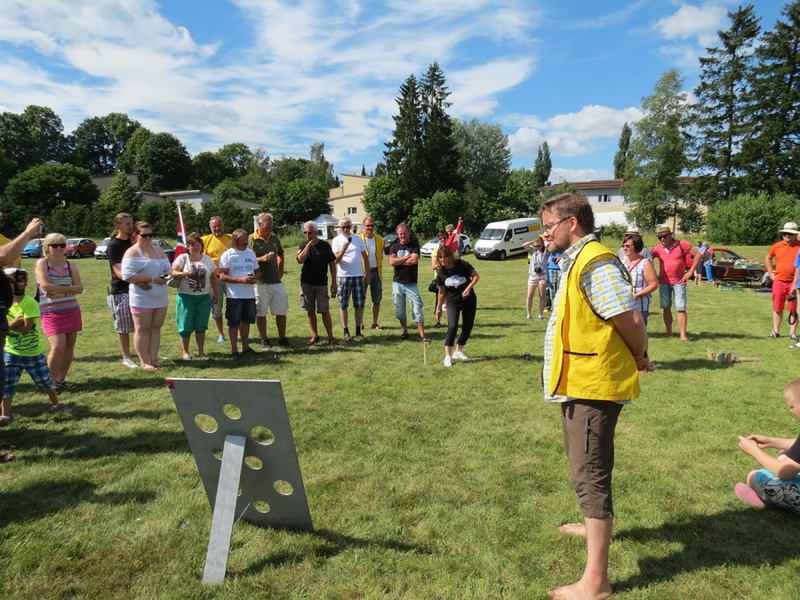 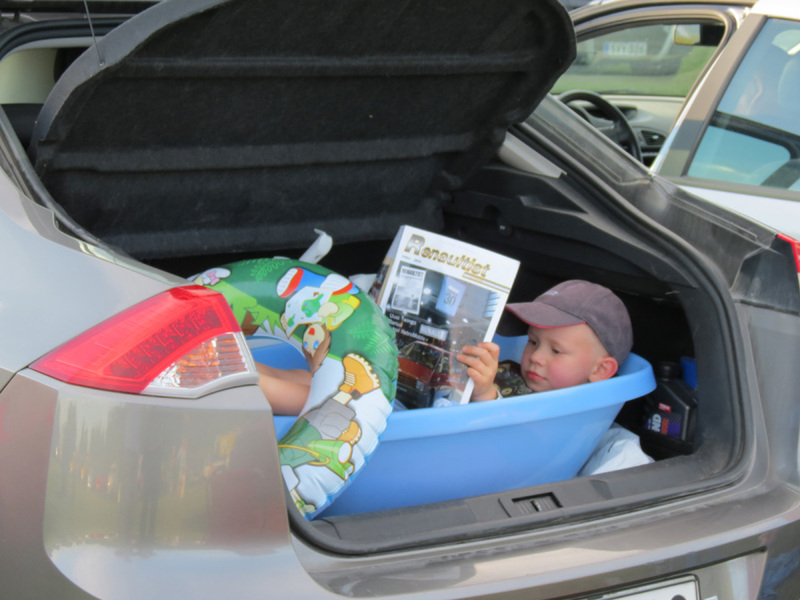 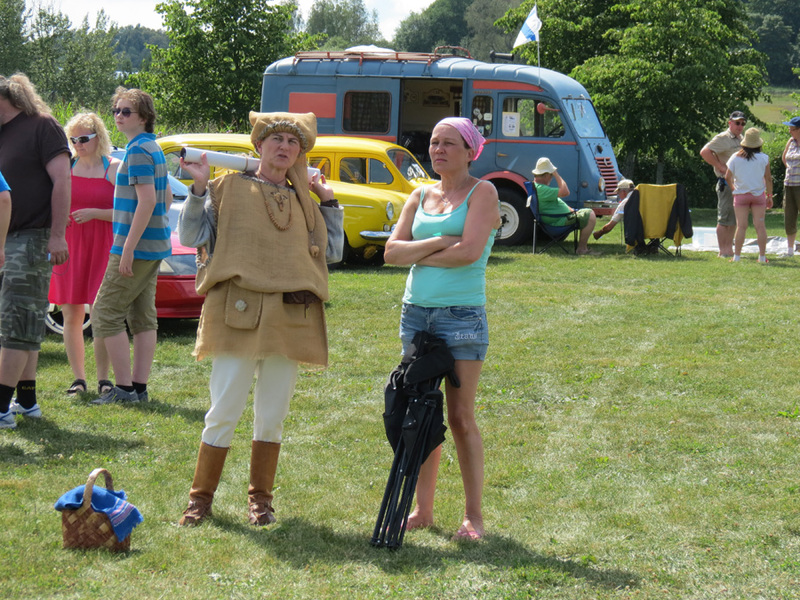 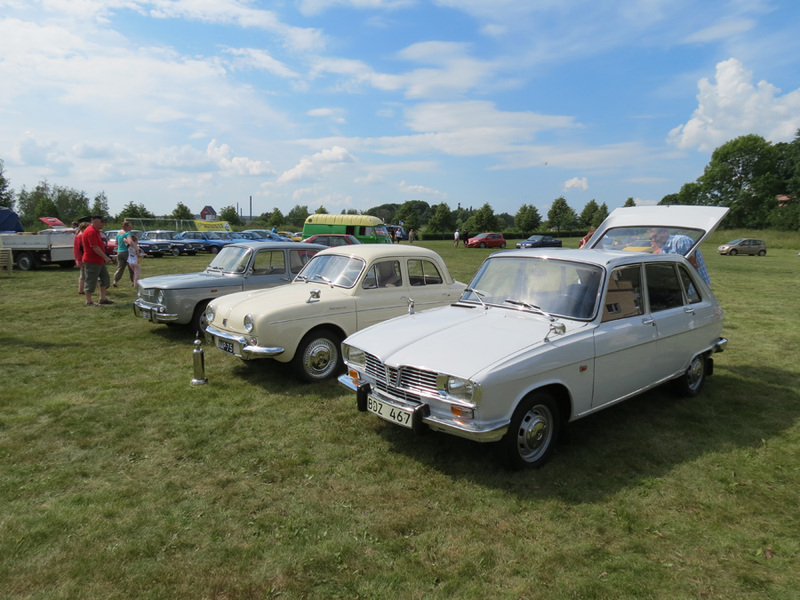 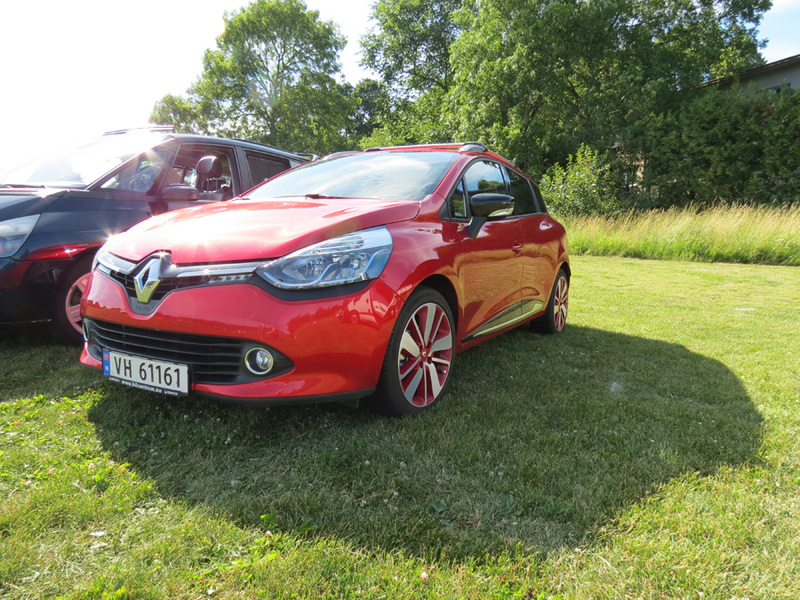 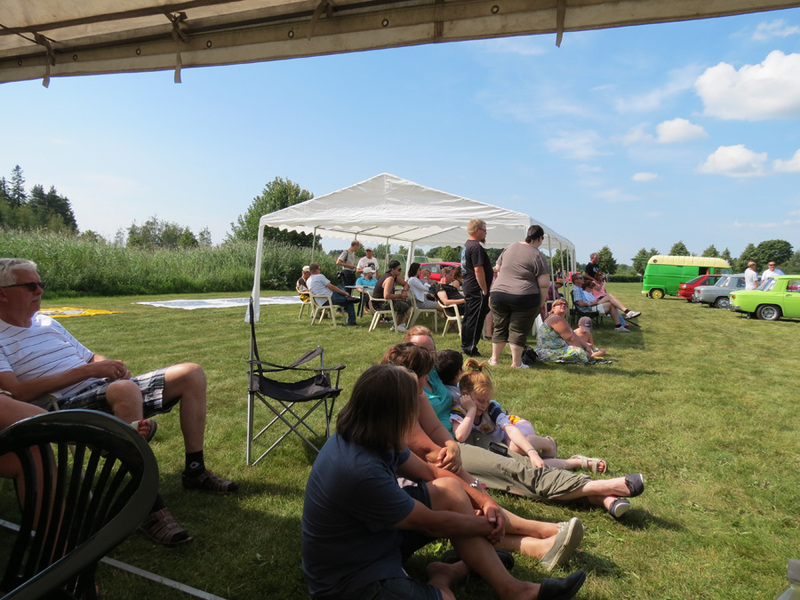 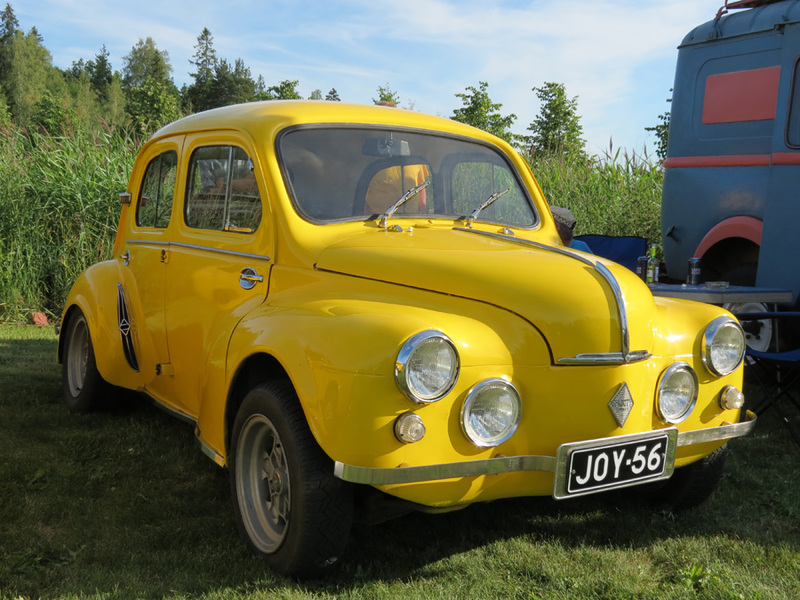 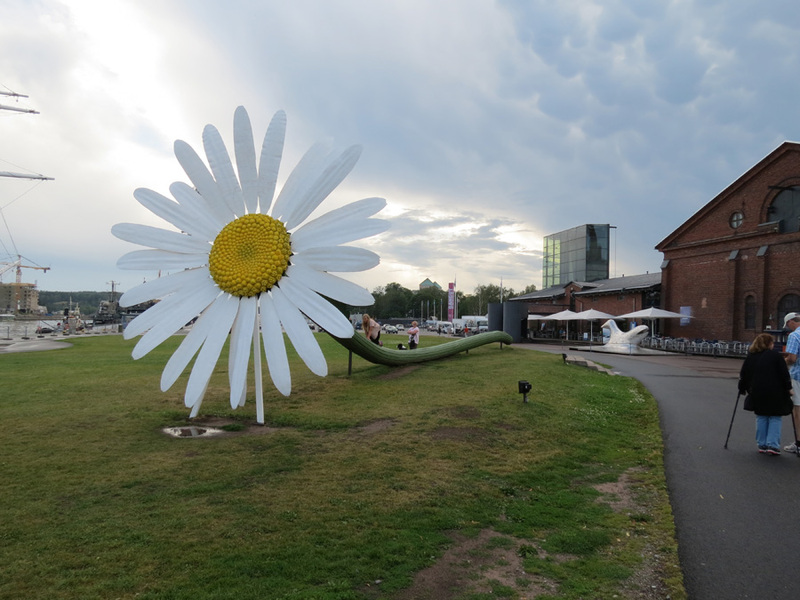 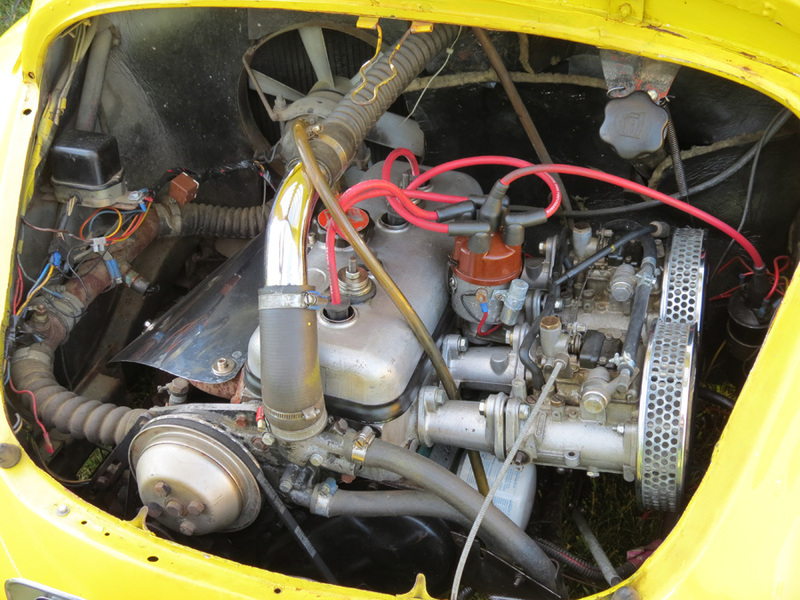 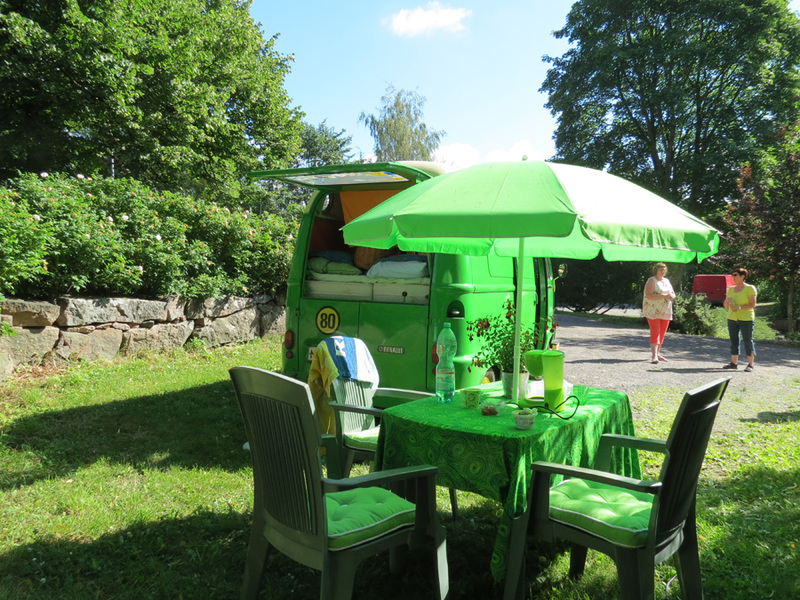 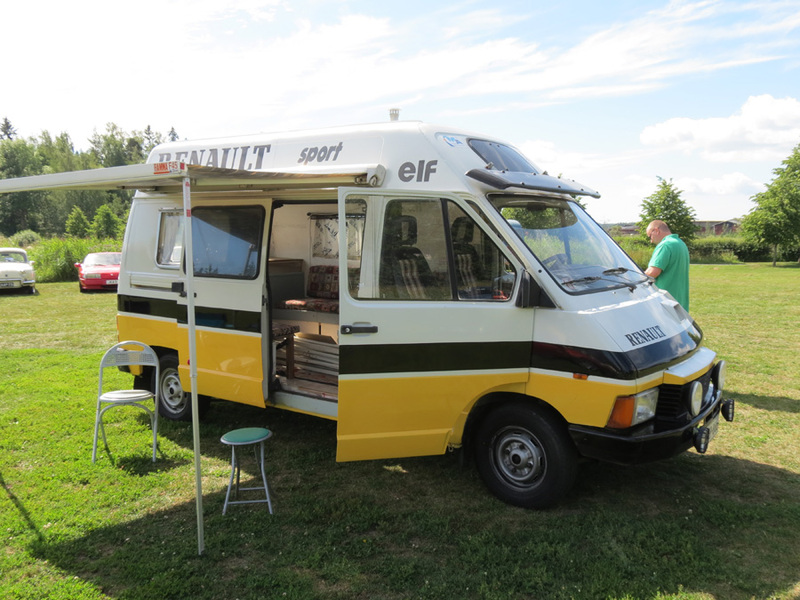 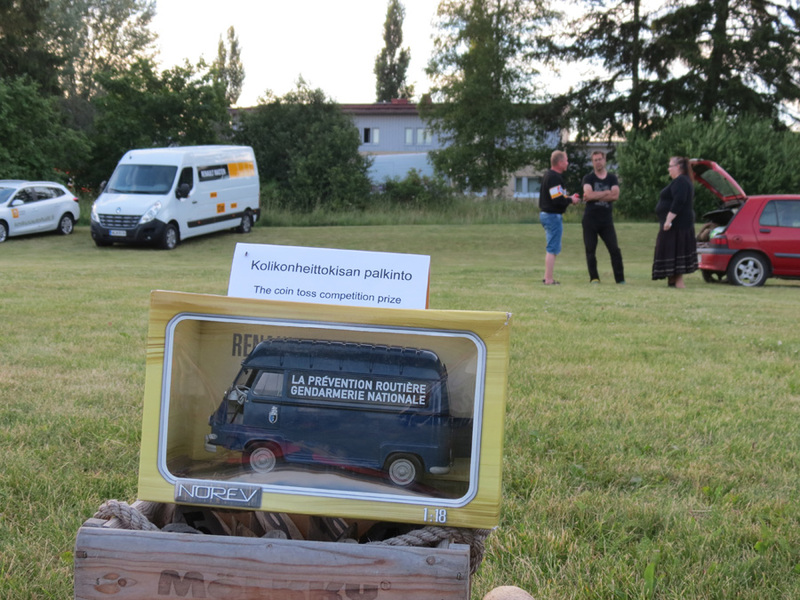 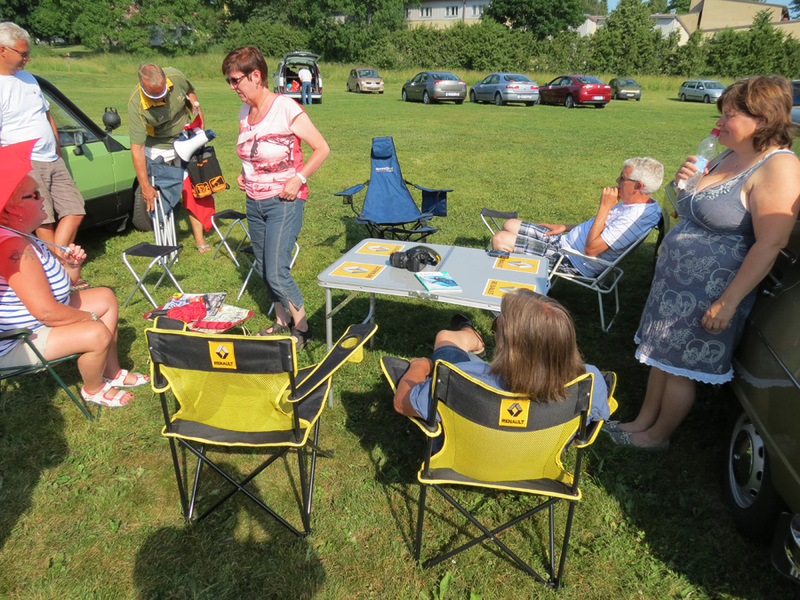 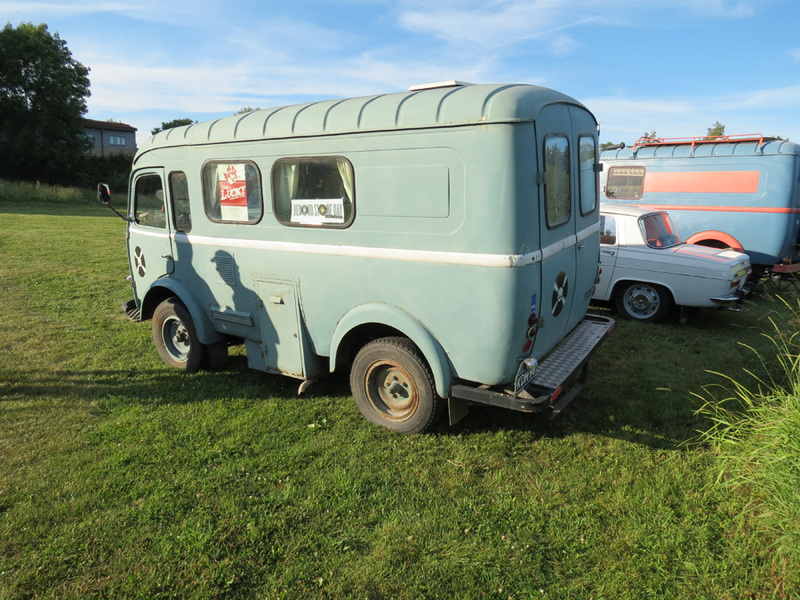 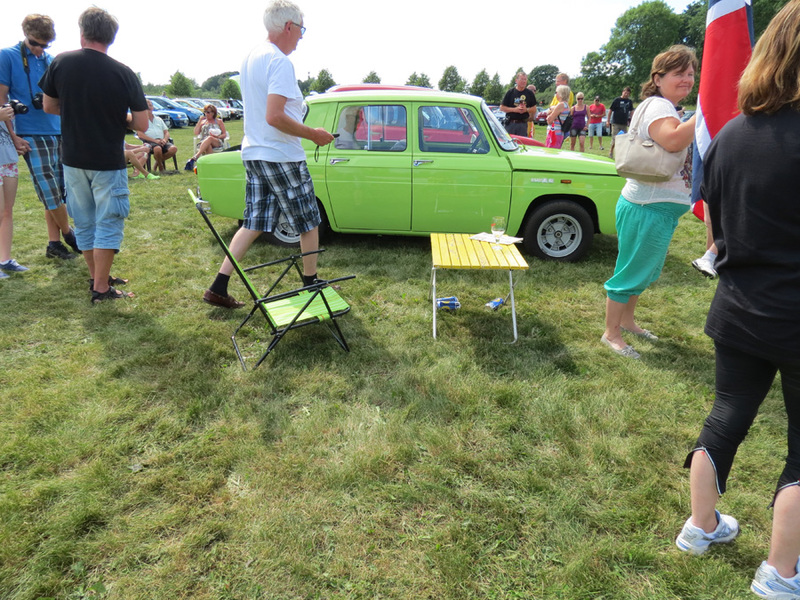 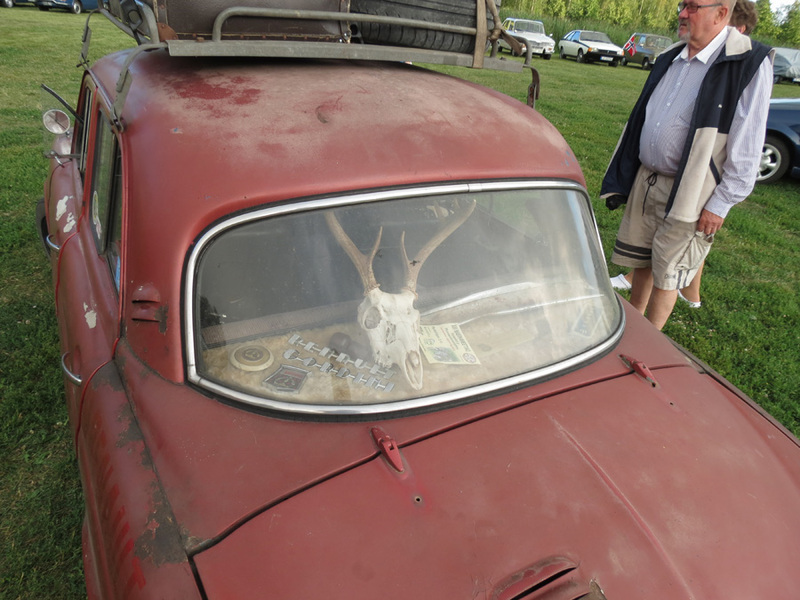 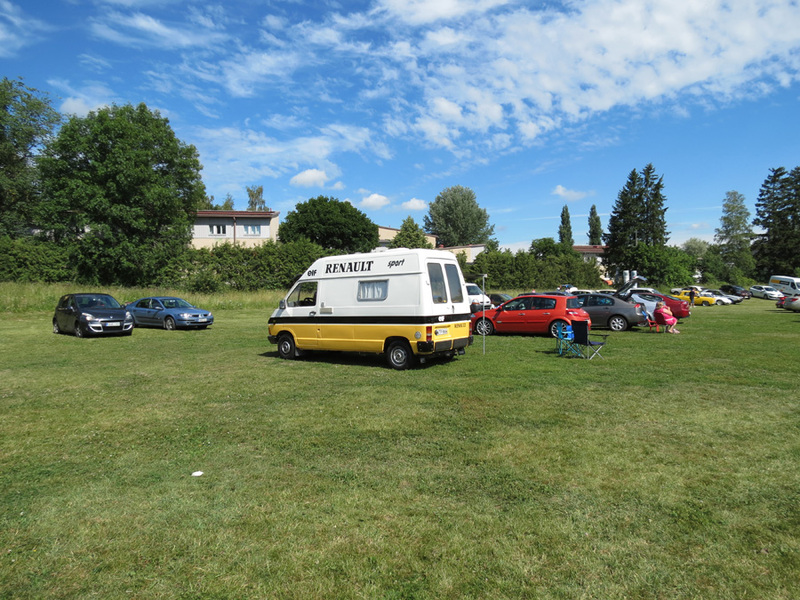 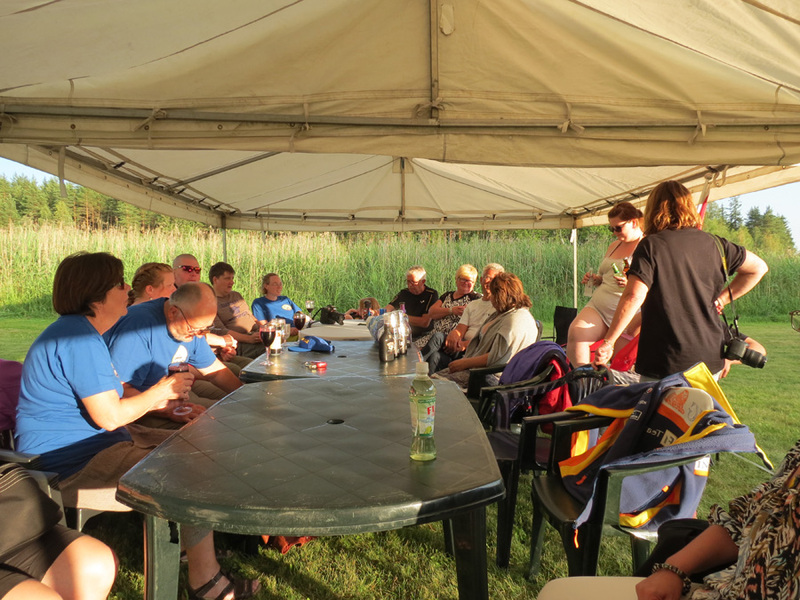 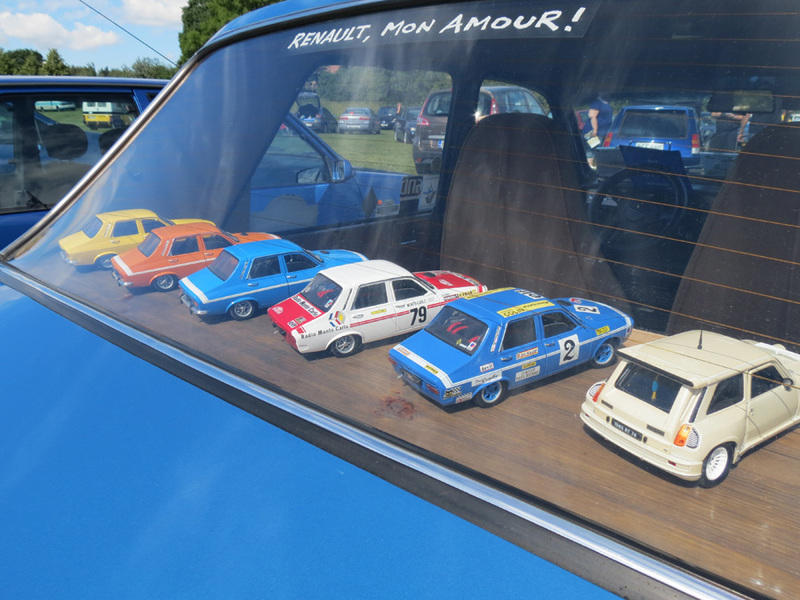 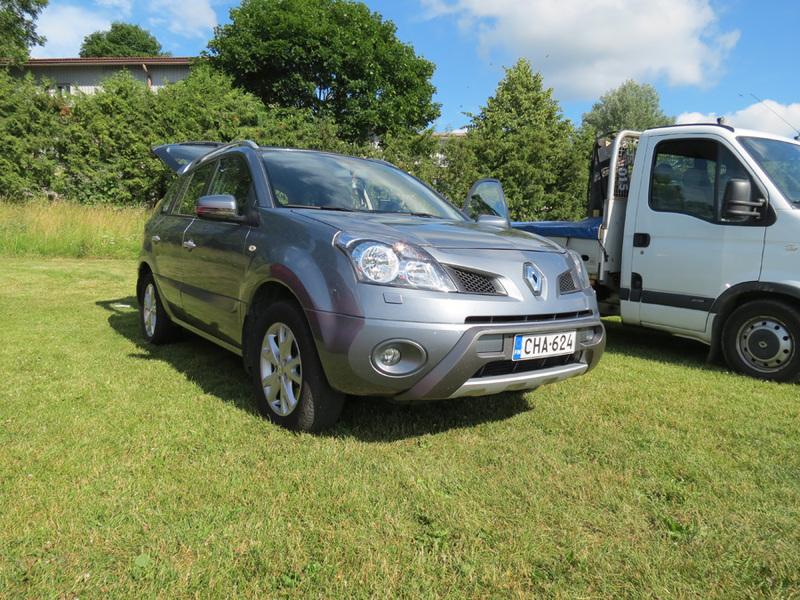 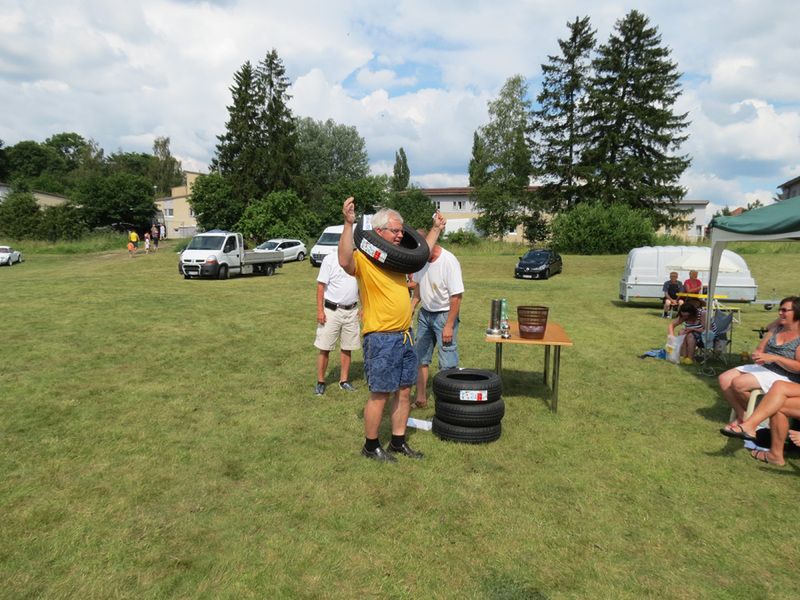 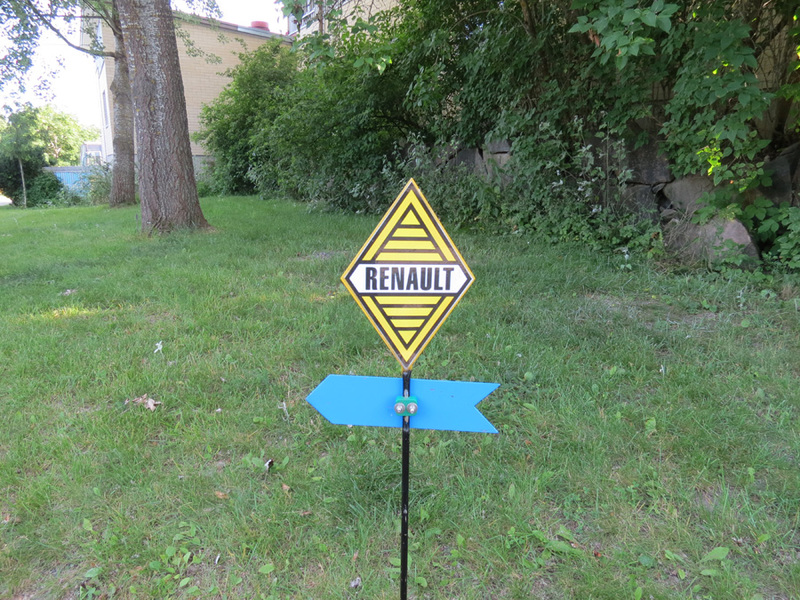 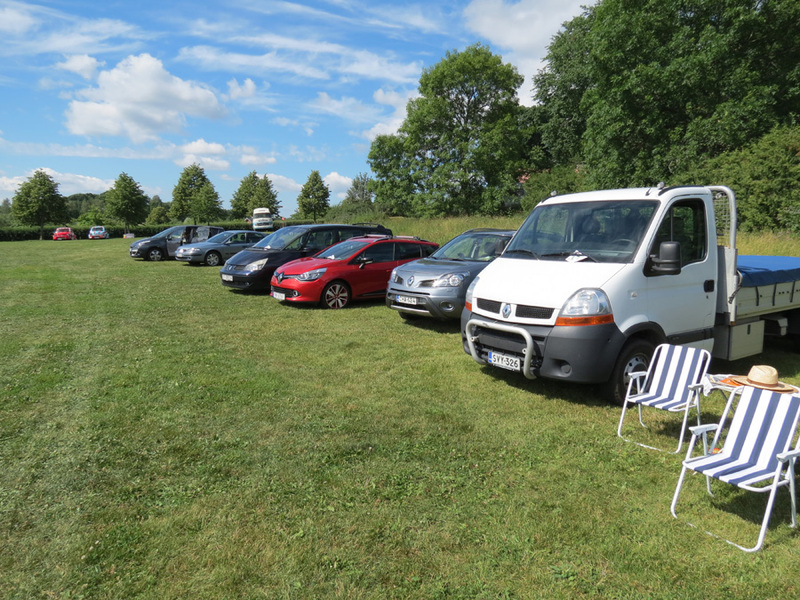 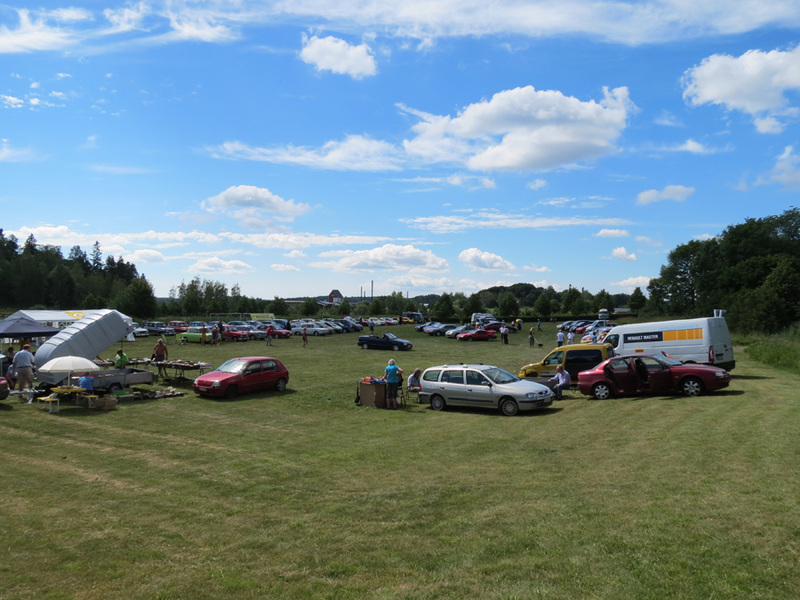 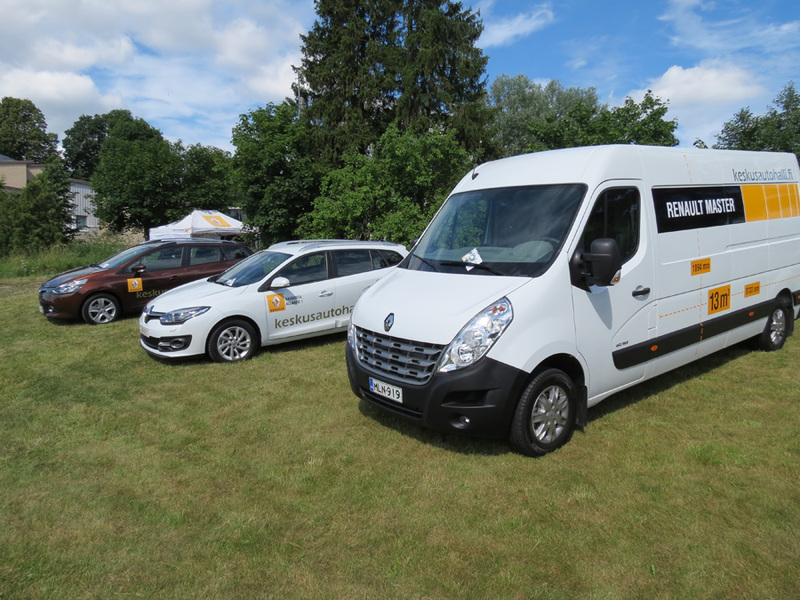 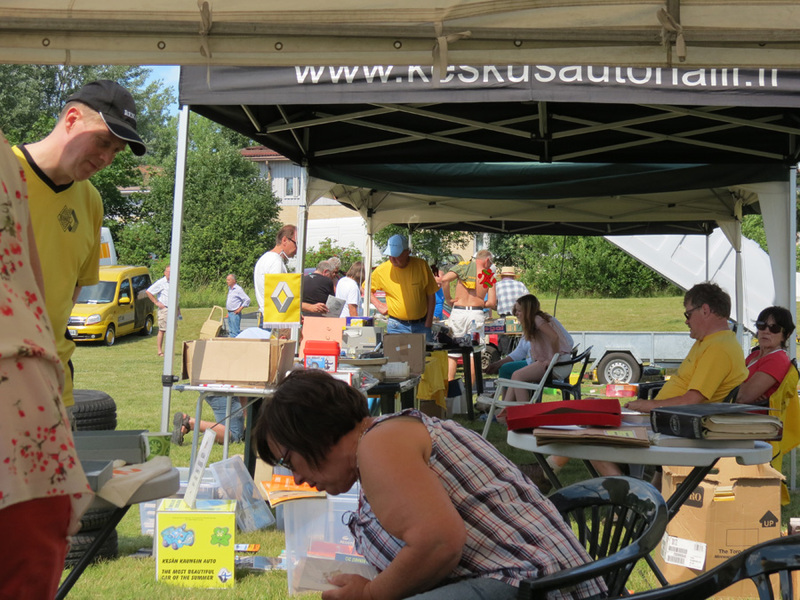 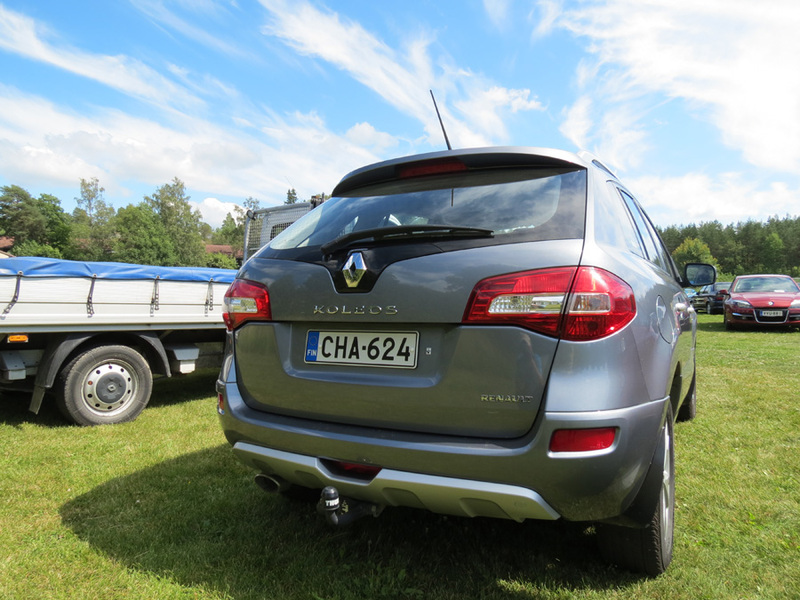 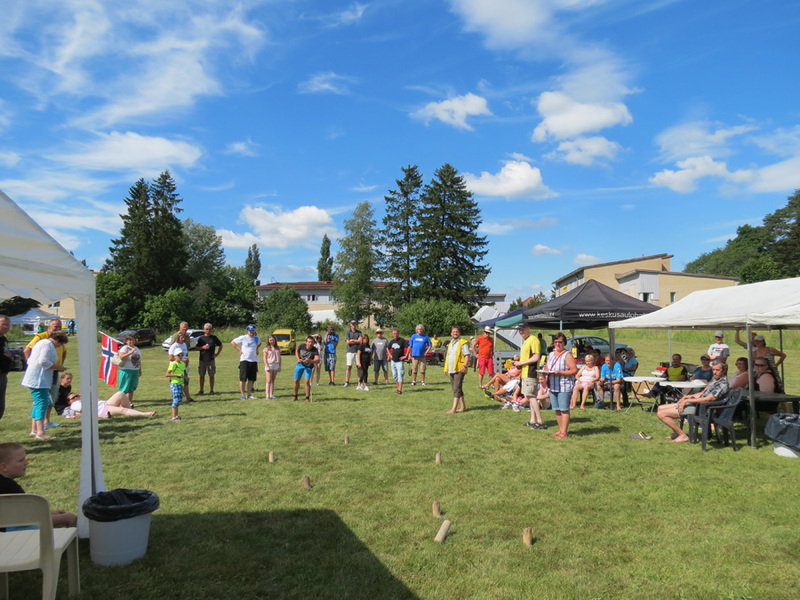 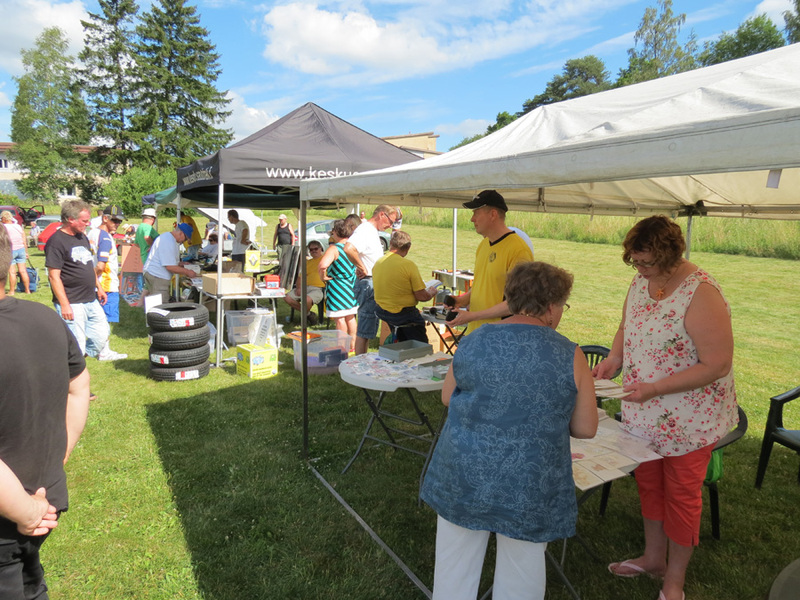 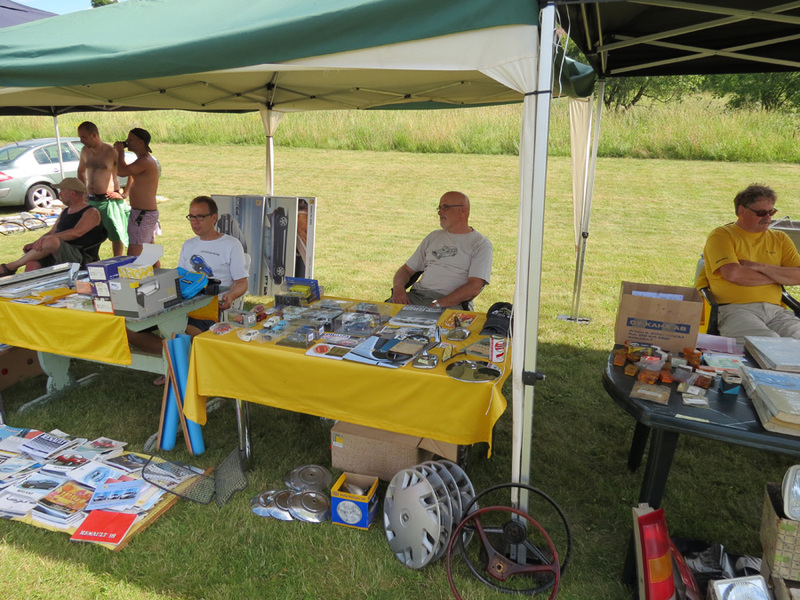 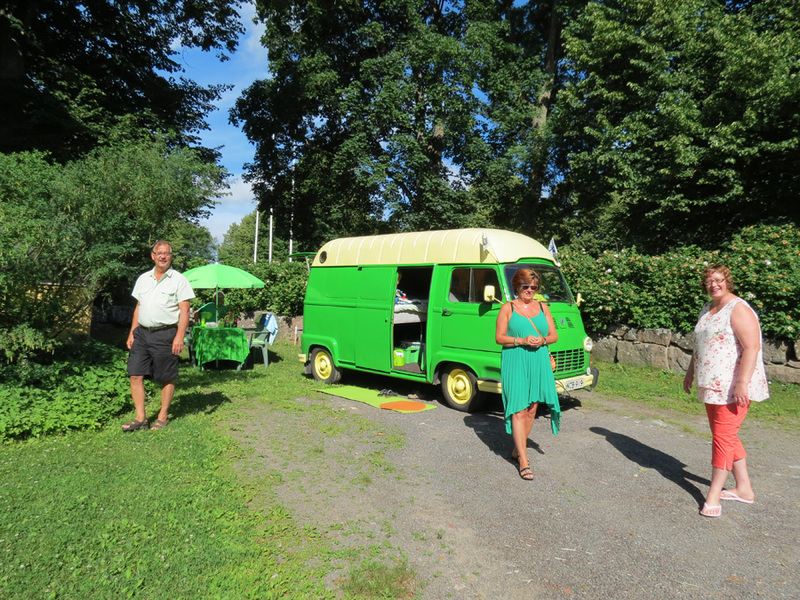 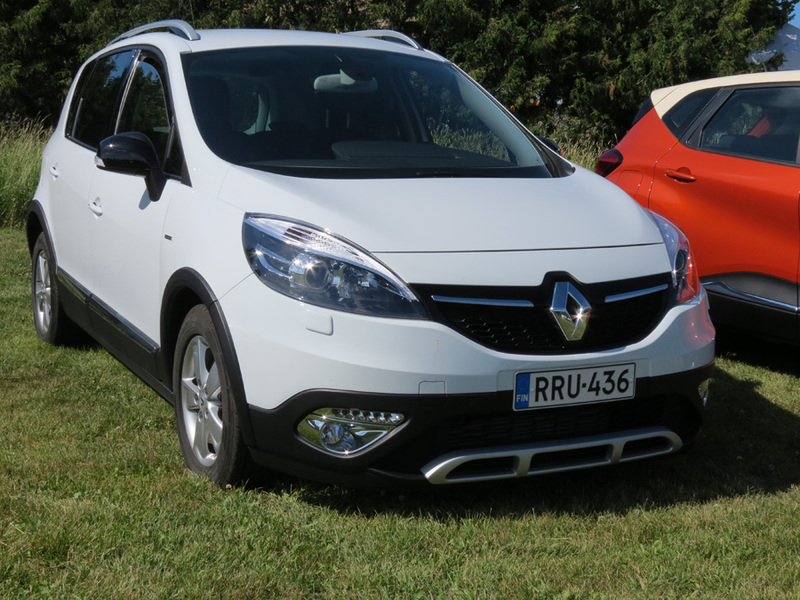 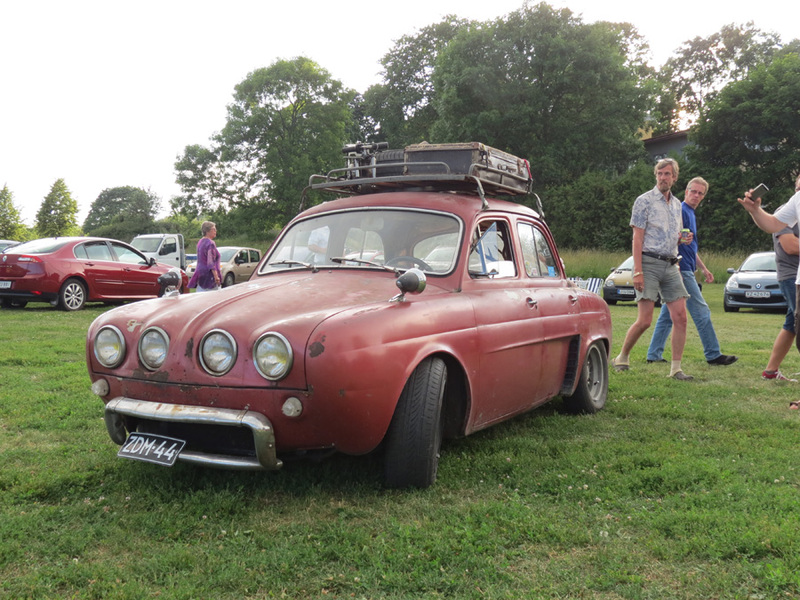 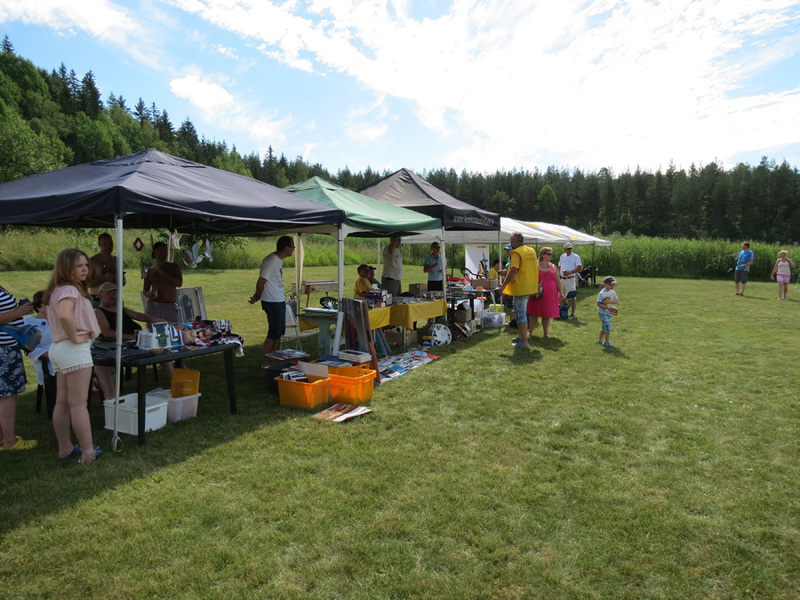 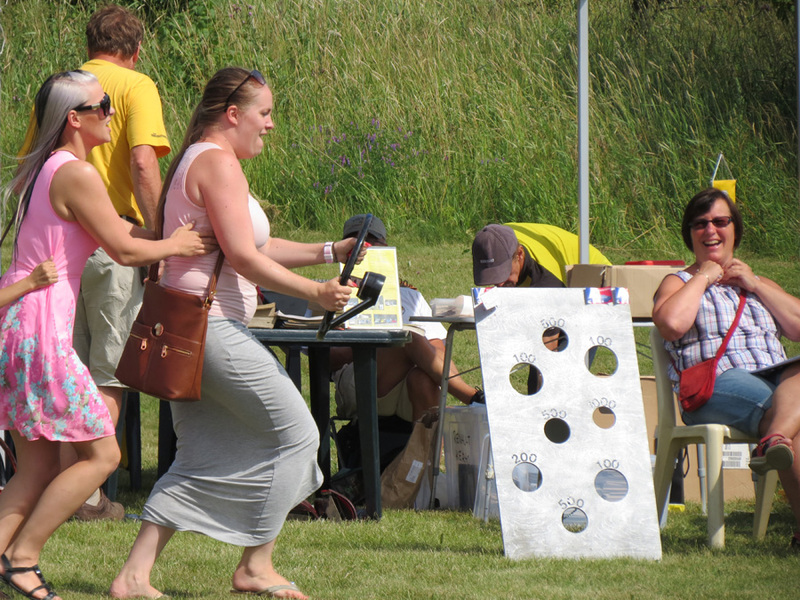 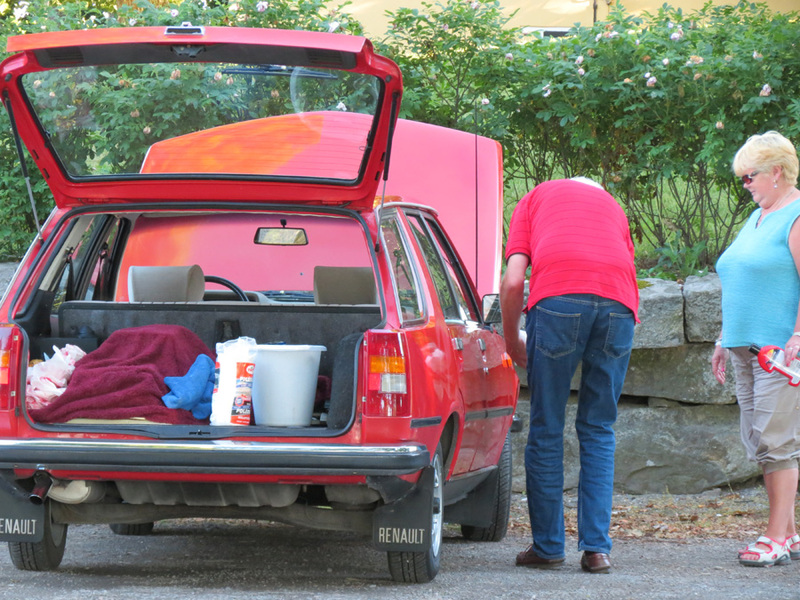 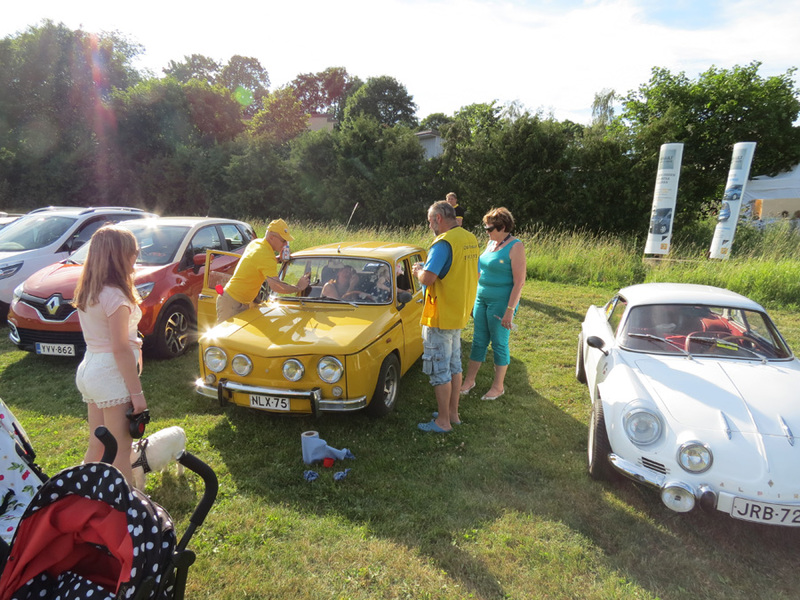 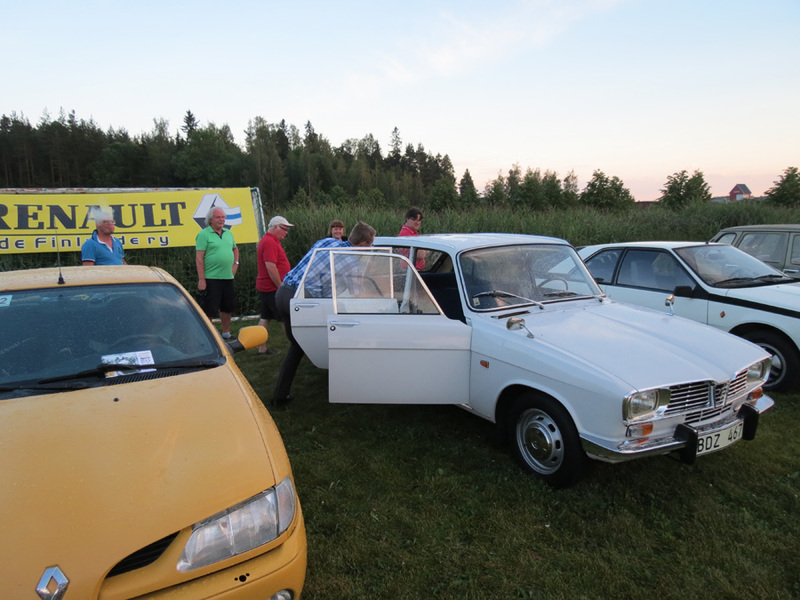 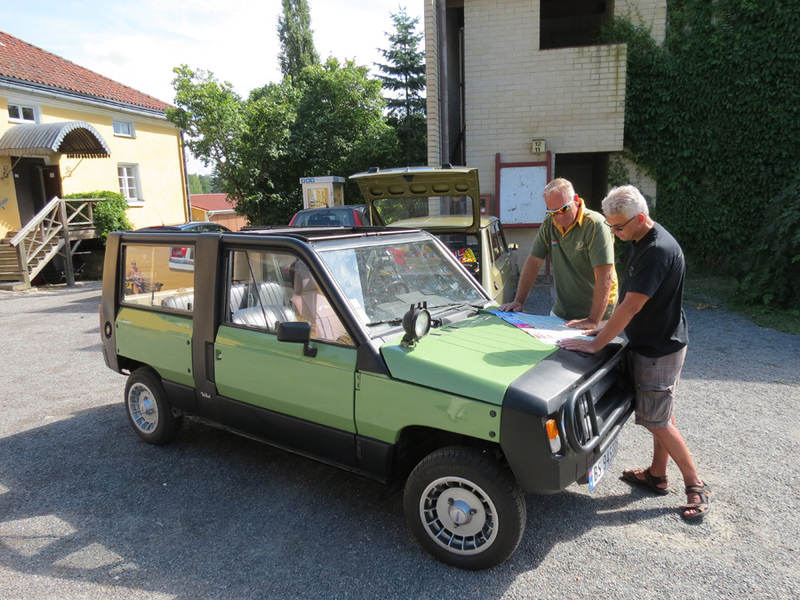 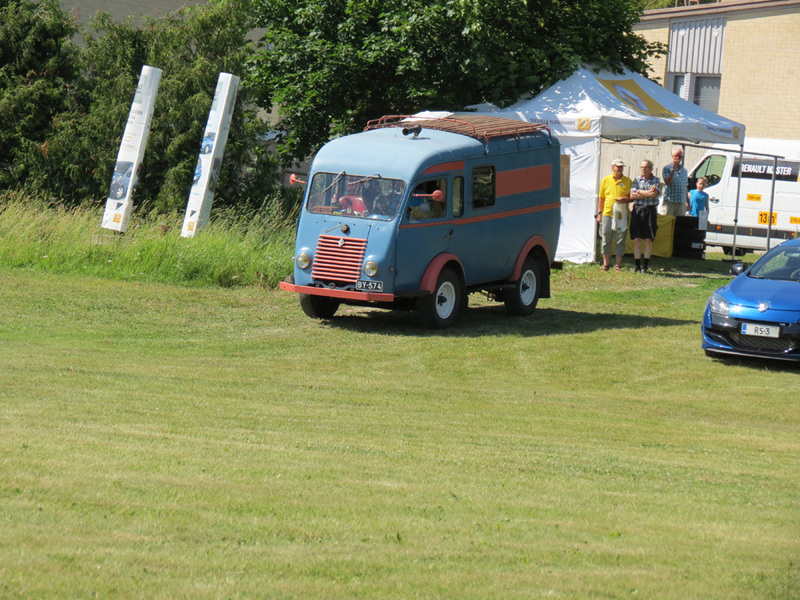 Saturday was market of spare parts and Renault merchandise and plain fun until international matches. 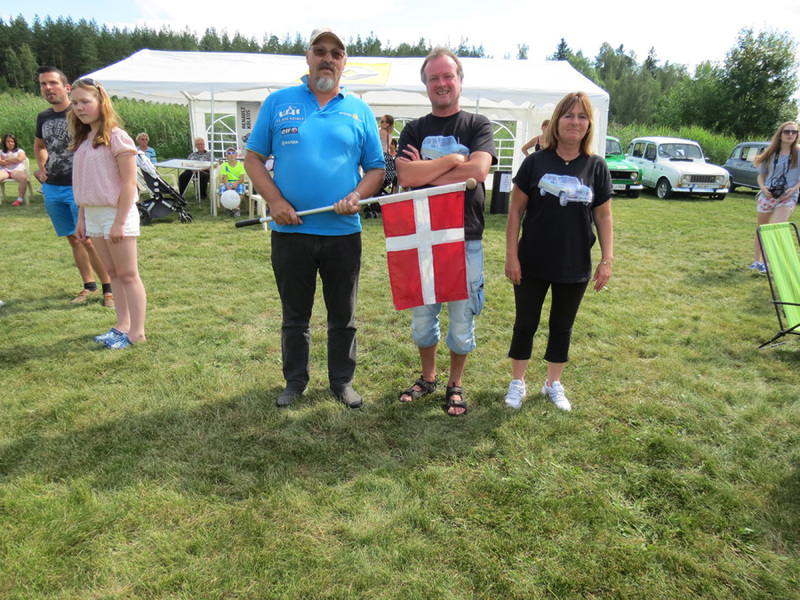 1st place were won by Finland and Norway in second place, Denmark got the third place with help from Norway and lastly Sweden in fourth place. 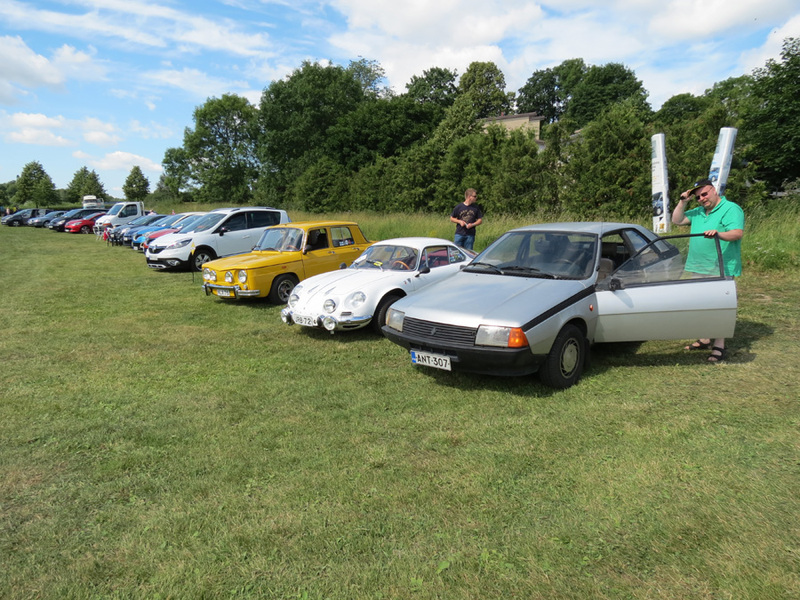 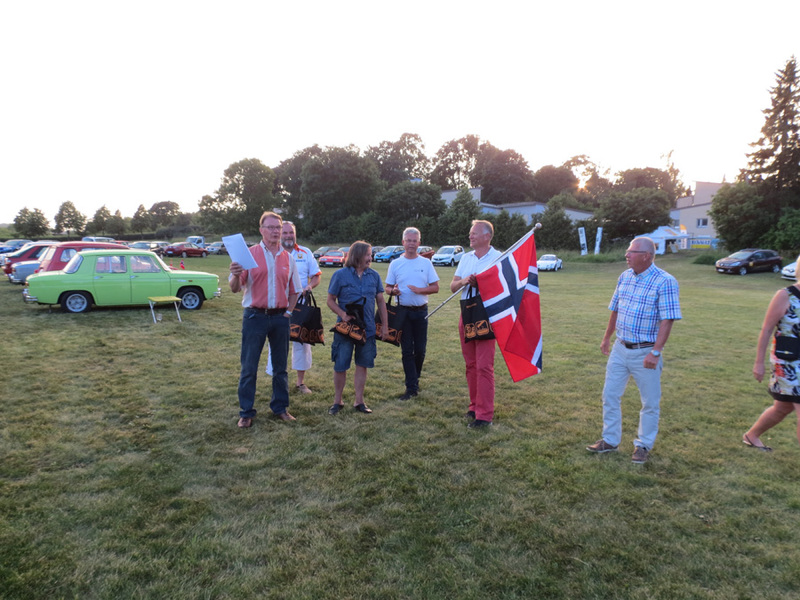 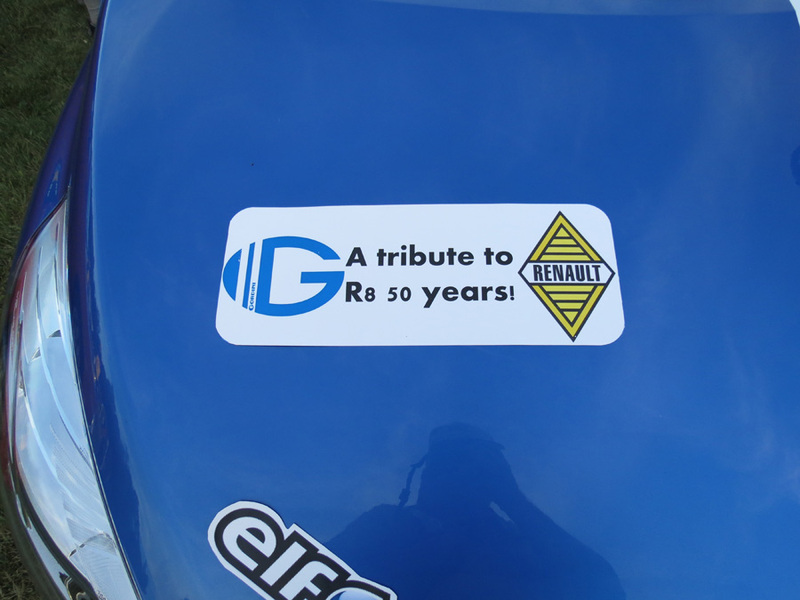 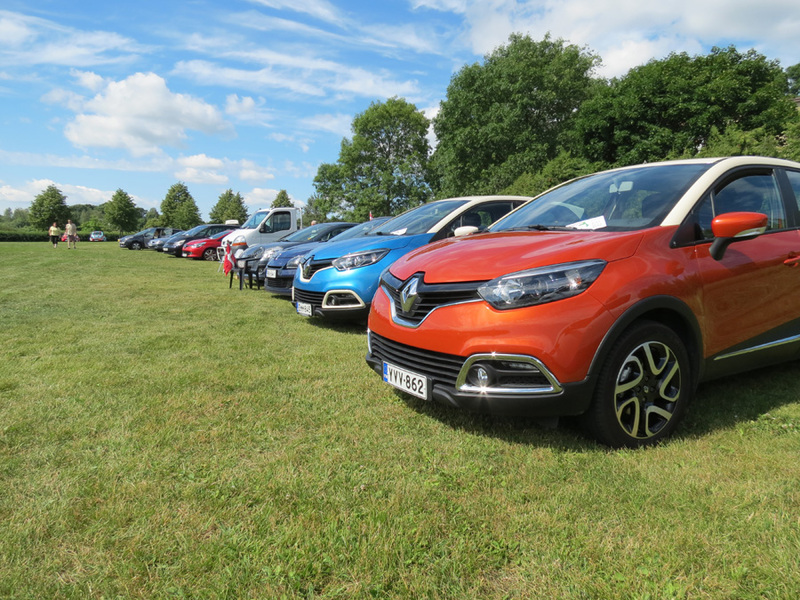 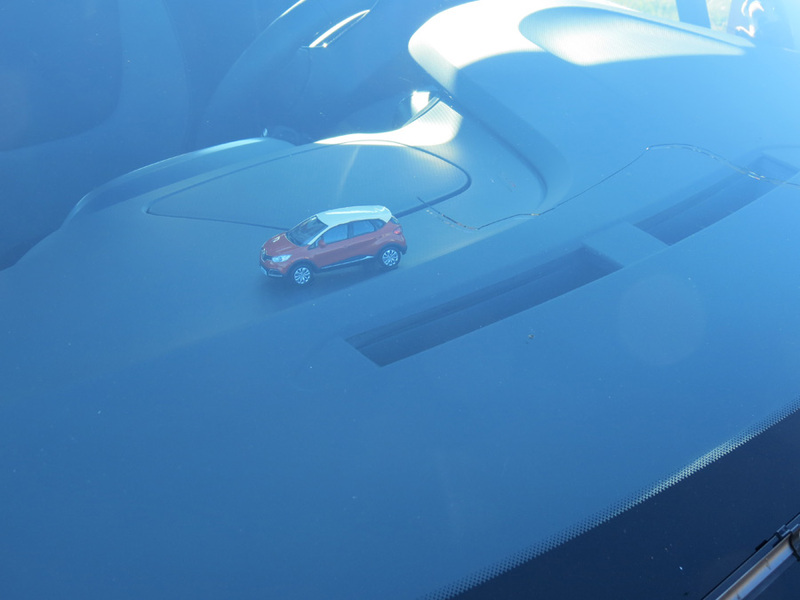 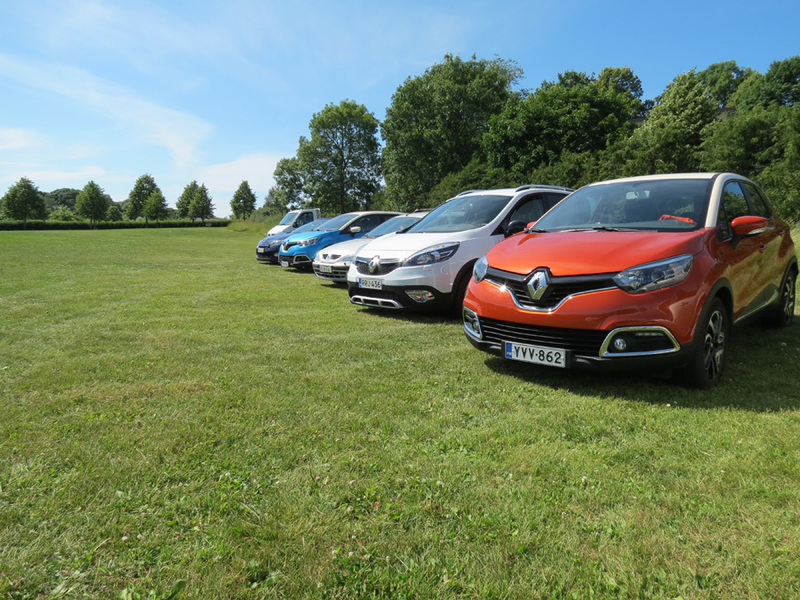 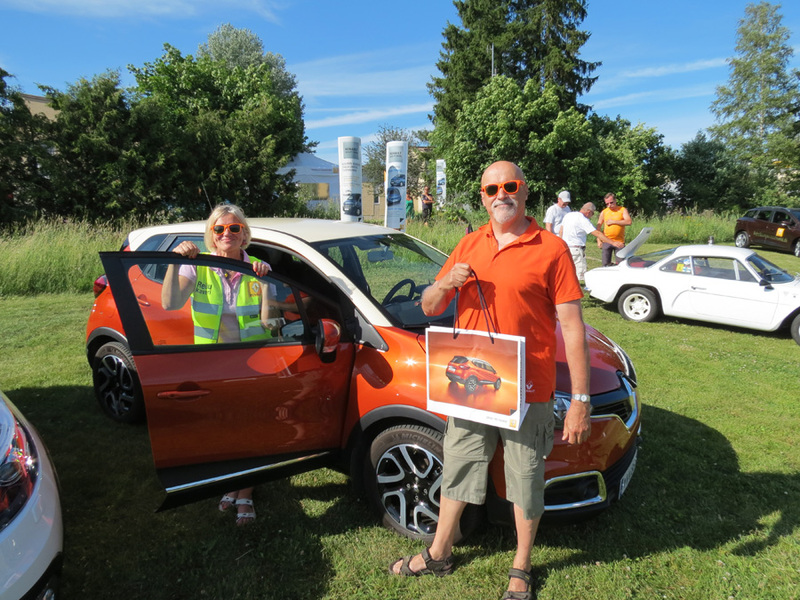 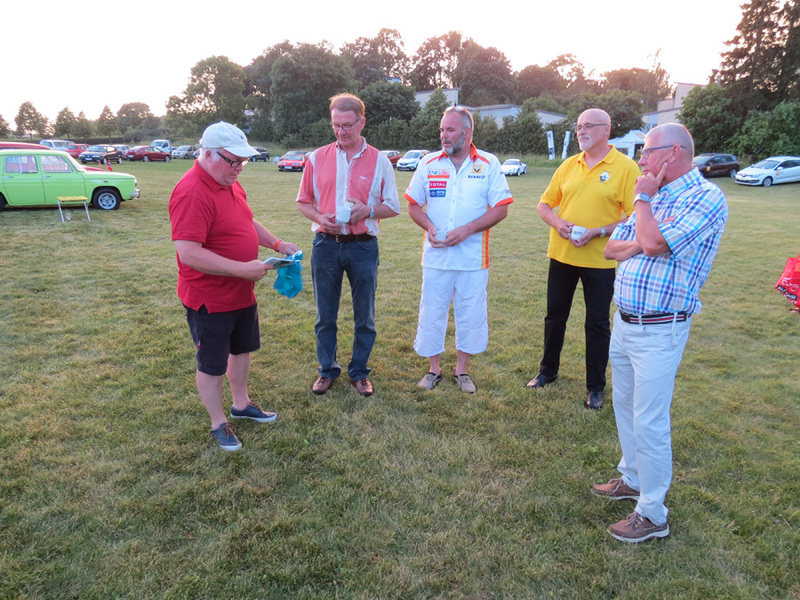 Later in the afternoon there was a competition where you were given a piece of paper with many small images of various Renault cars – Then you had to guess what model it was without the use of mobilephones etc. 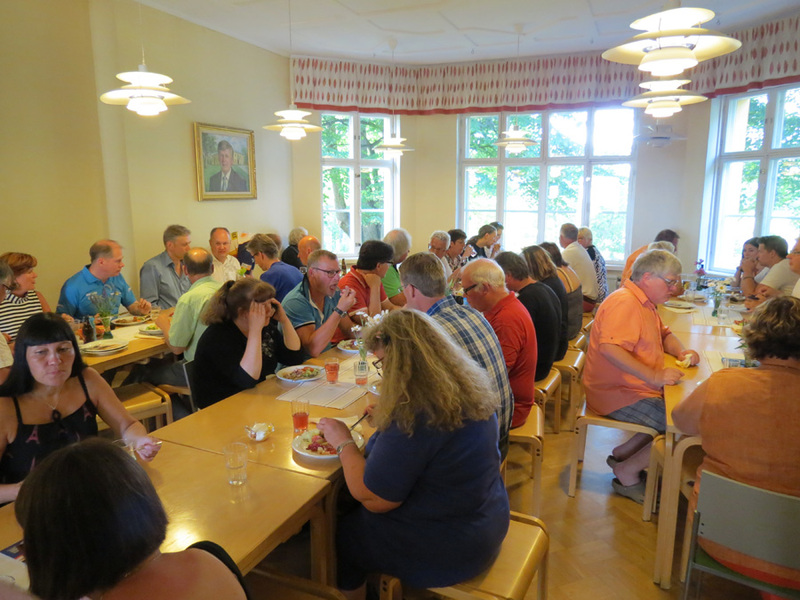 On Saturday evening there was a banquet and awards ceremony for national competitions and questions. 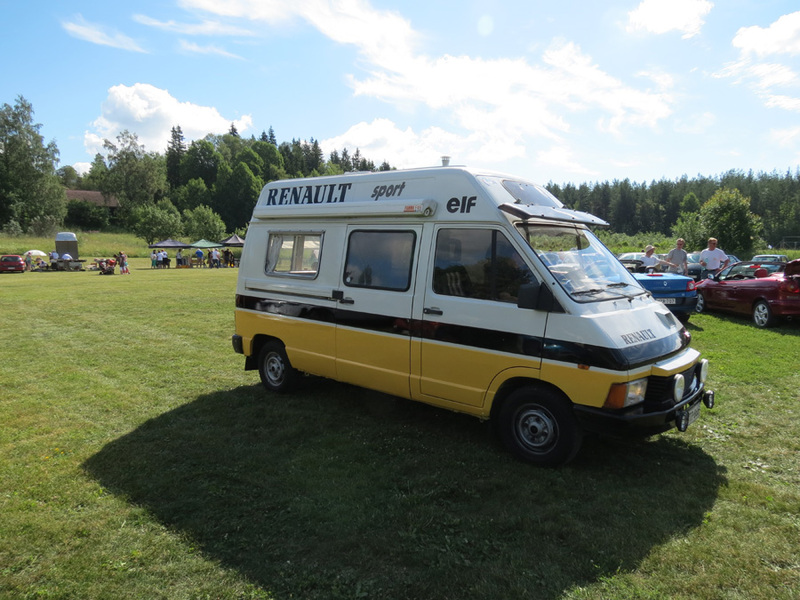 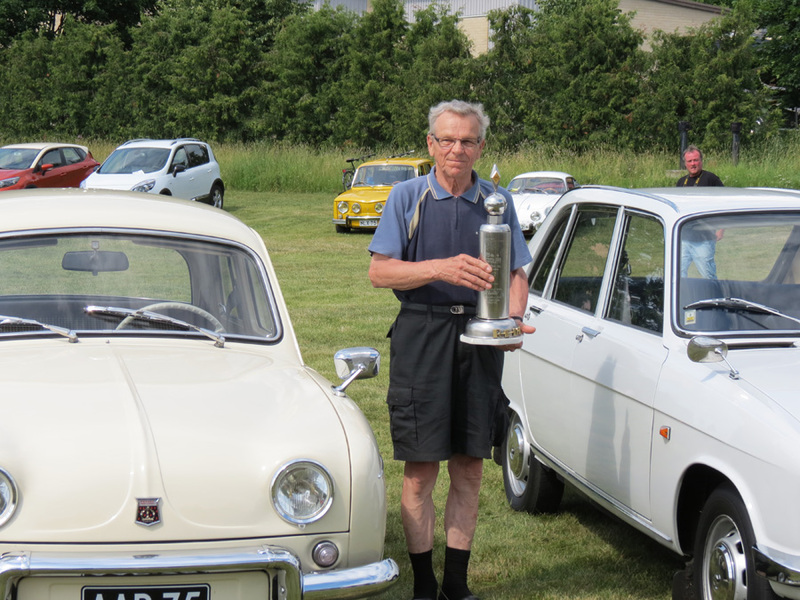 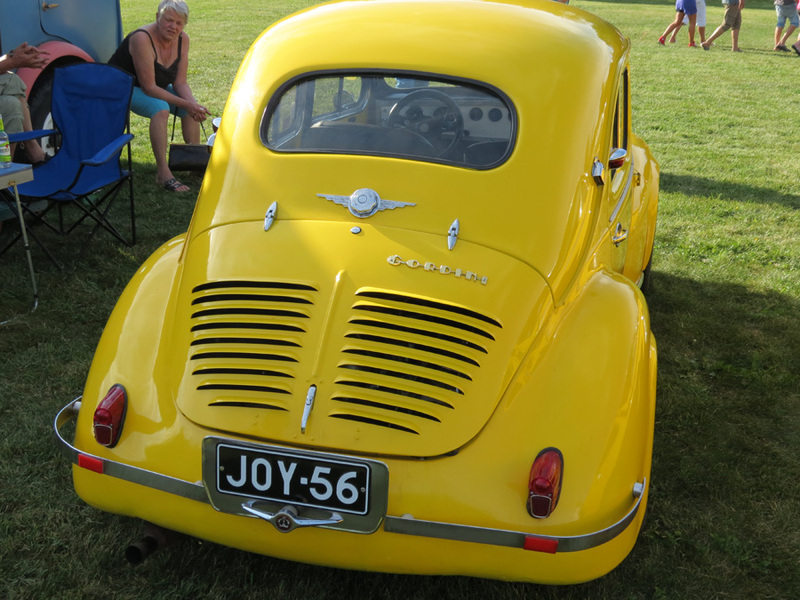 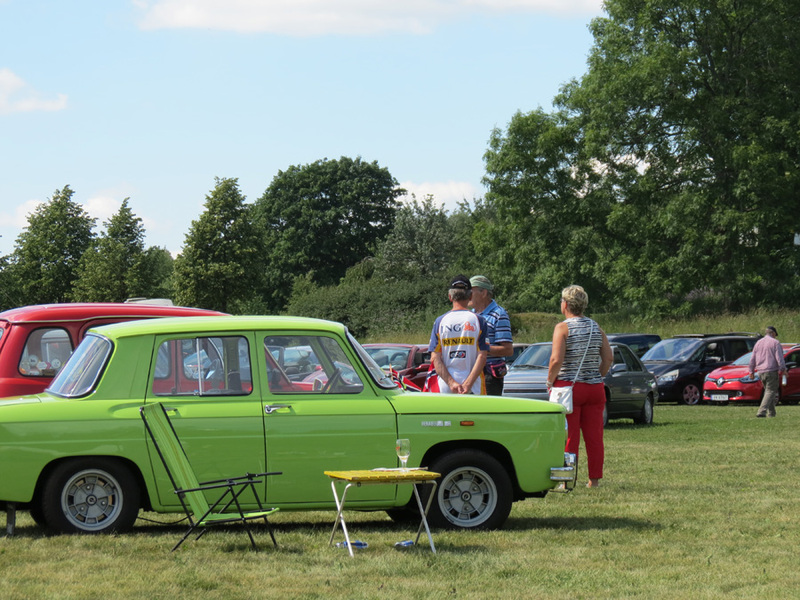 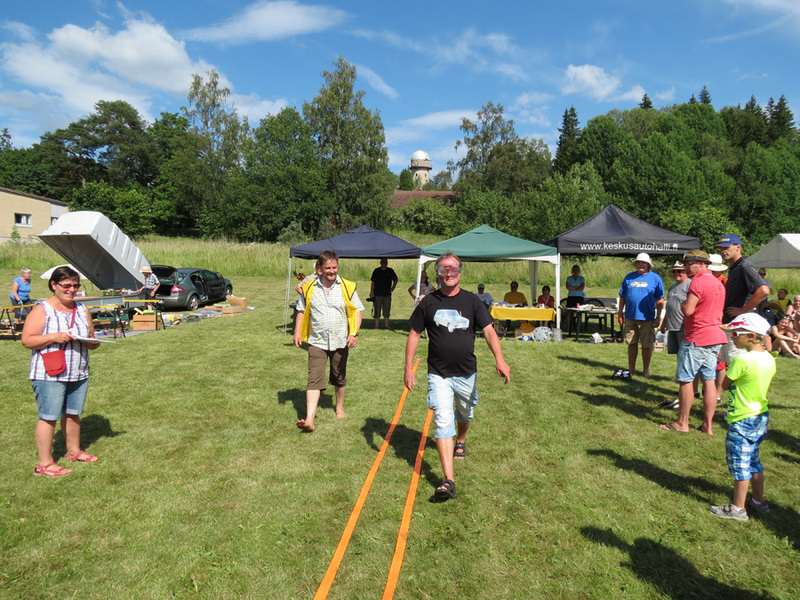 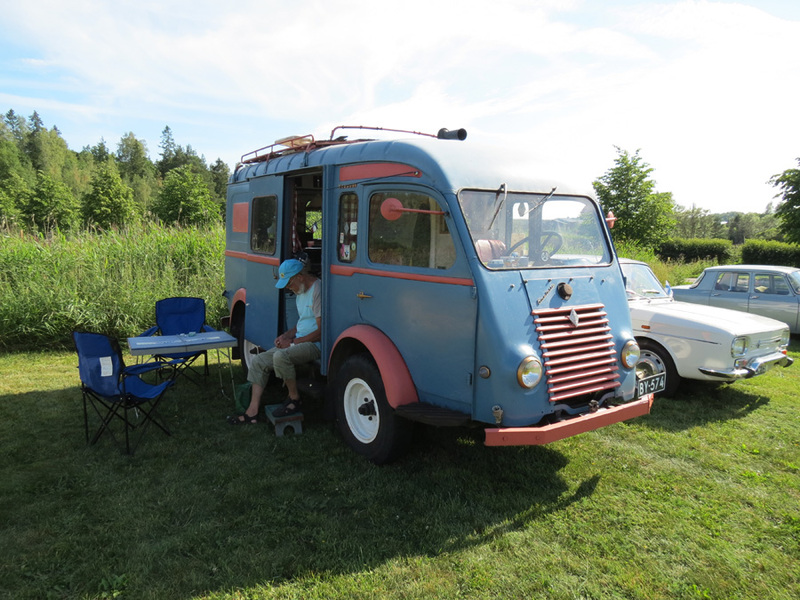 Sunday morning was the Renualt ‘Best in show’ named – it was a Finnish Dauphine.